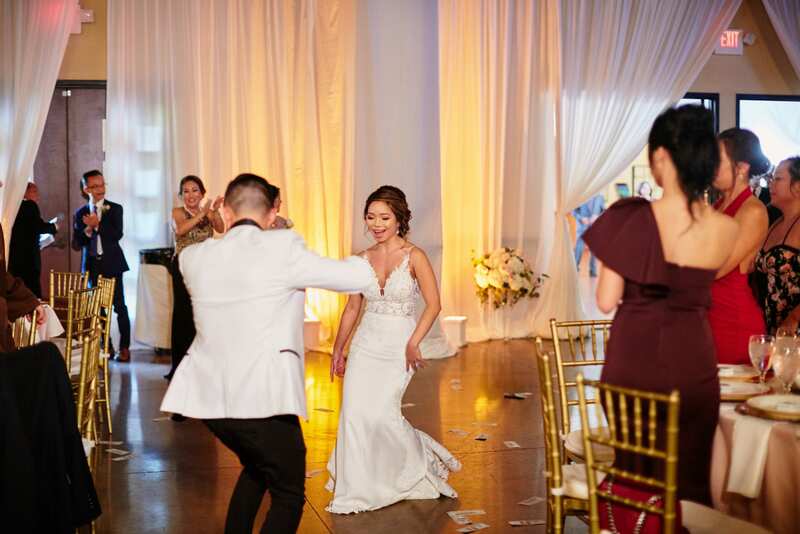 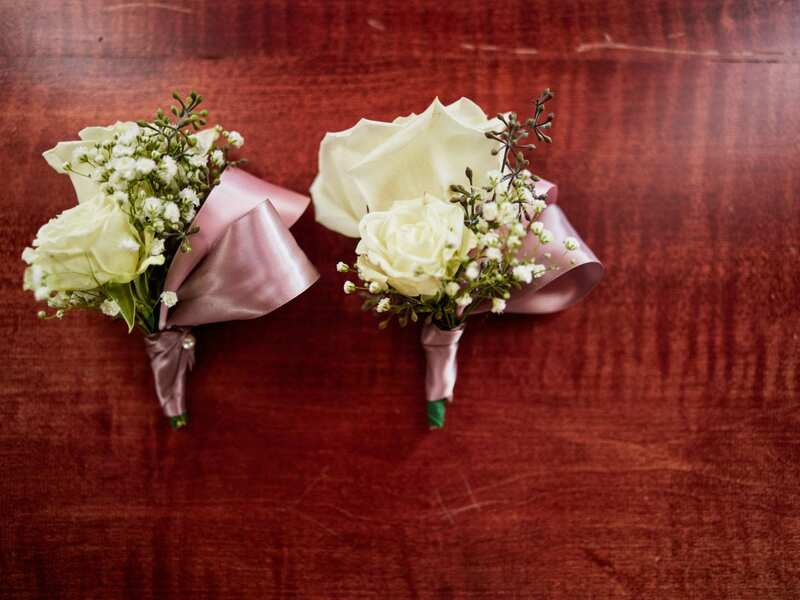 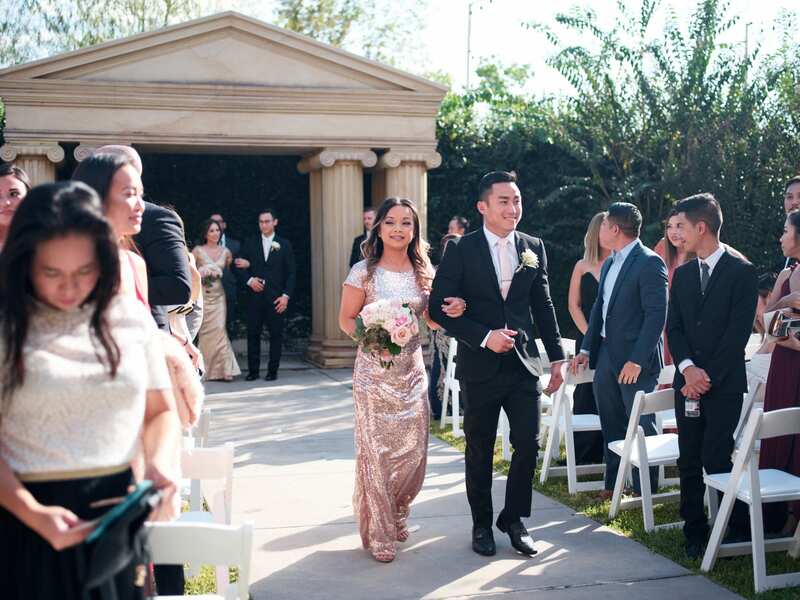 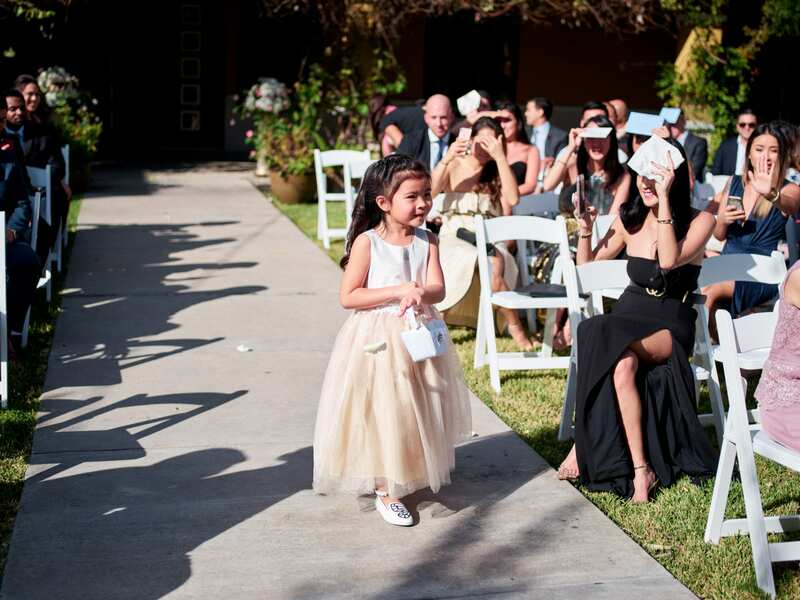 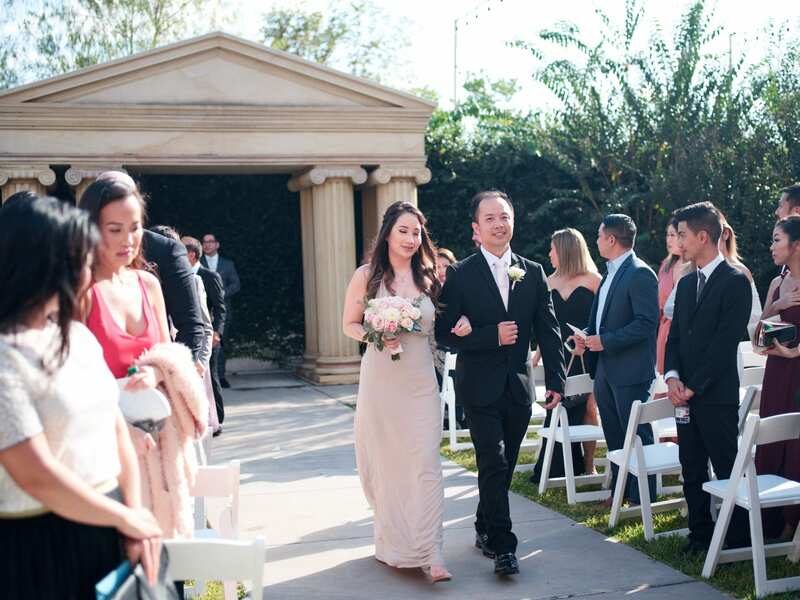 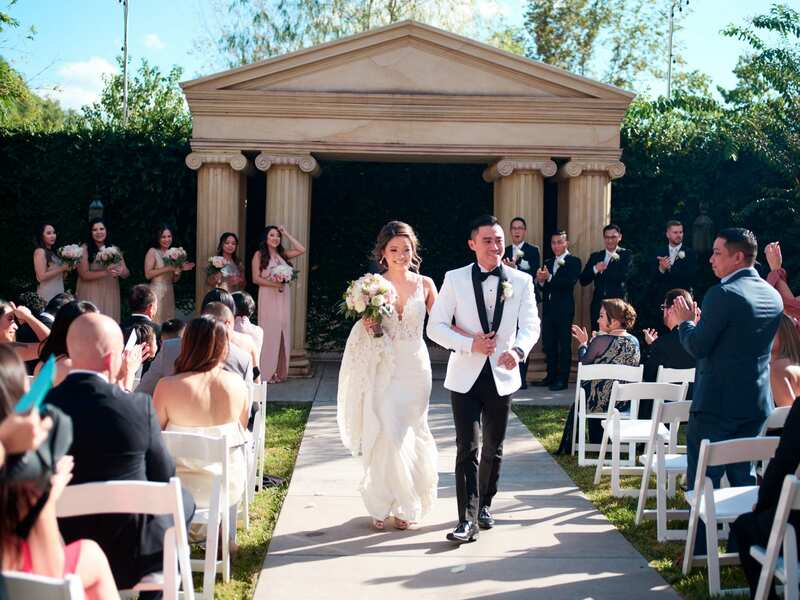 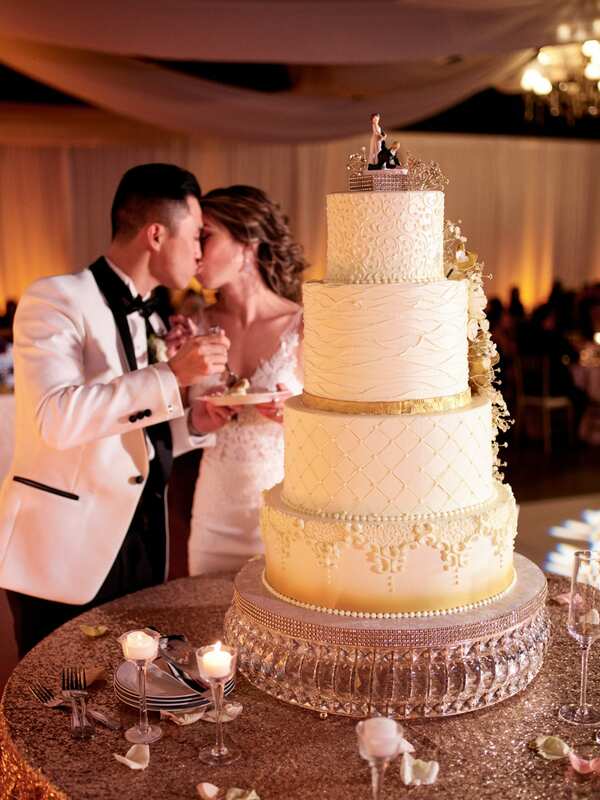 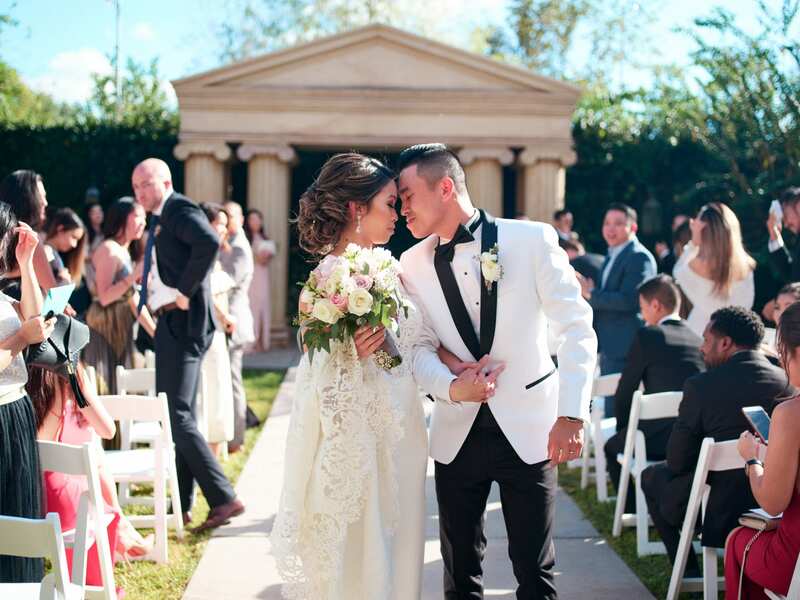 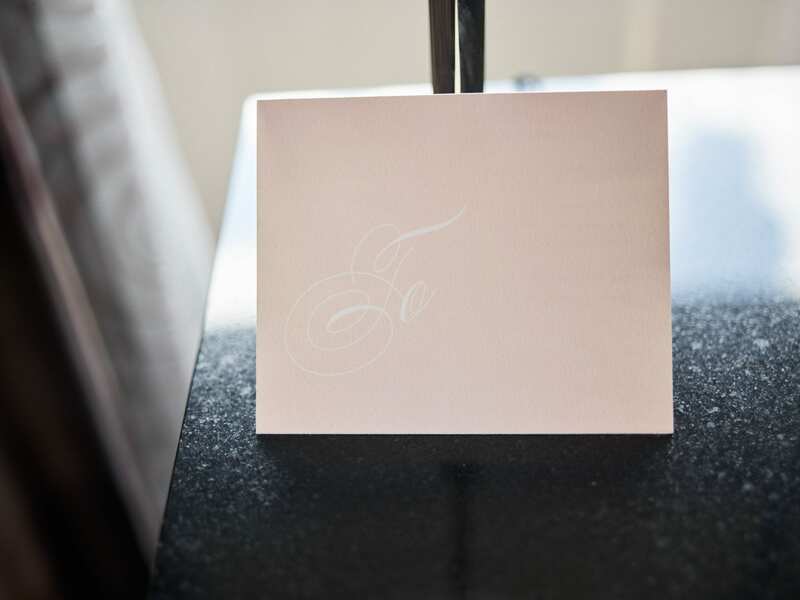 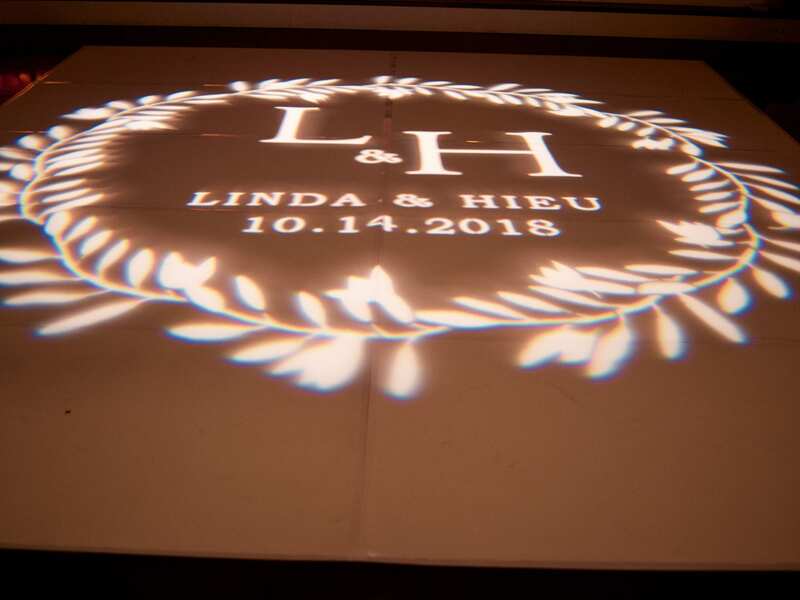 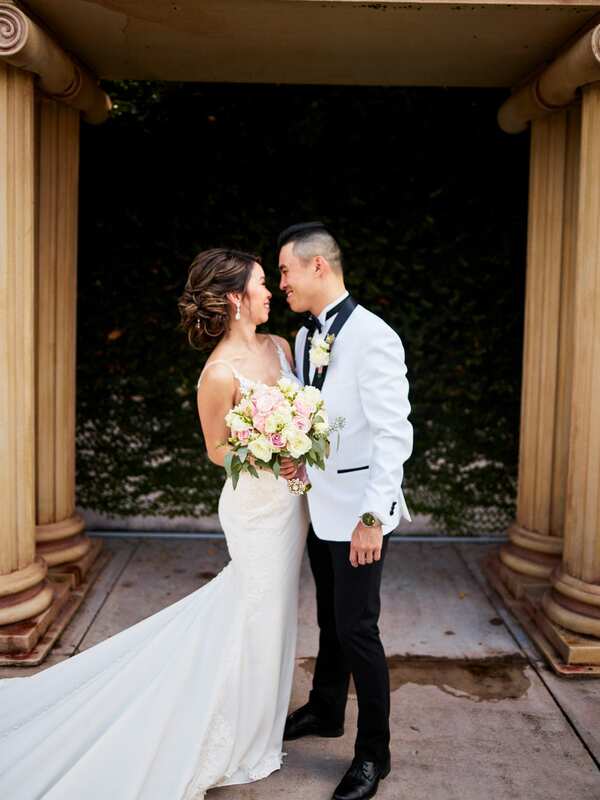 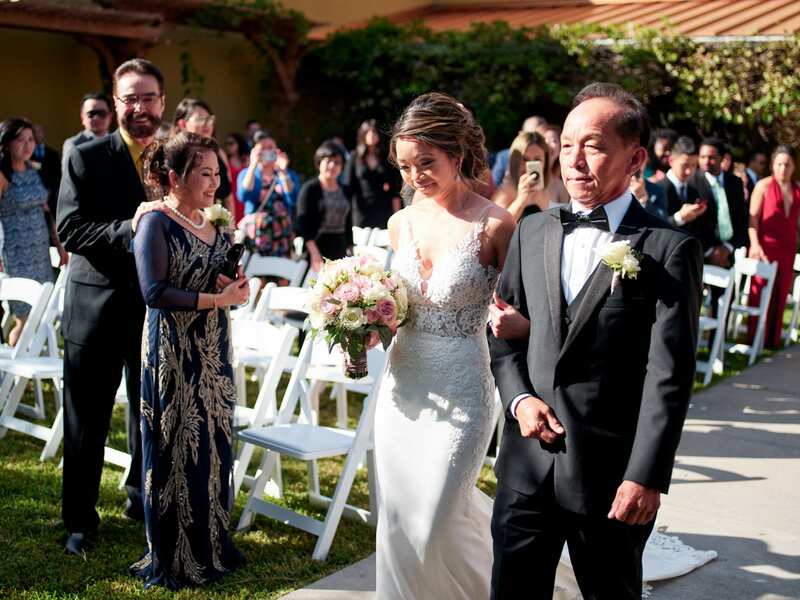 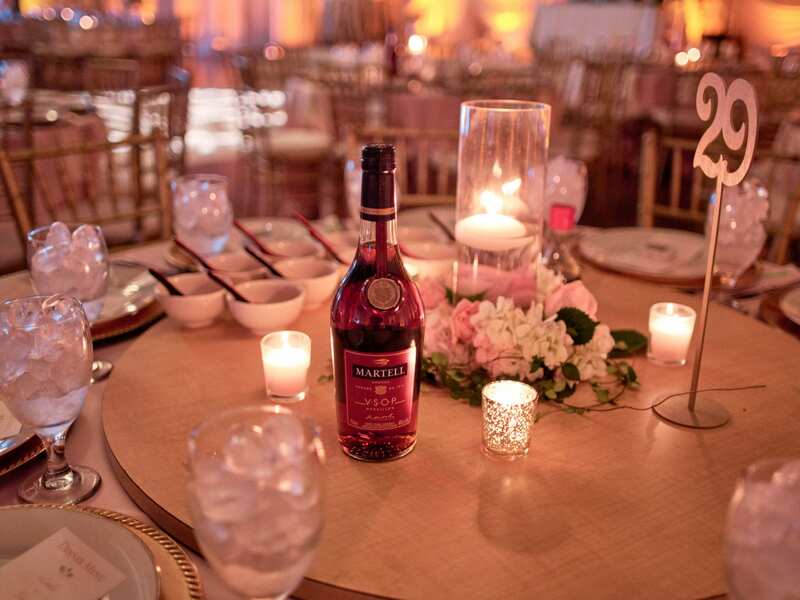 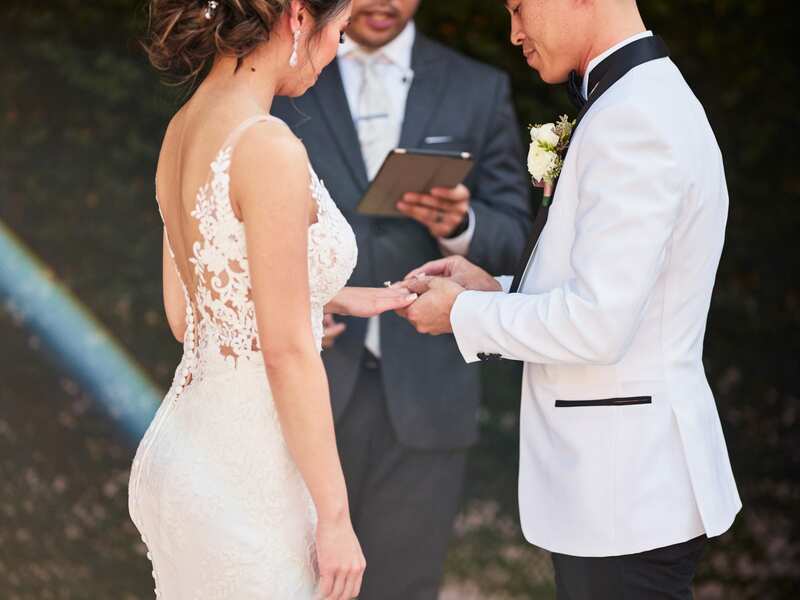 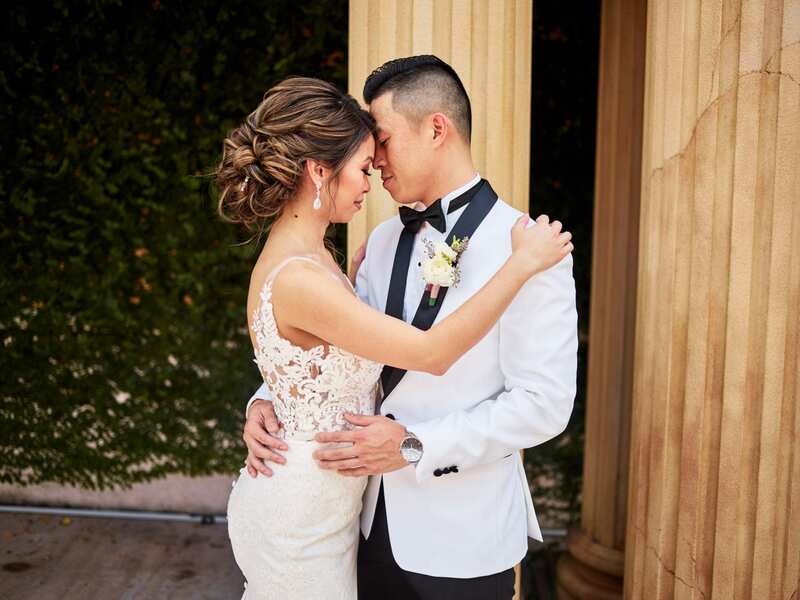 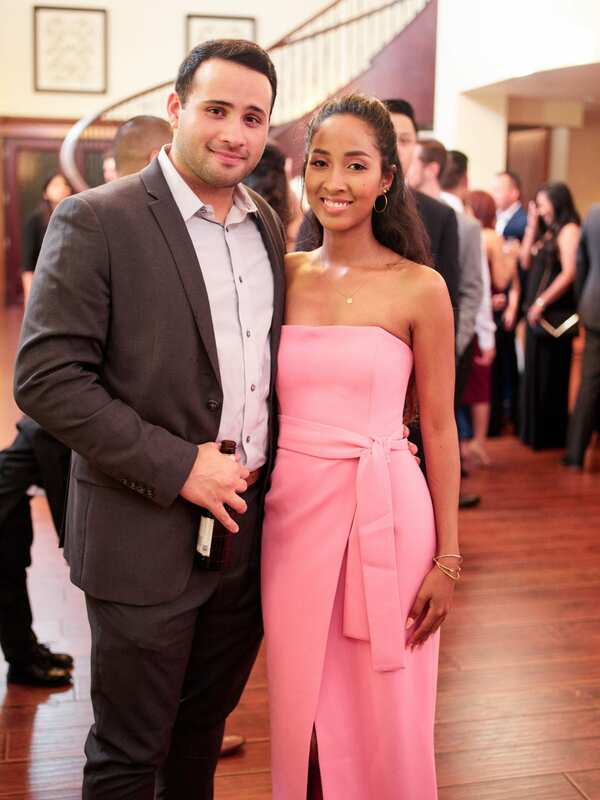 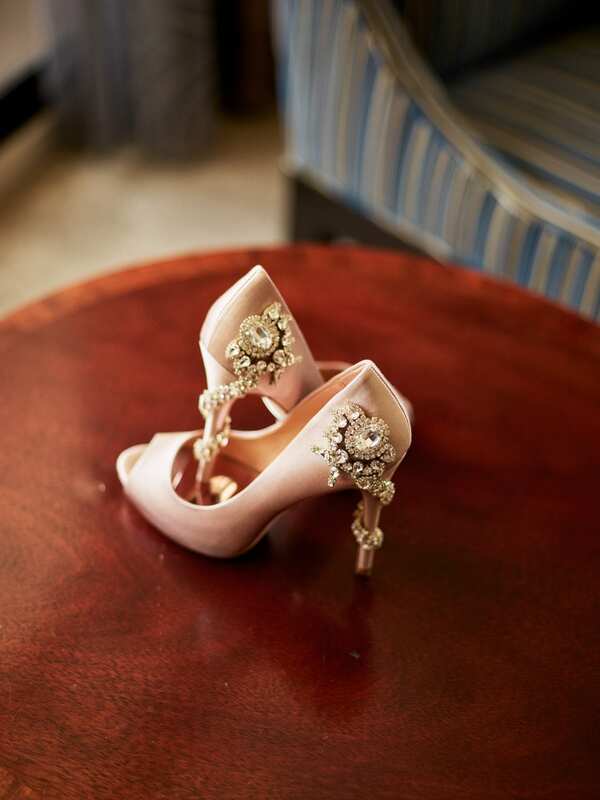 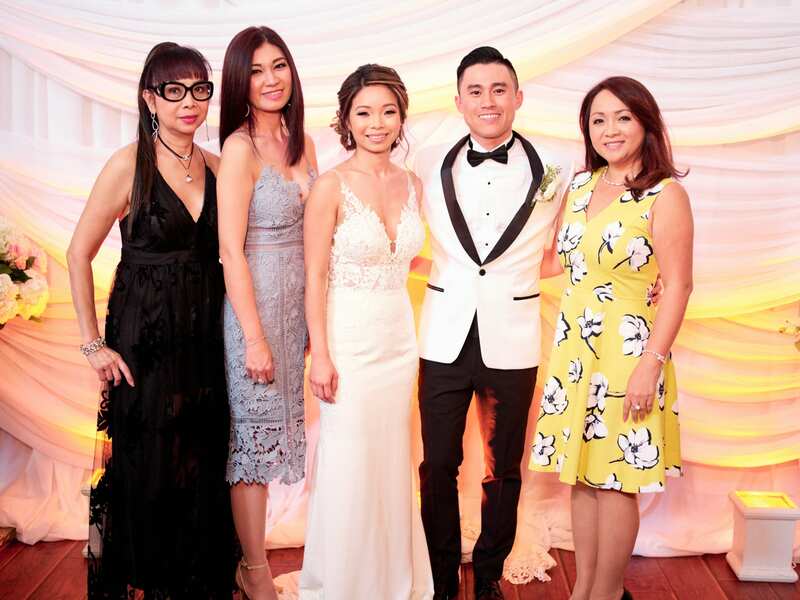 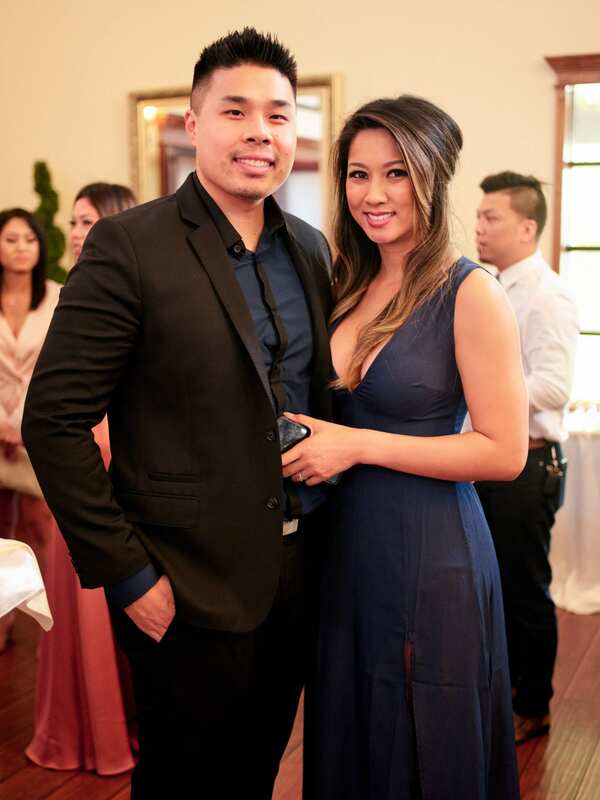 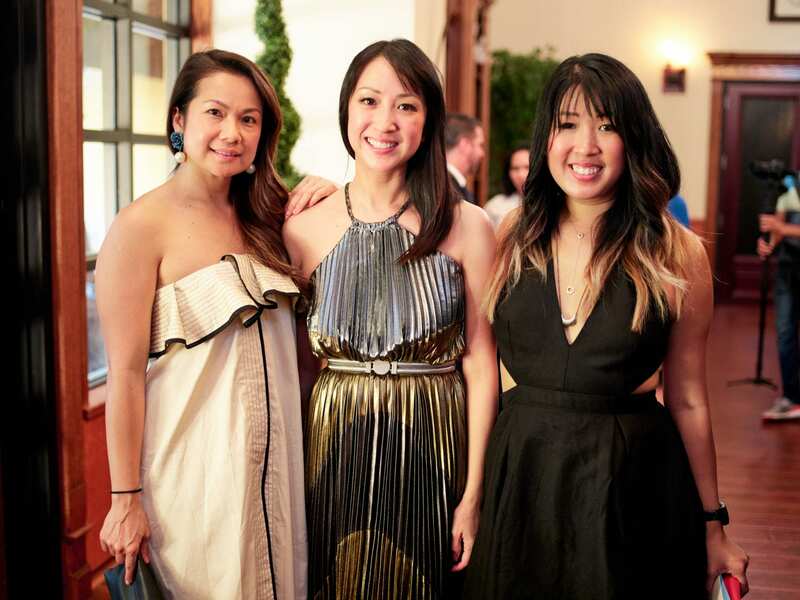 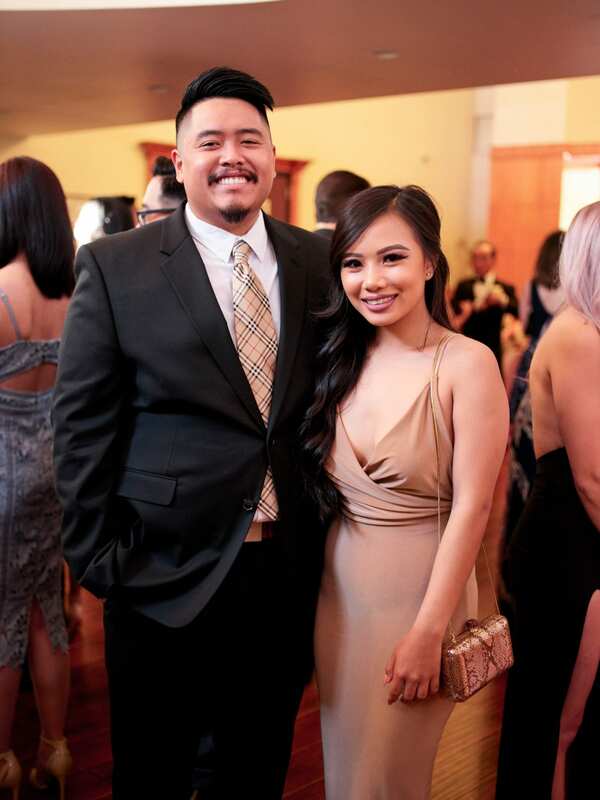 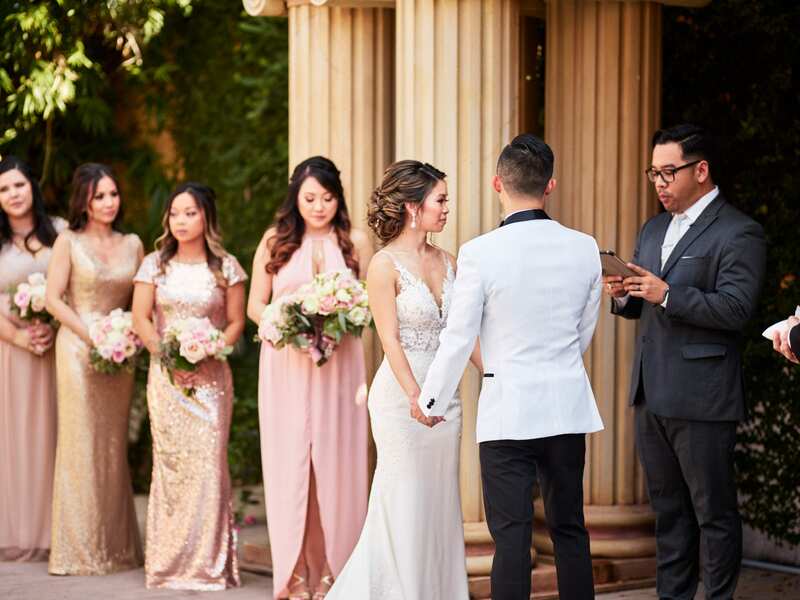 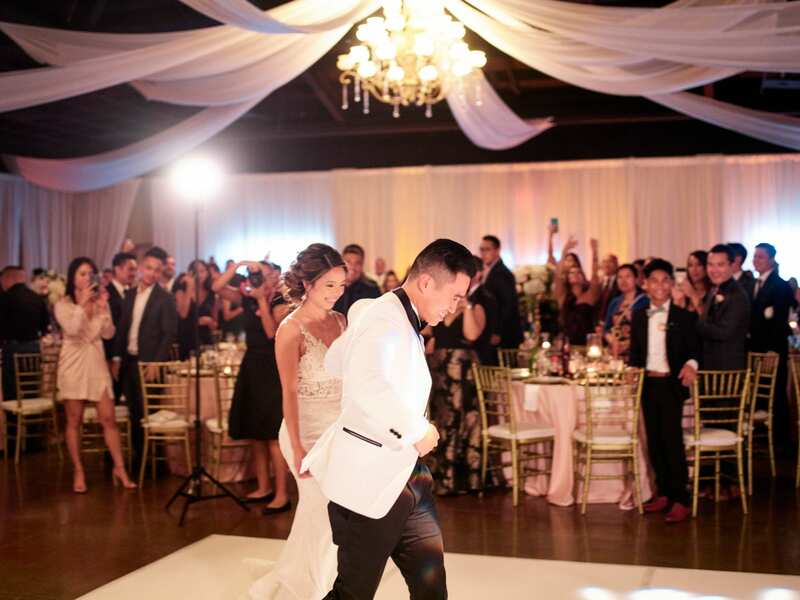 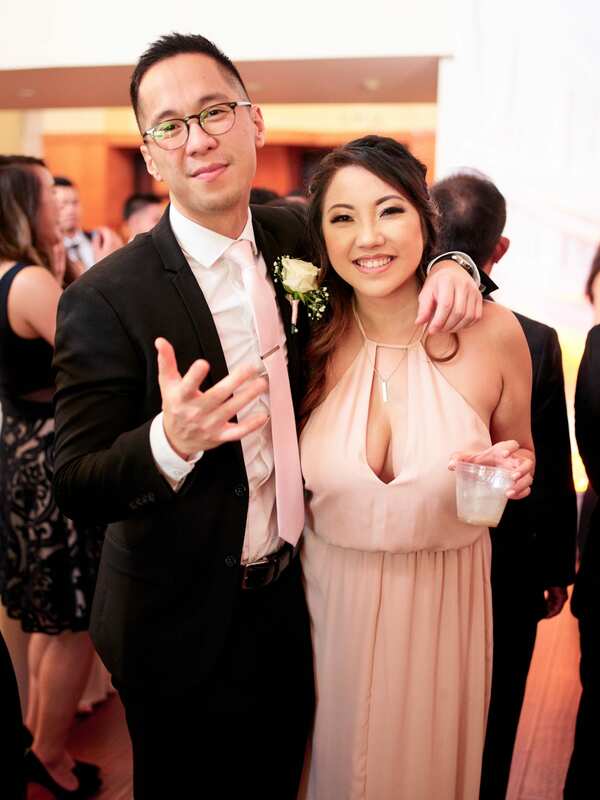 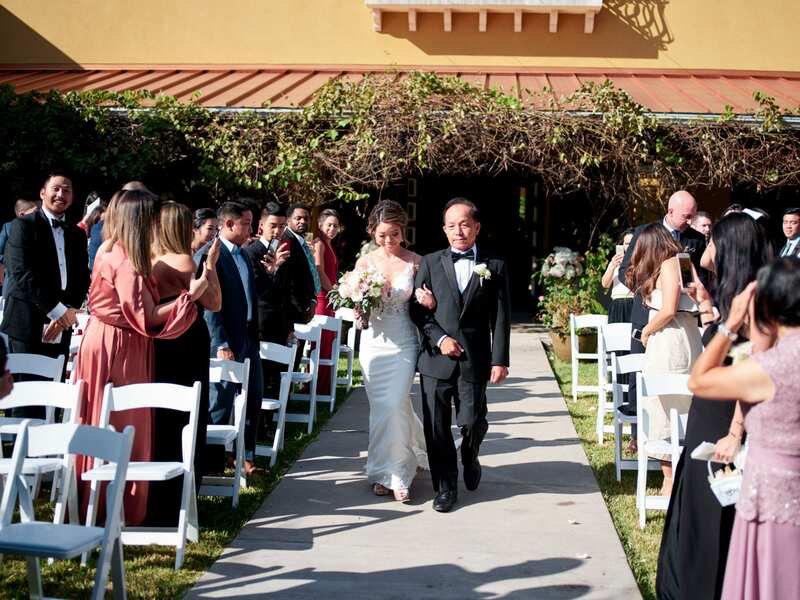 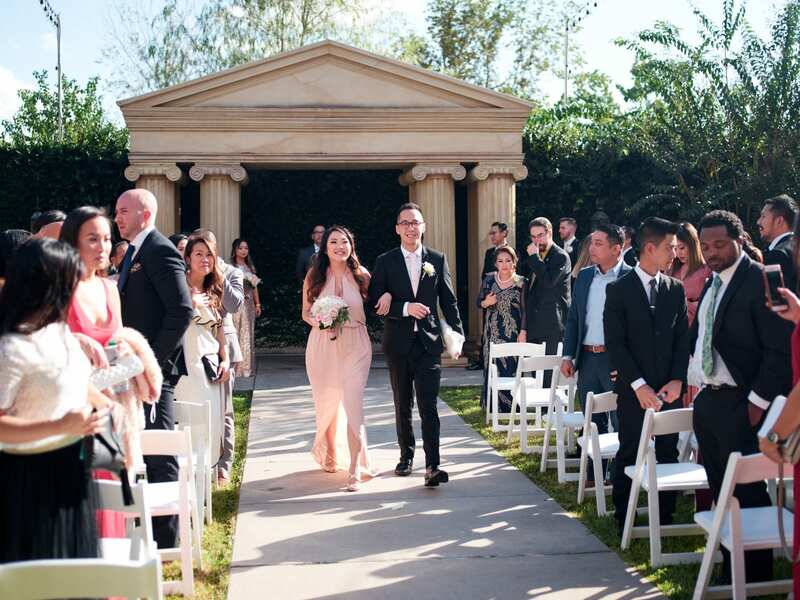 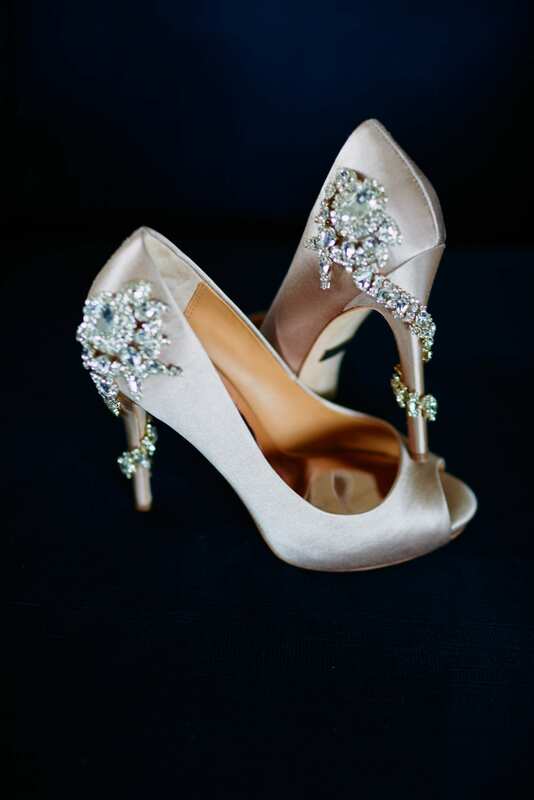 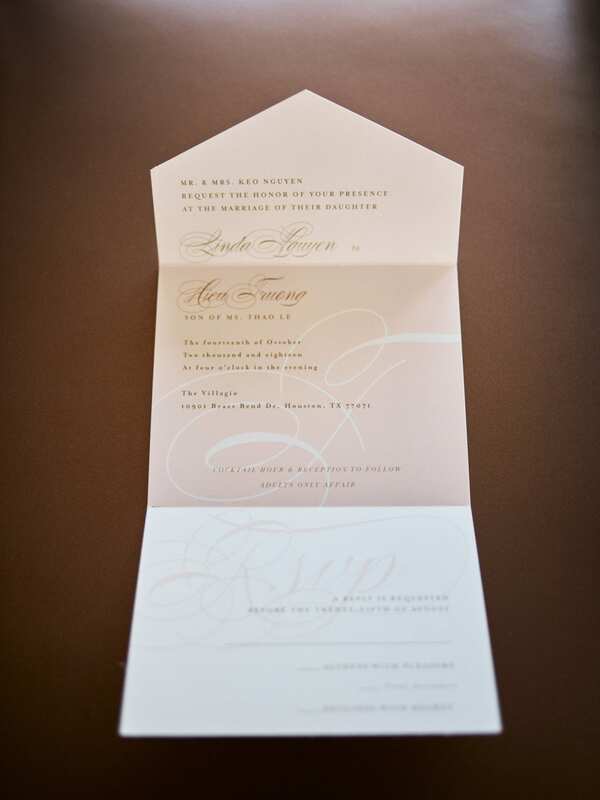 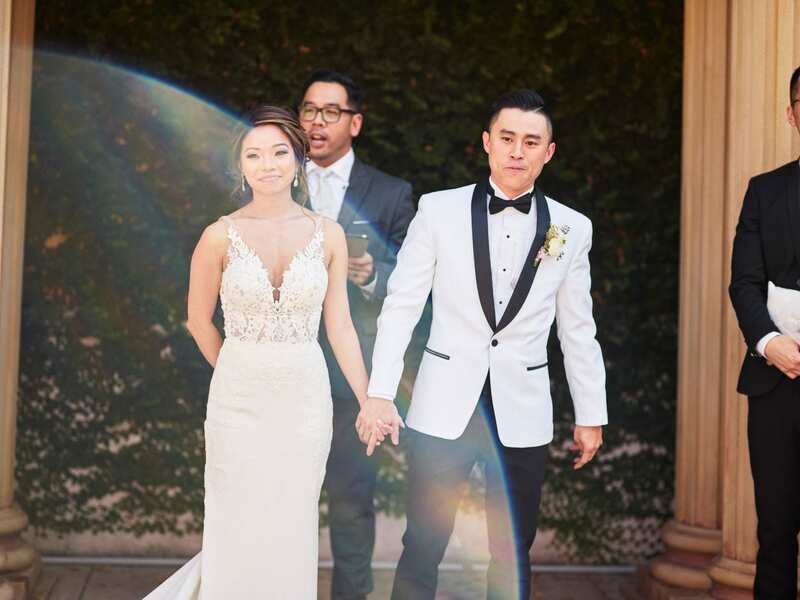 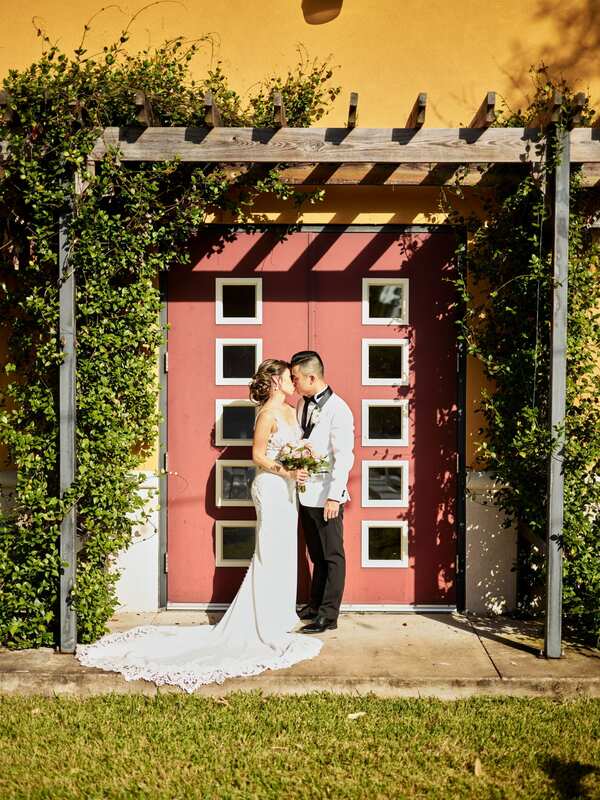 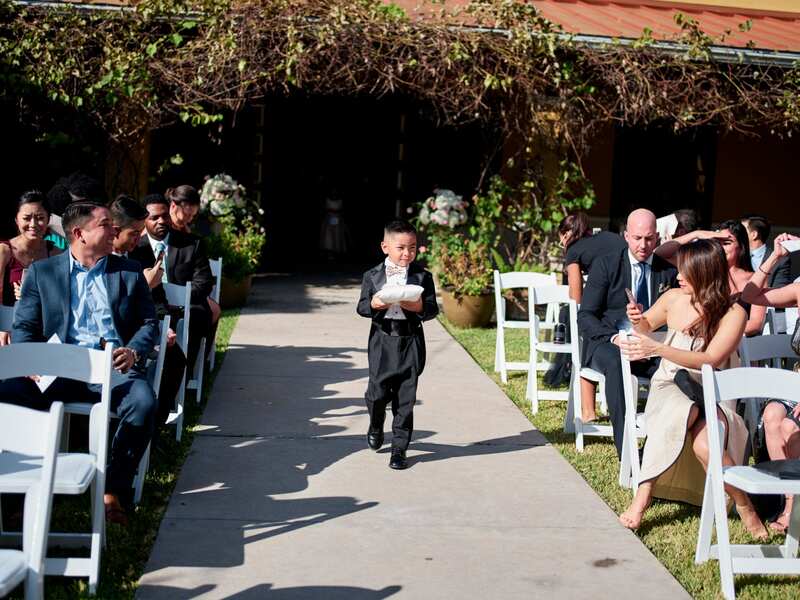 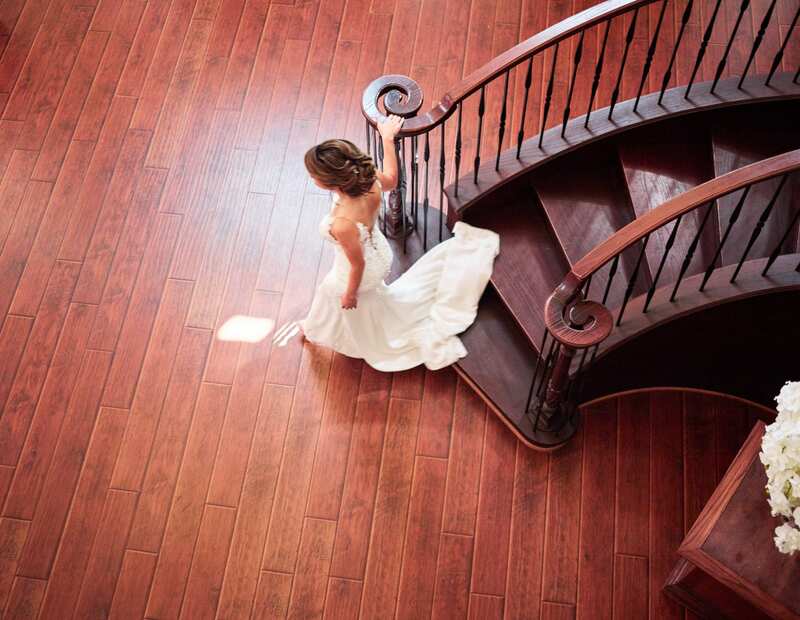 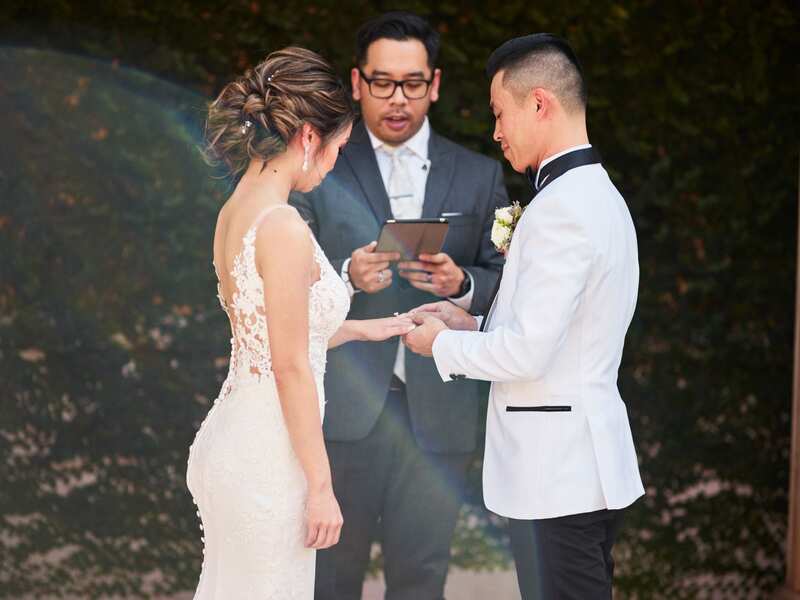 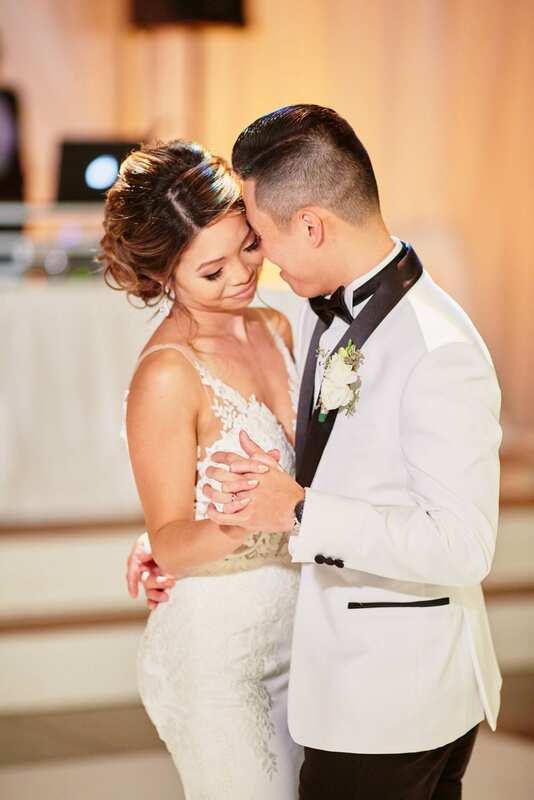 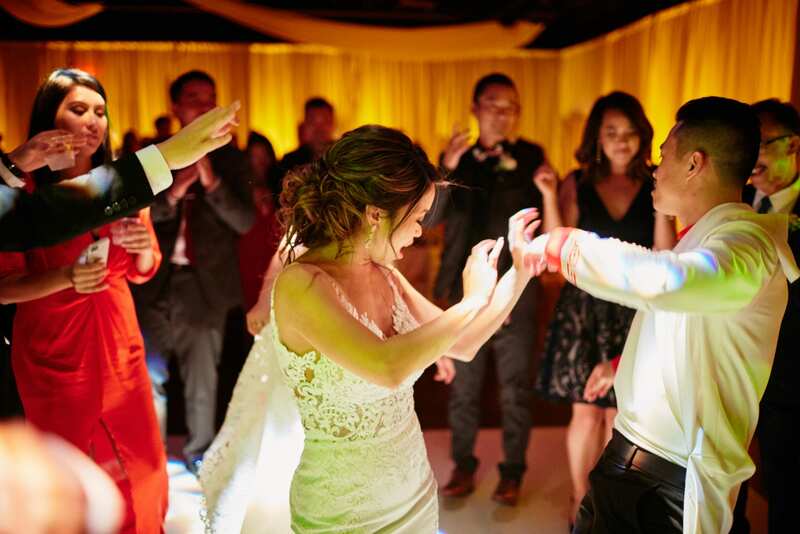 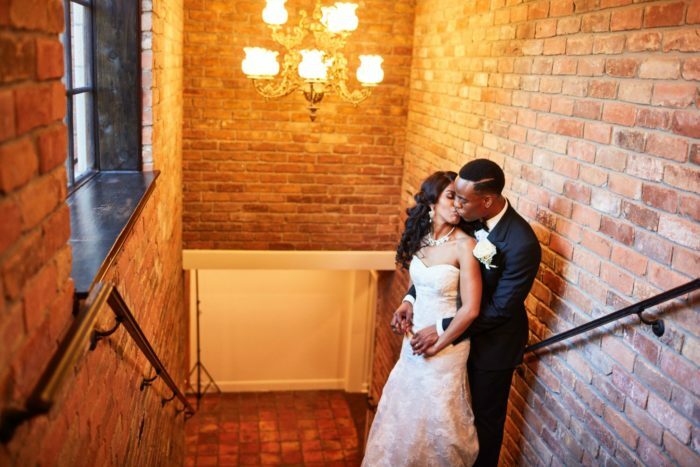 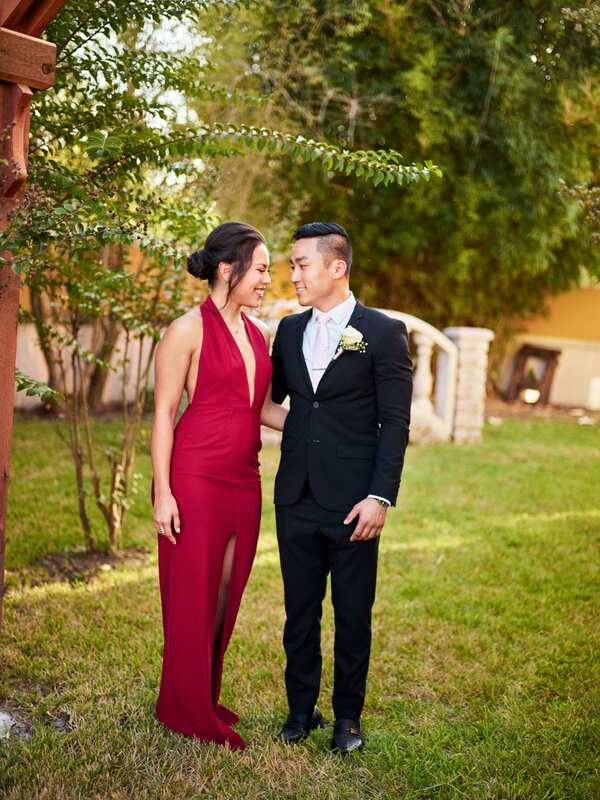 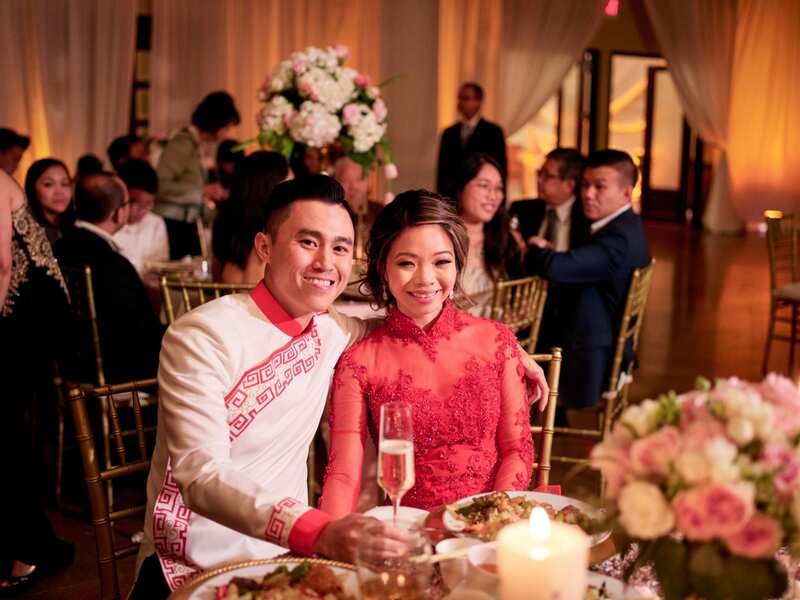 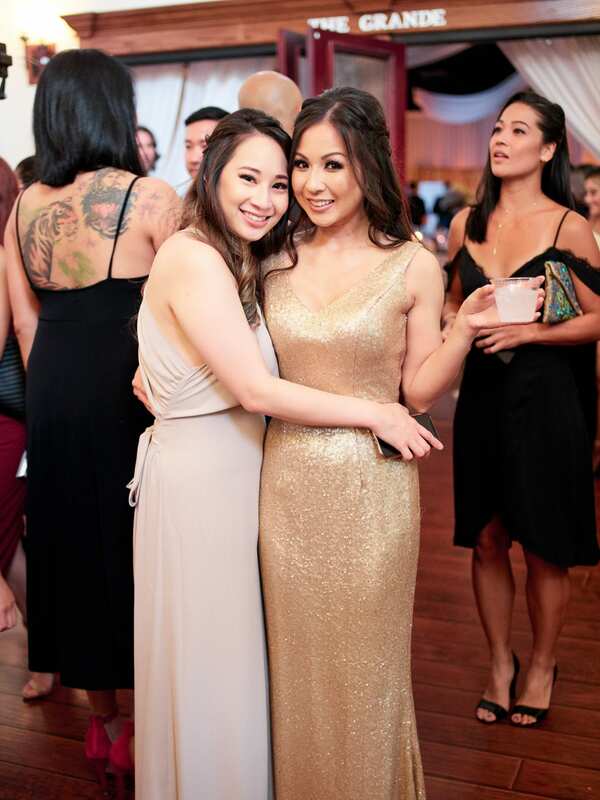 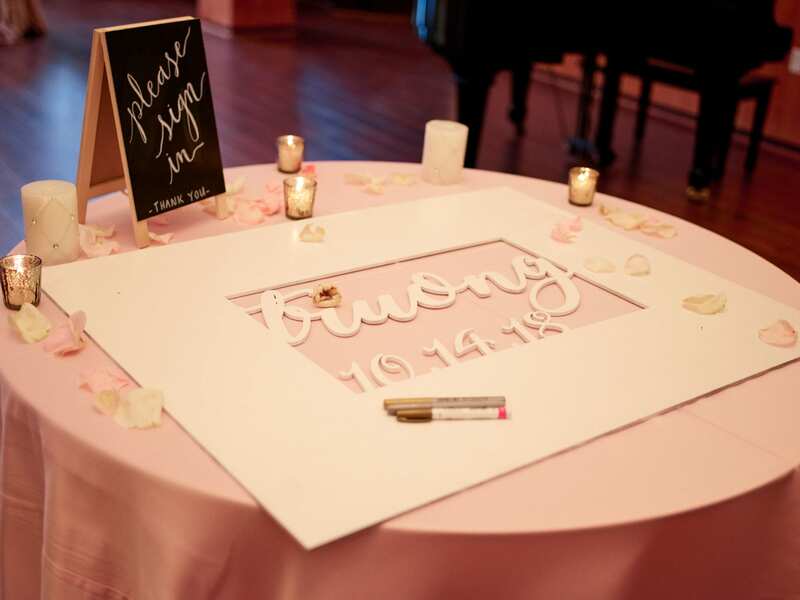 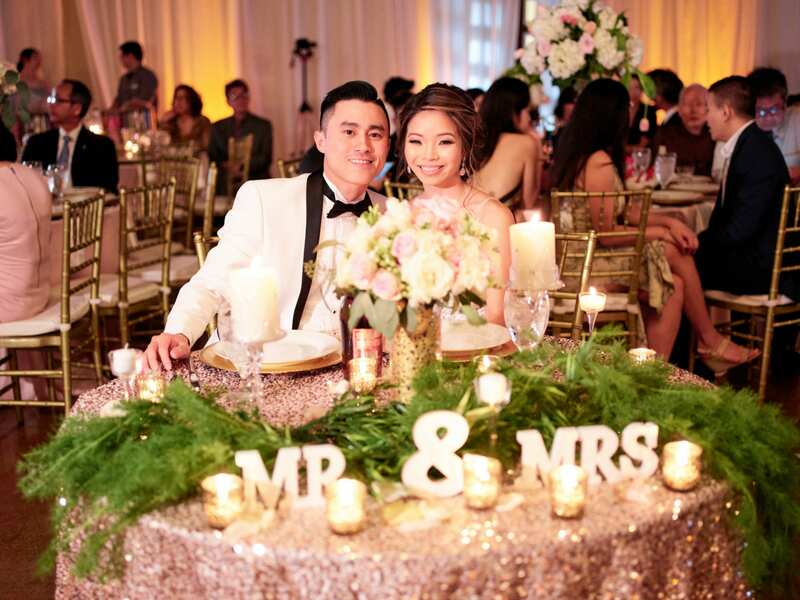 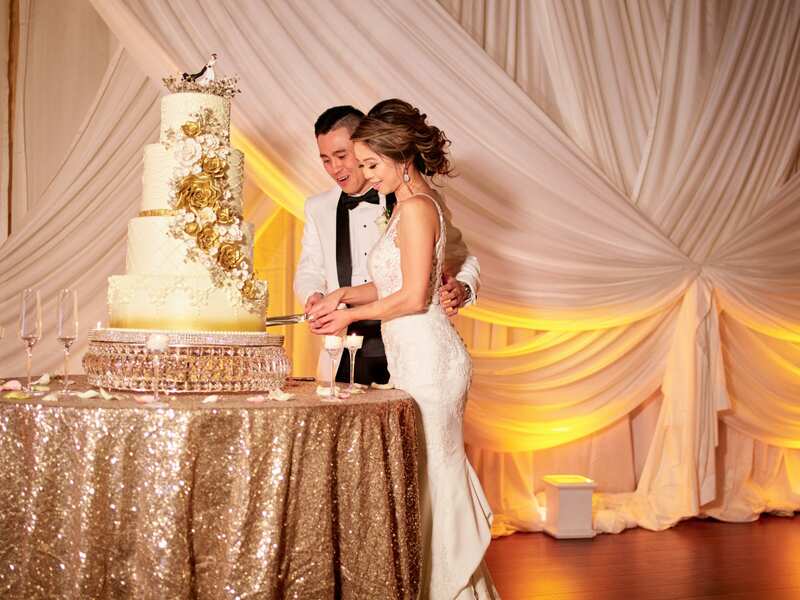 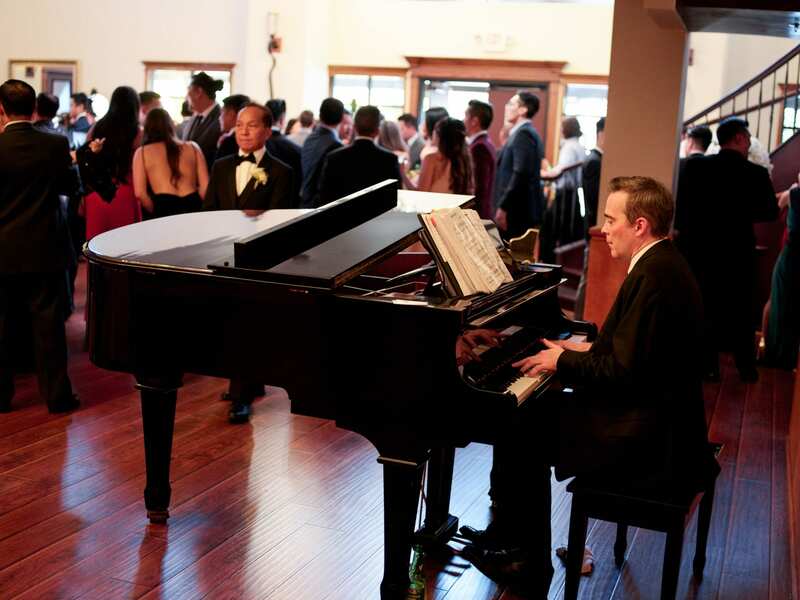 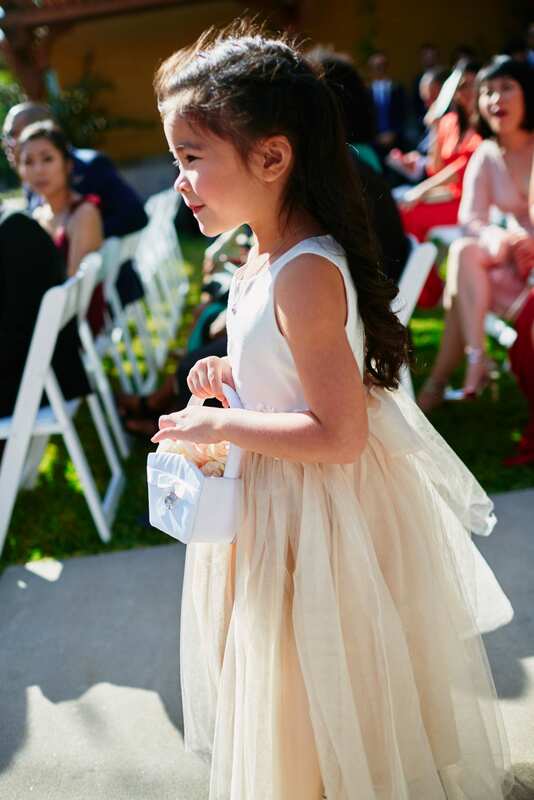 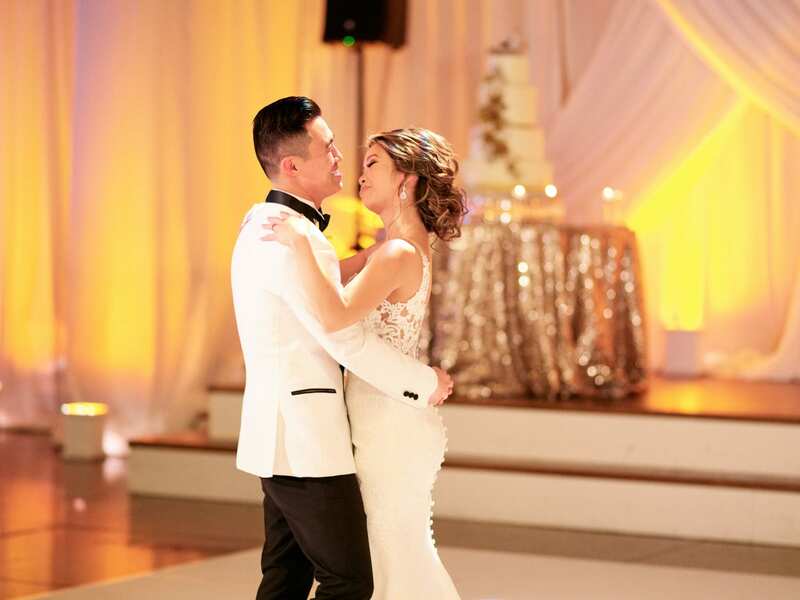 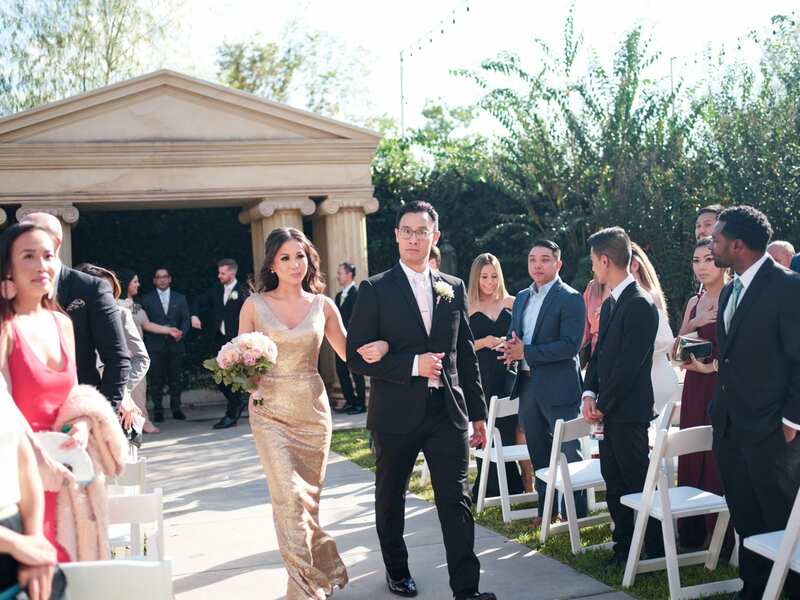 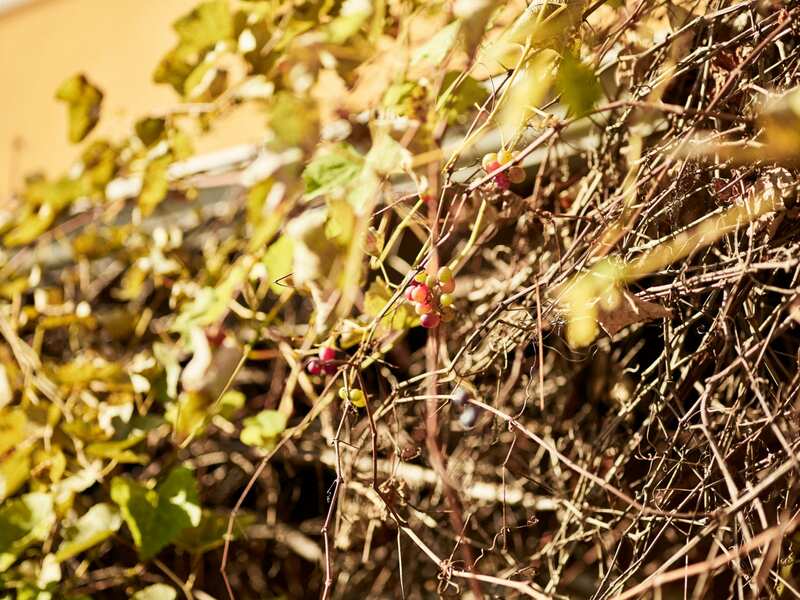 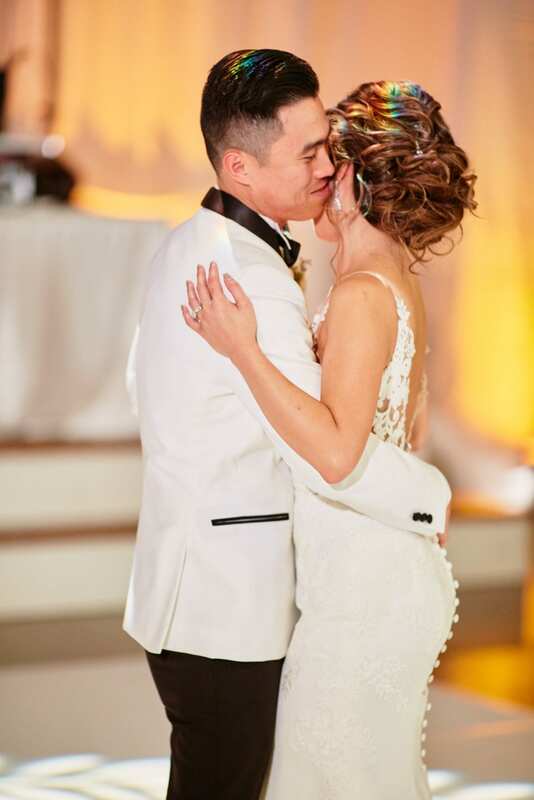 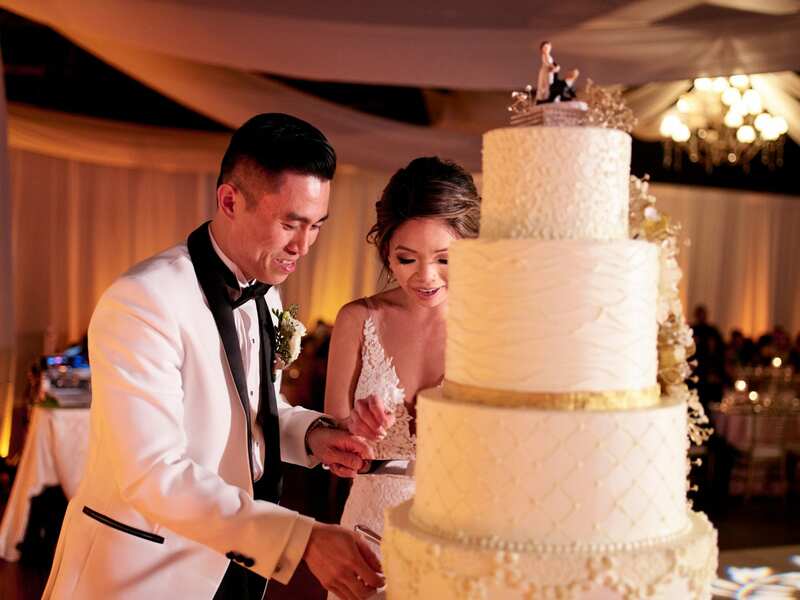 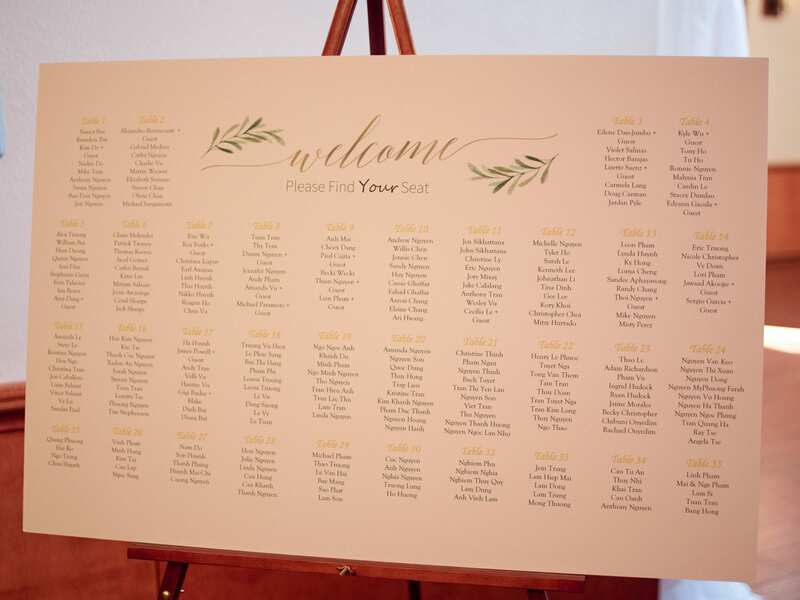 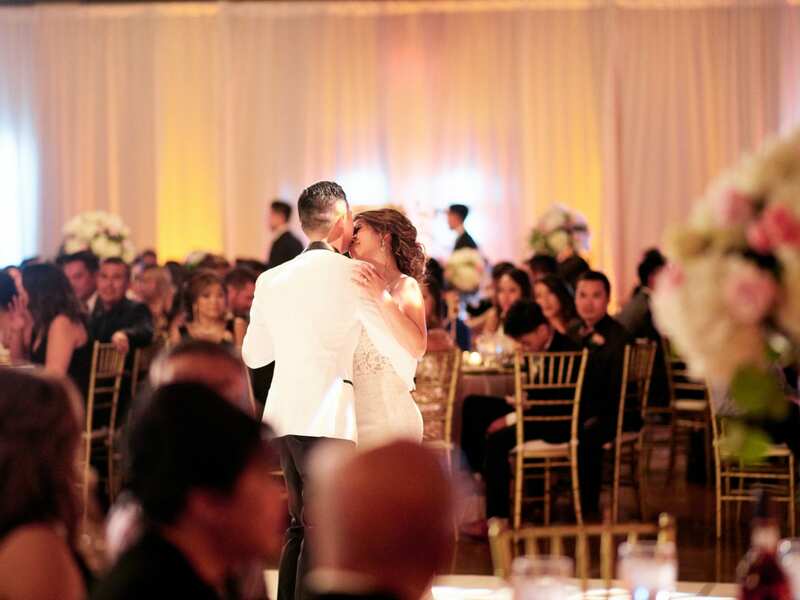 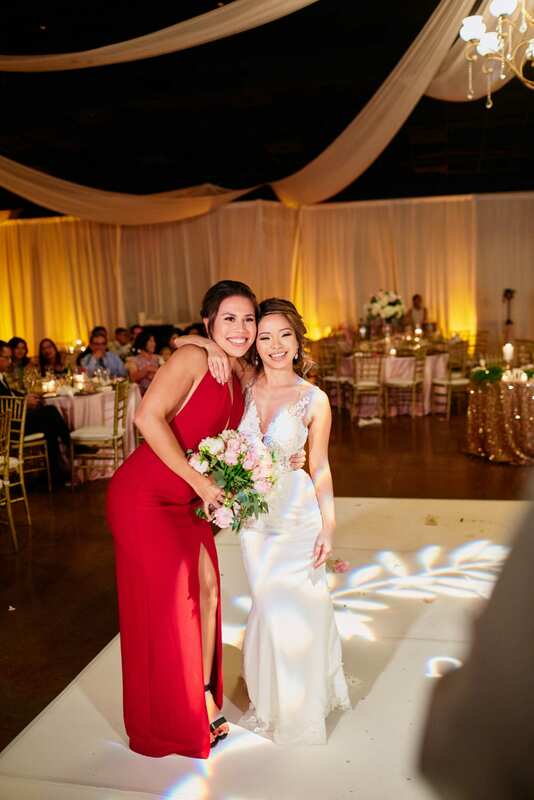 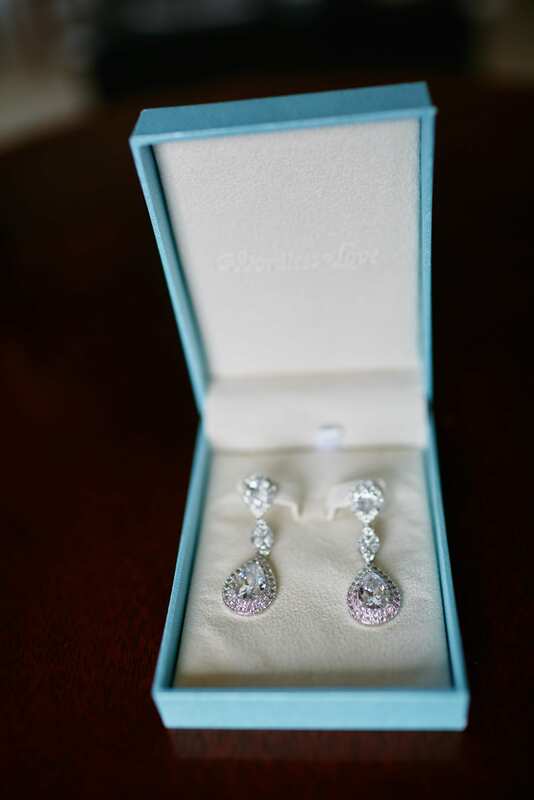 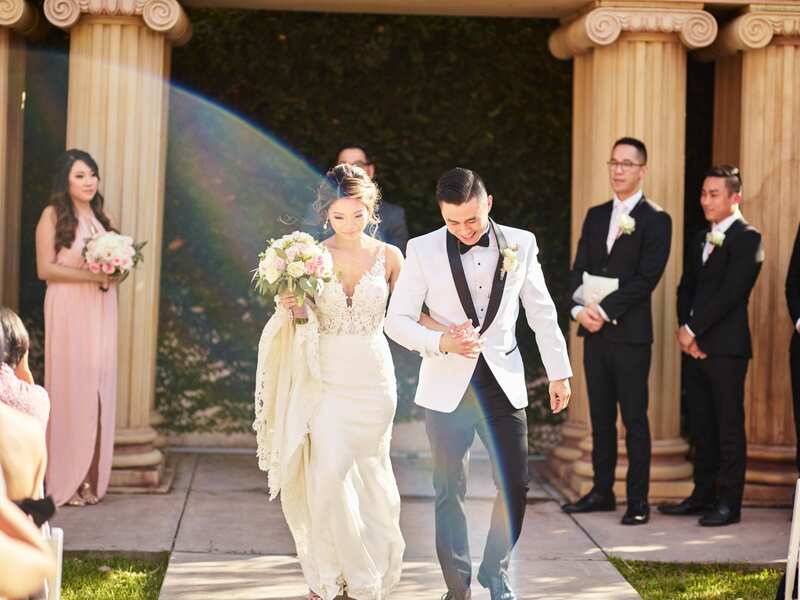 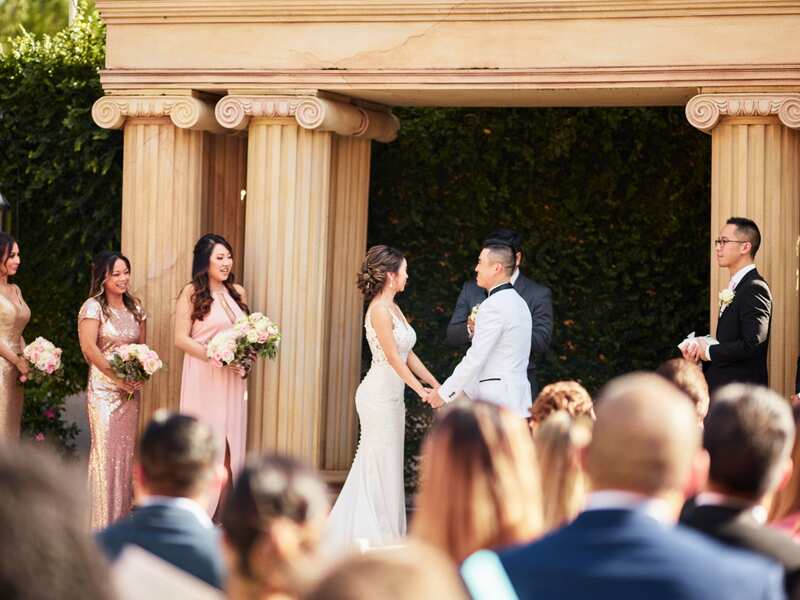 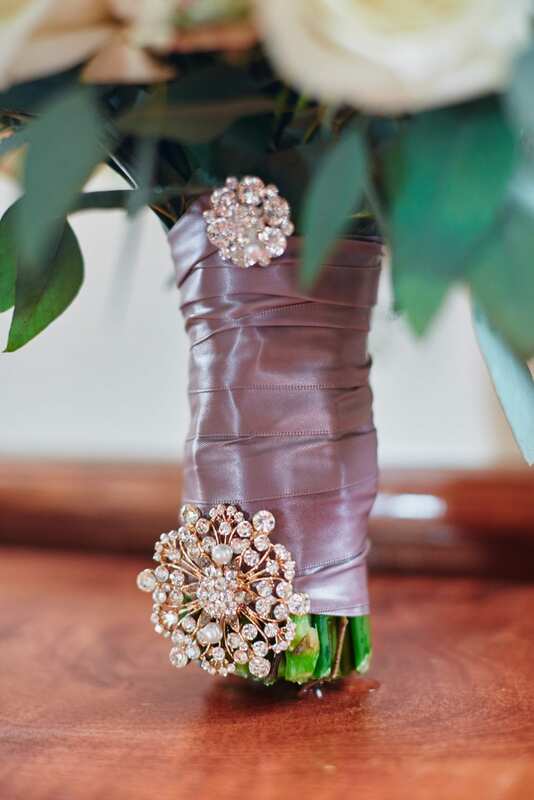 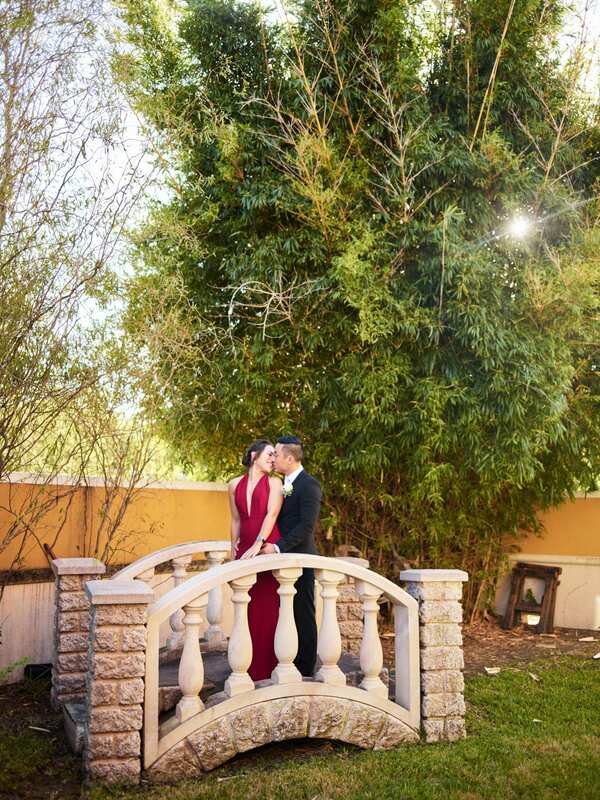 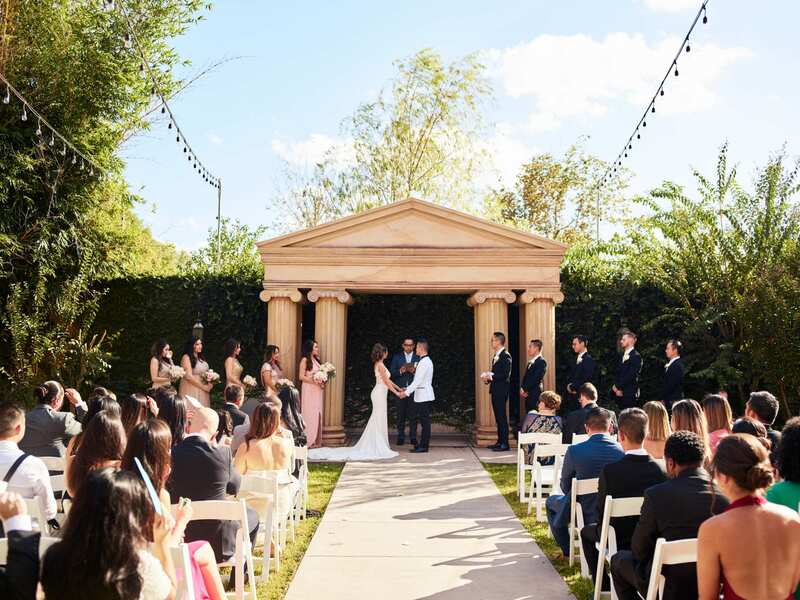 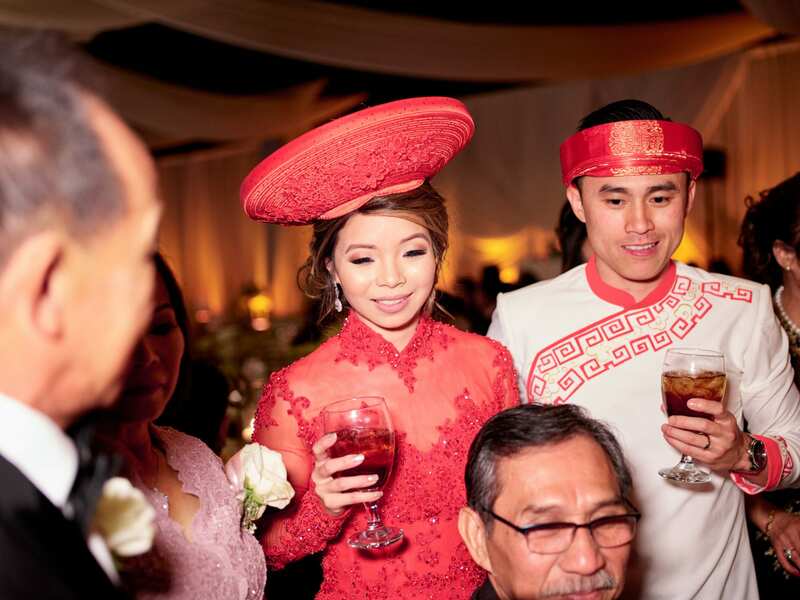 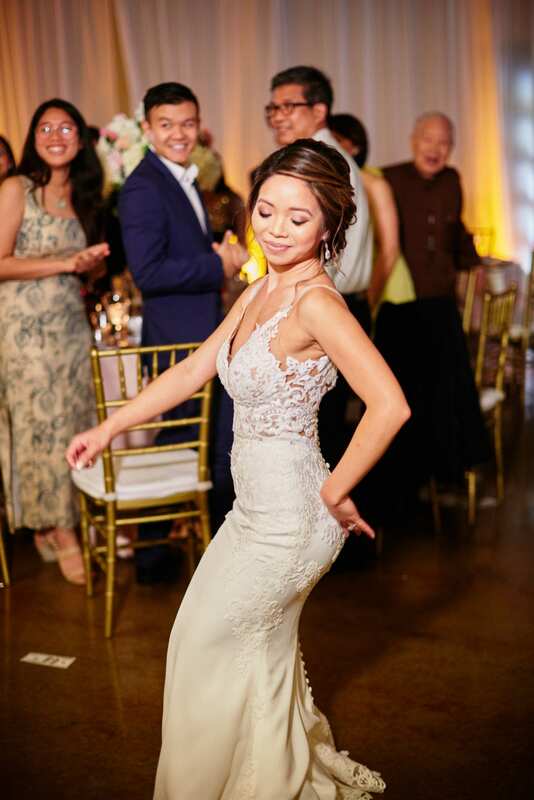 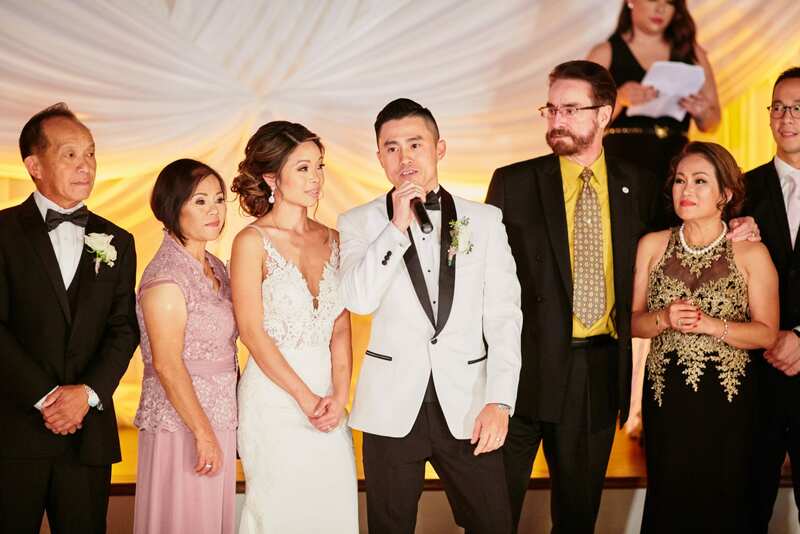 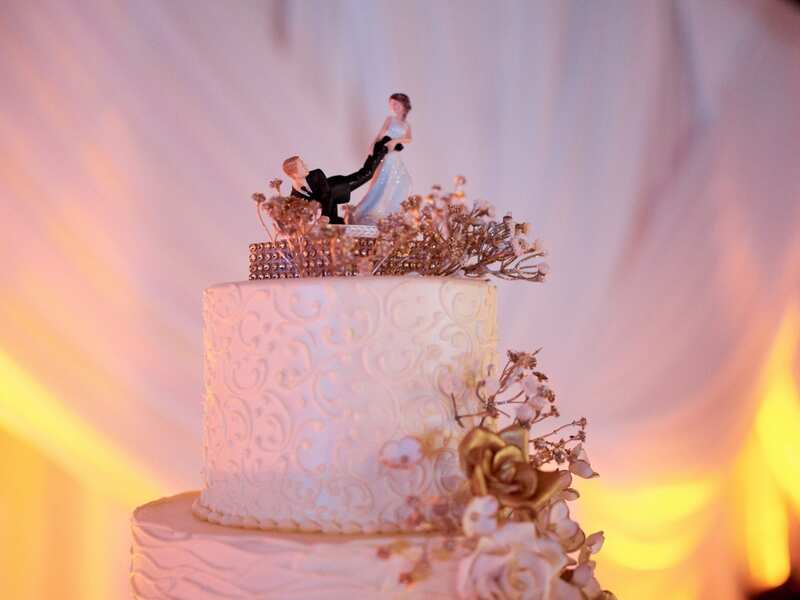 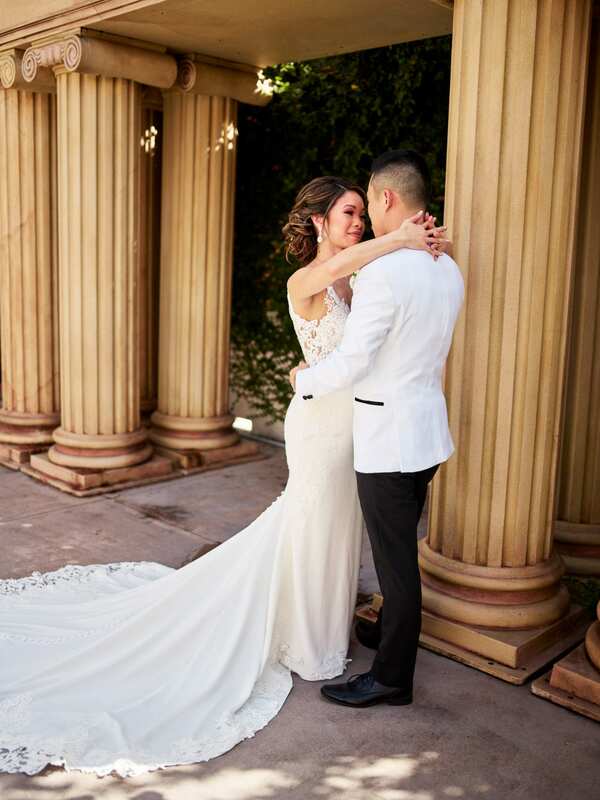 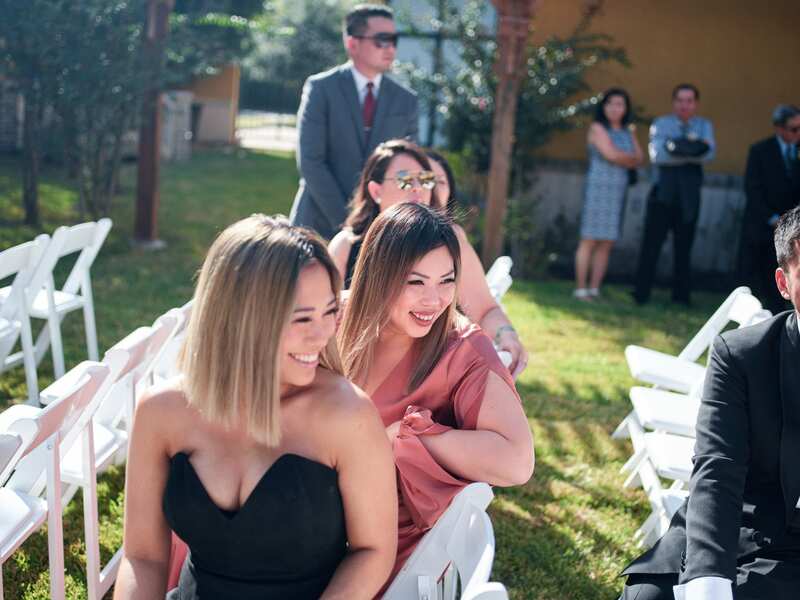 We love covering fun weddings like the beautiful day of Hieu & Linda. 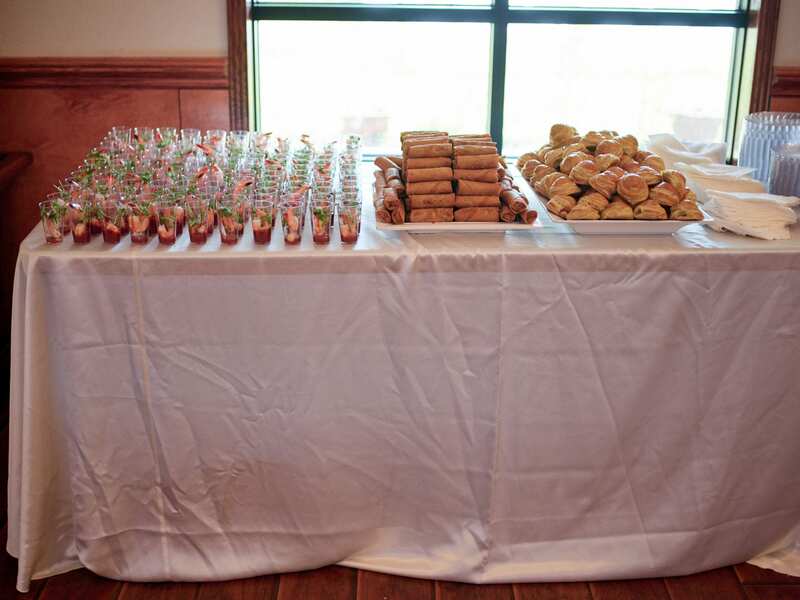 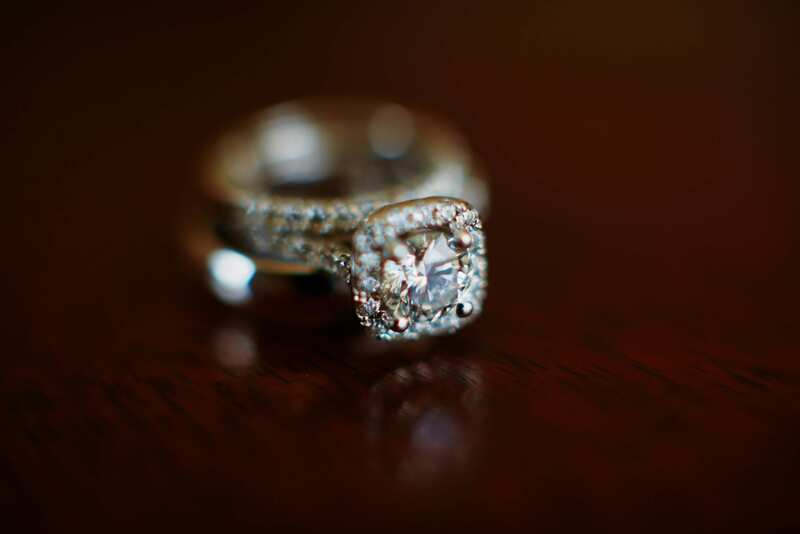 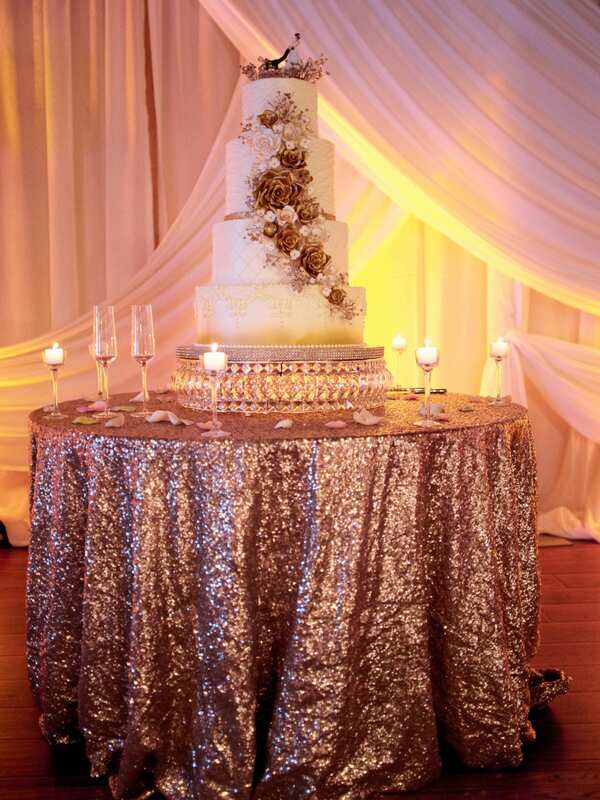 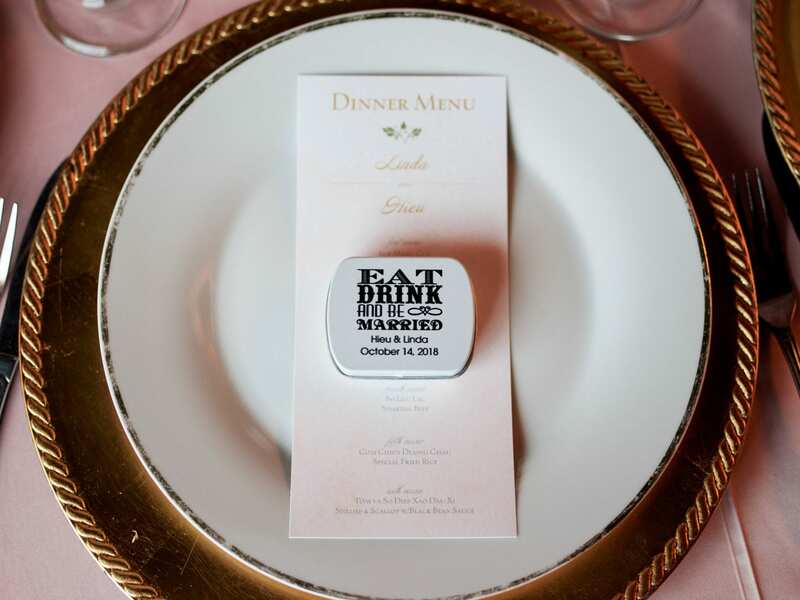 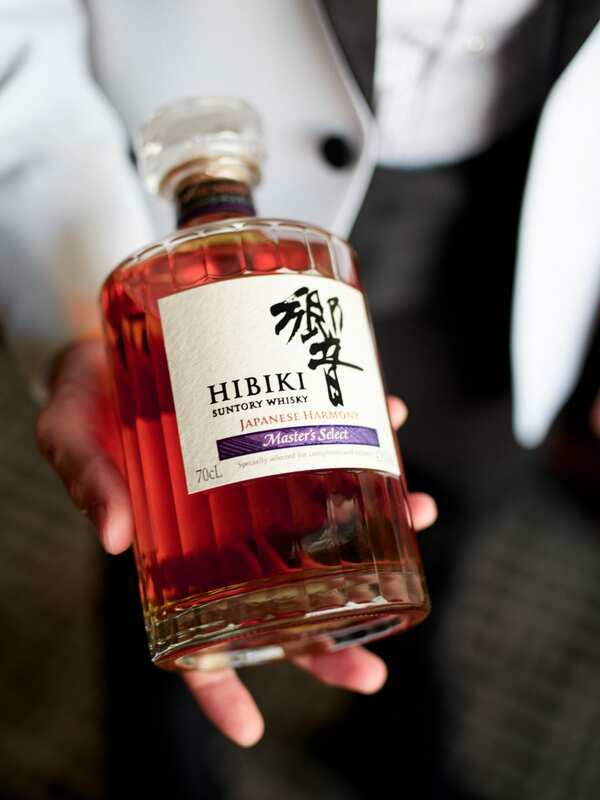 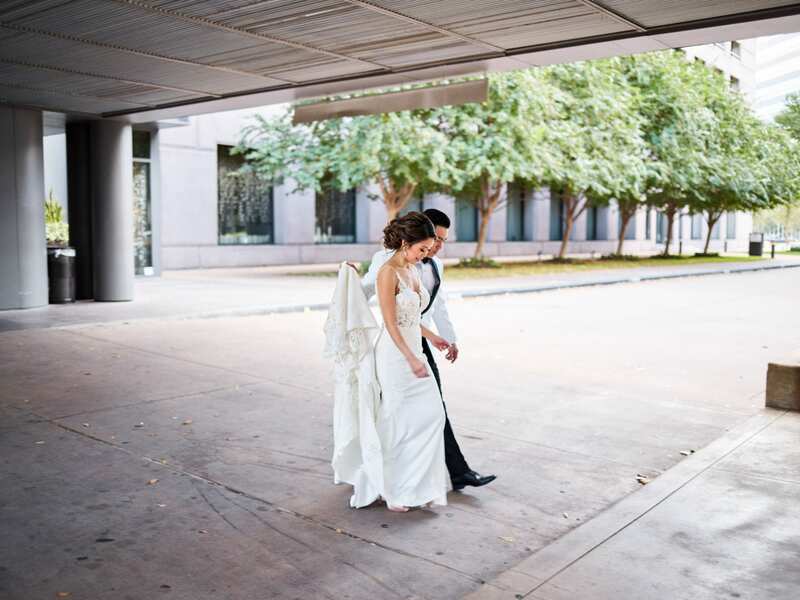 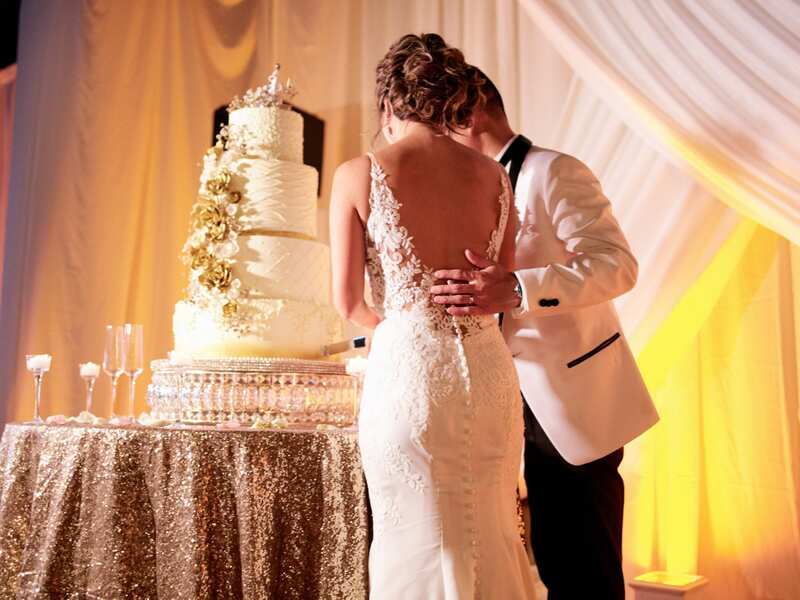 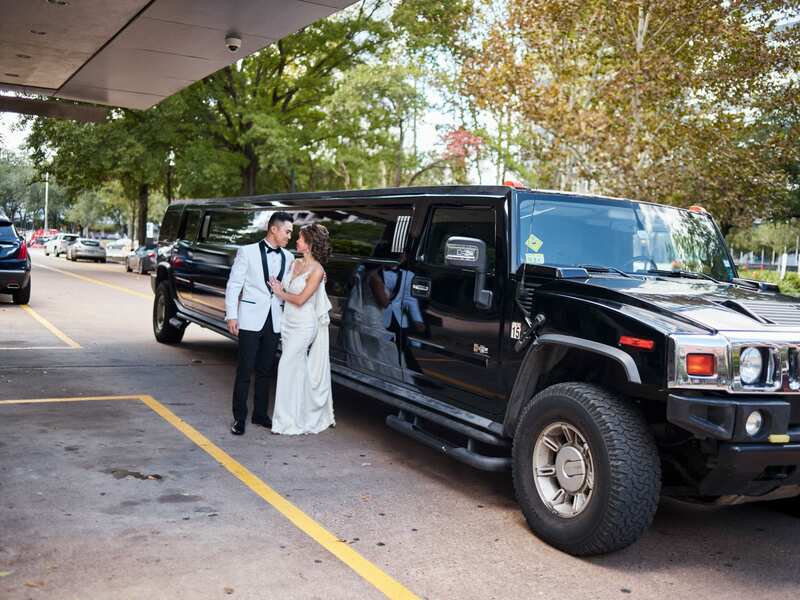 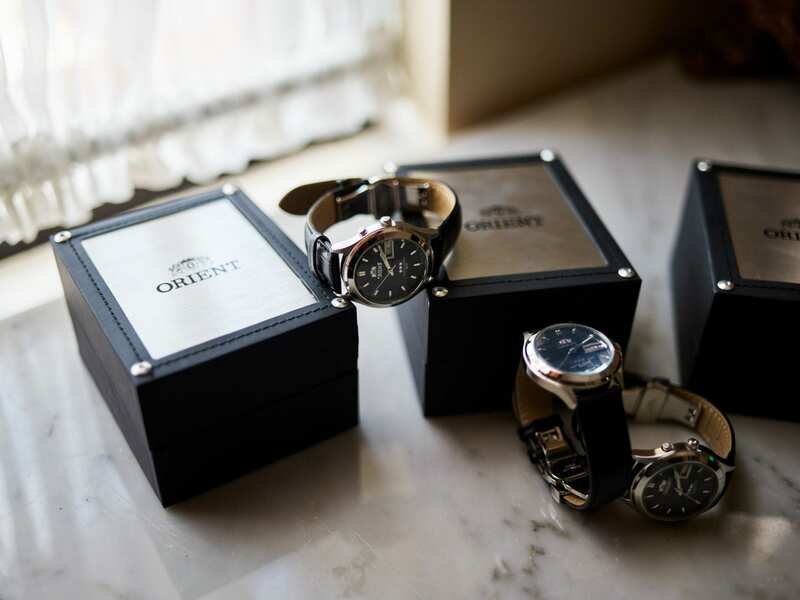 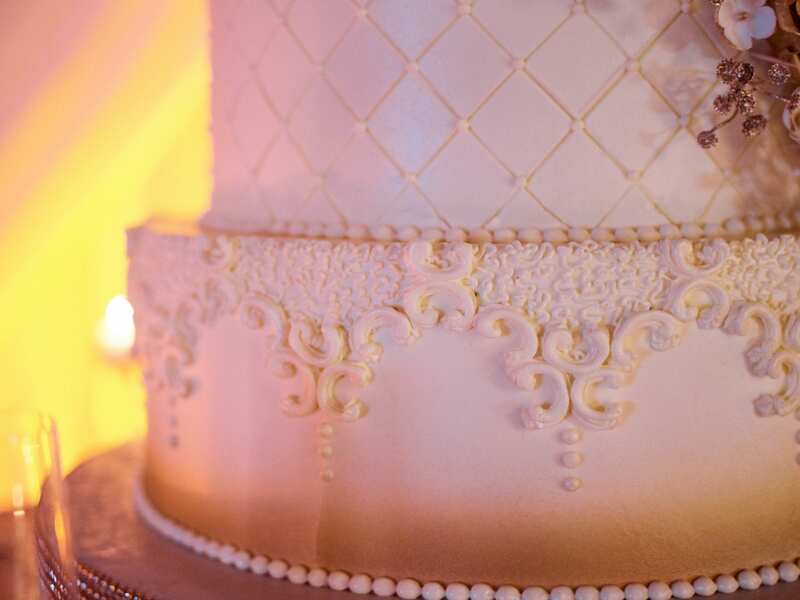 We met up with wedding party at the Hilton Post Oak. 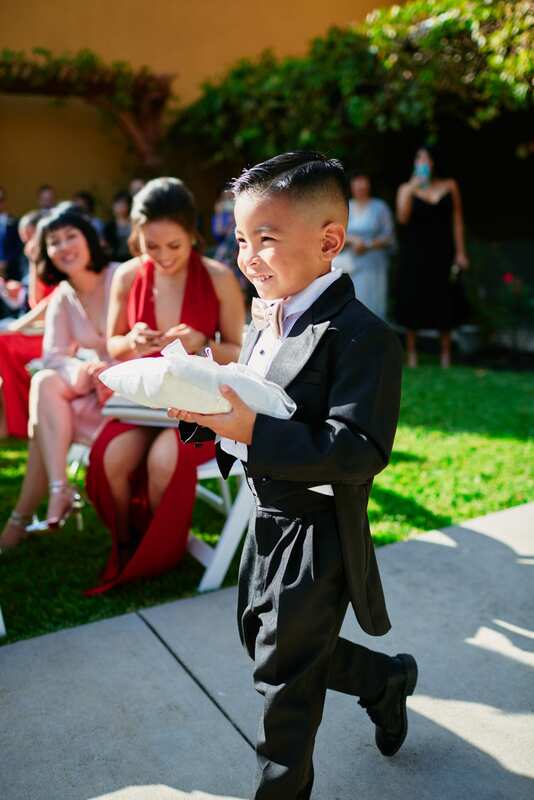 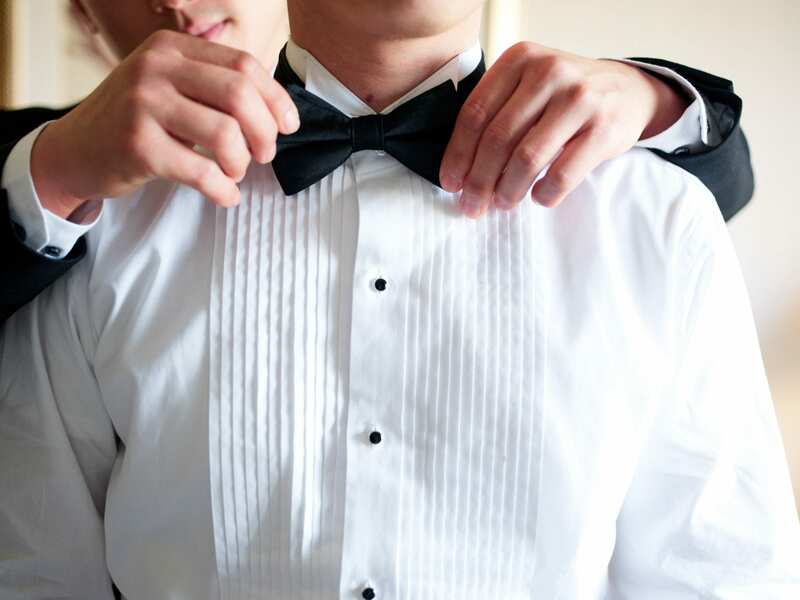 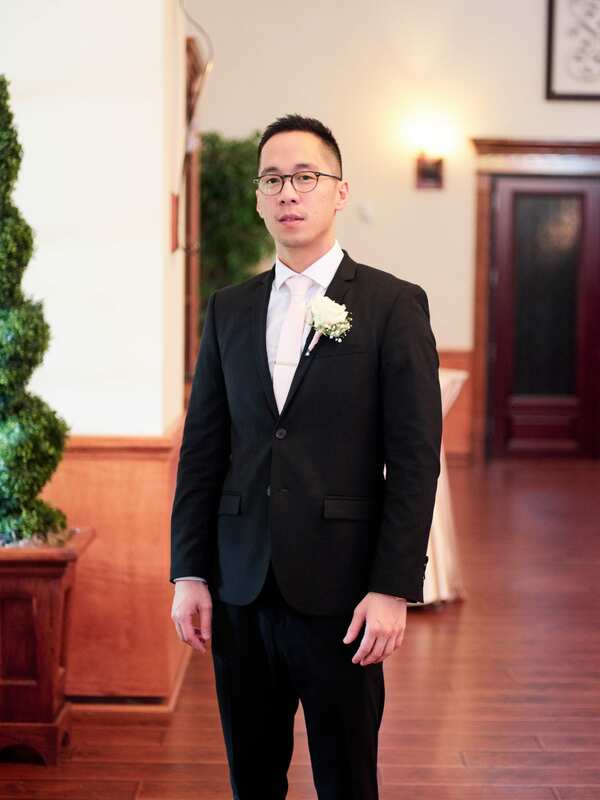 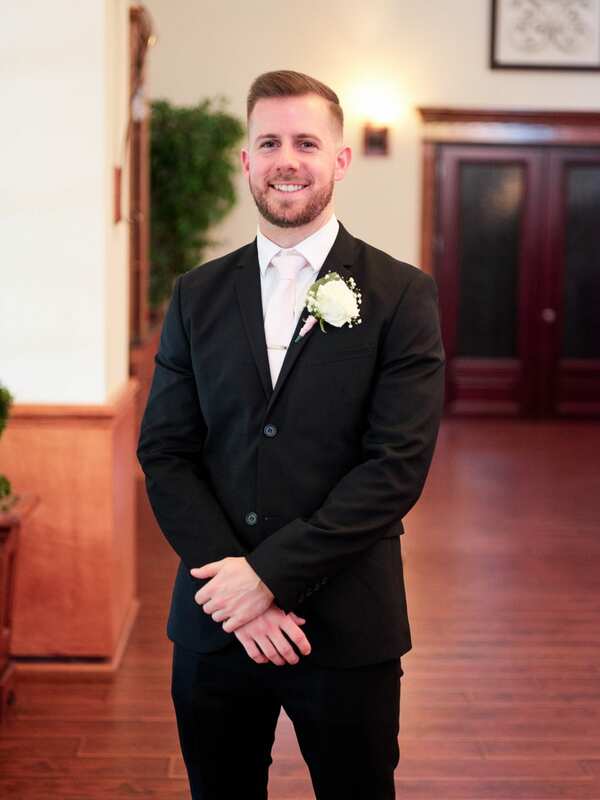 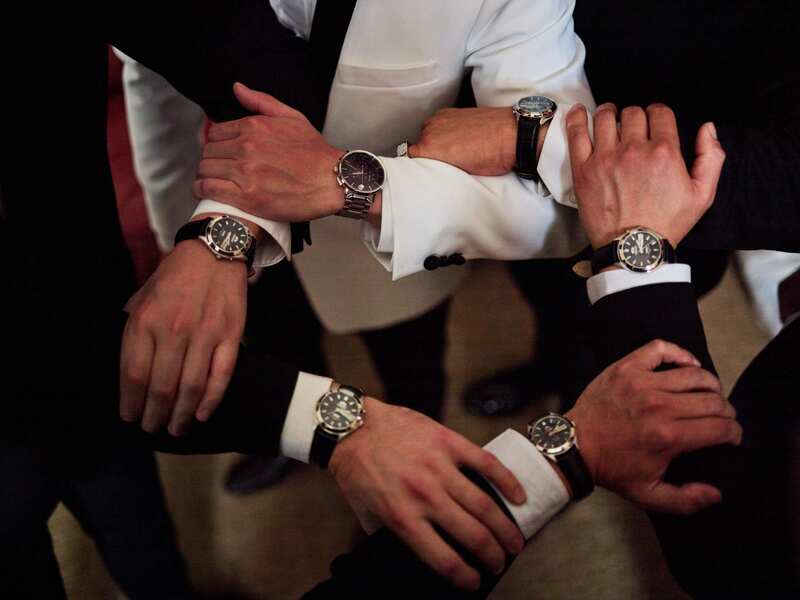 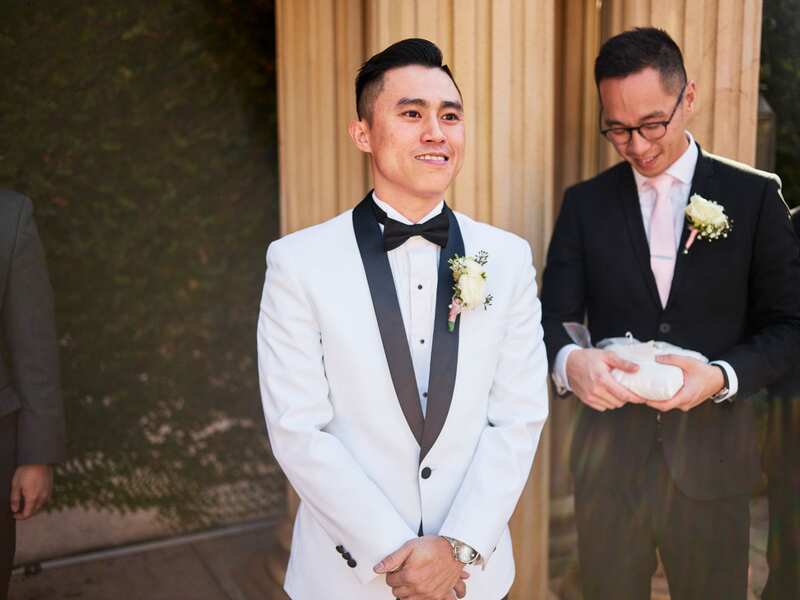 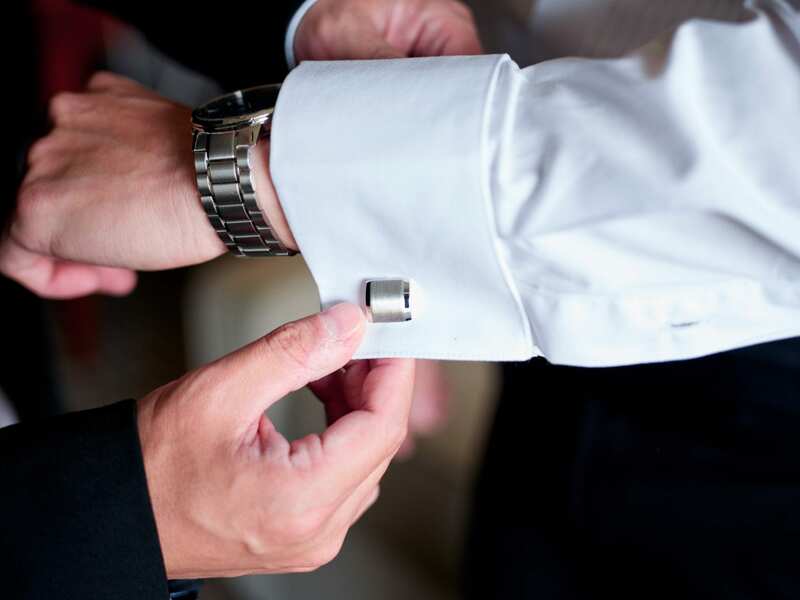 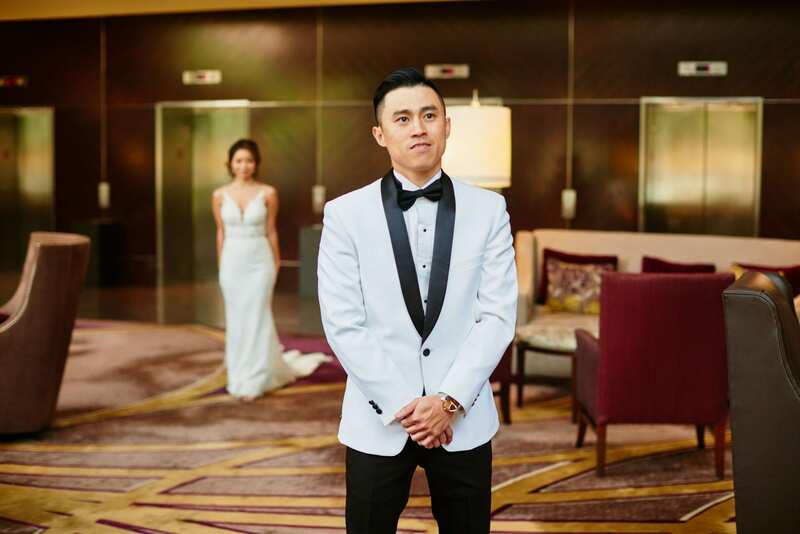 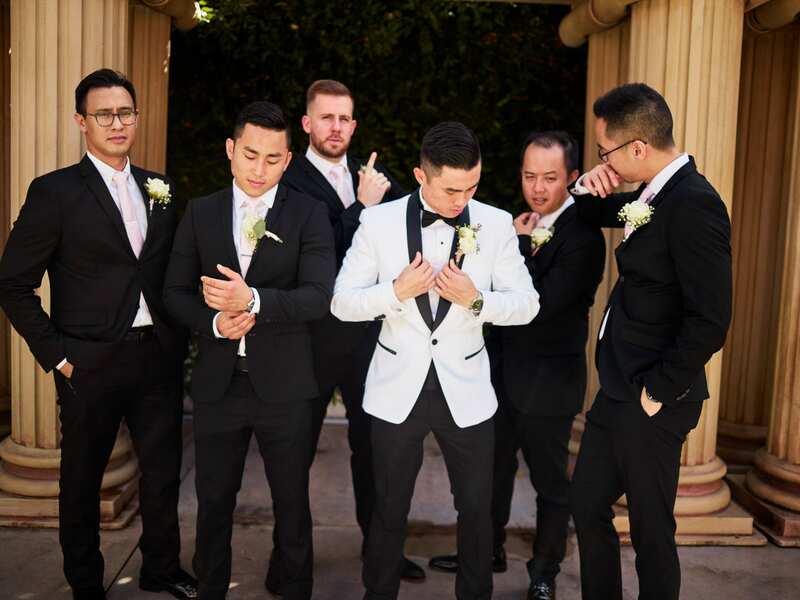 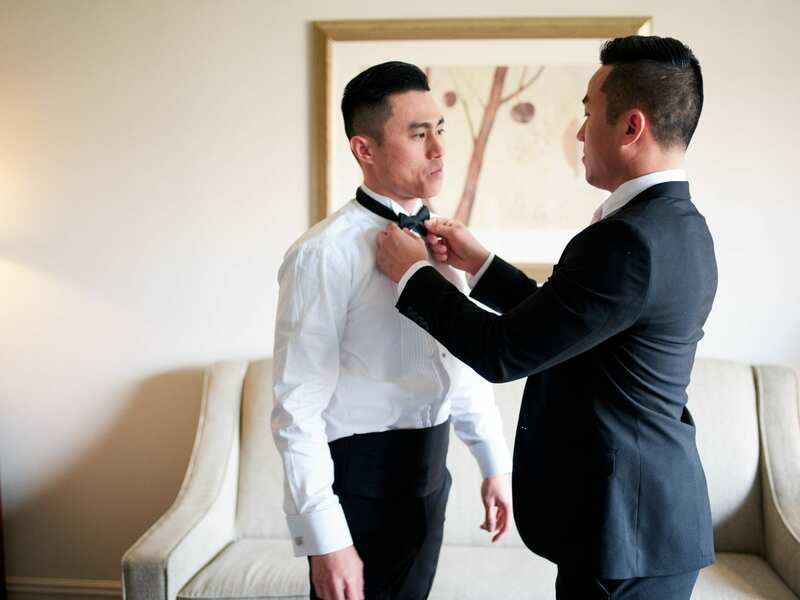 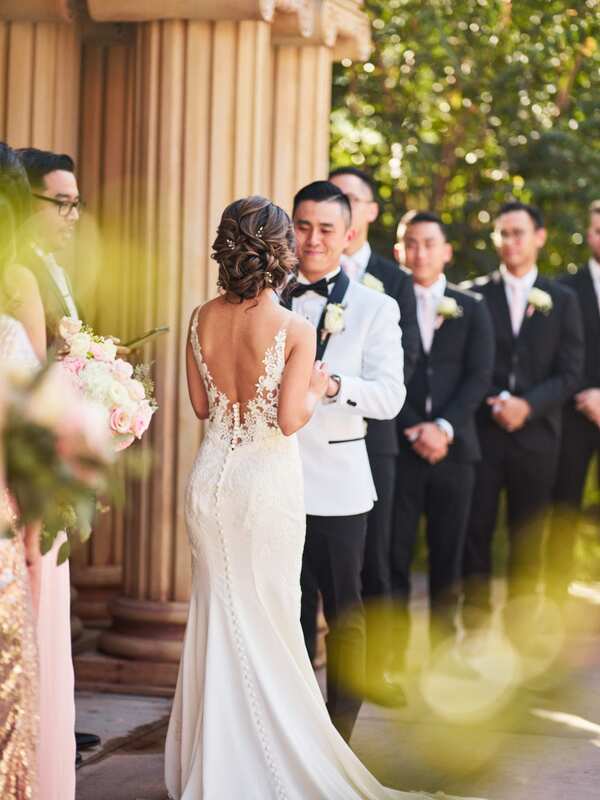 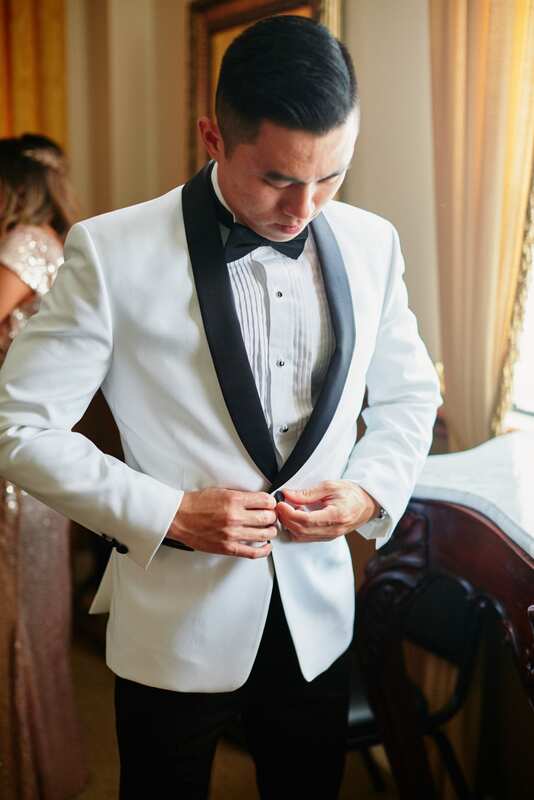 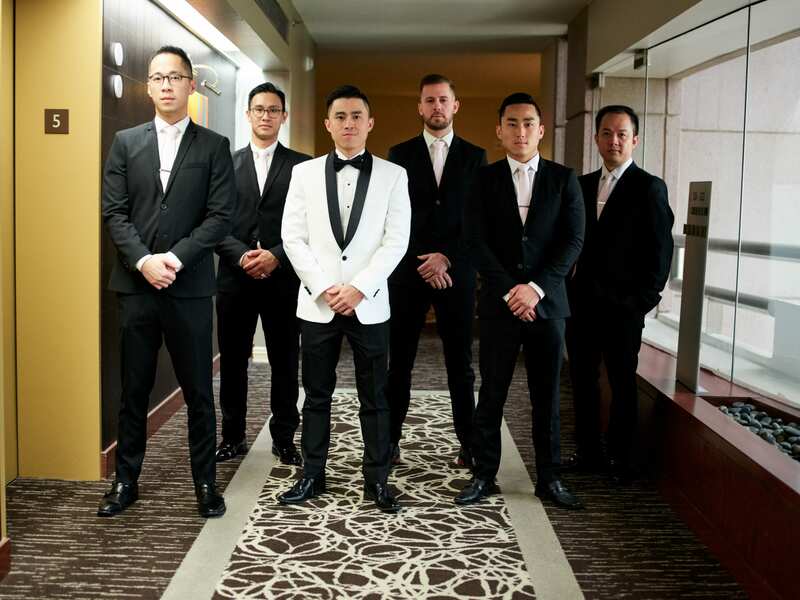 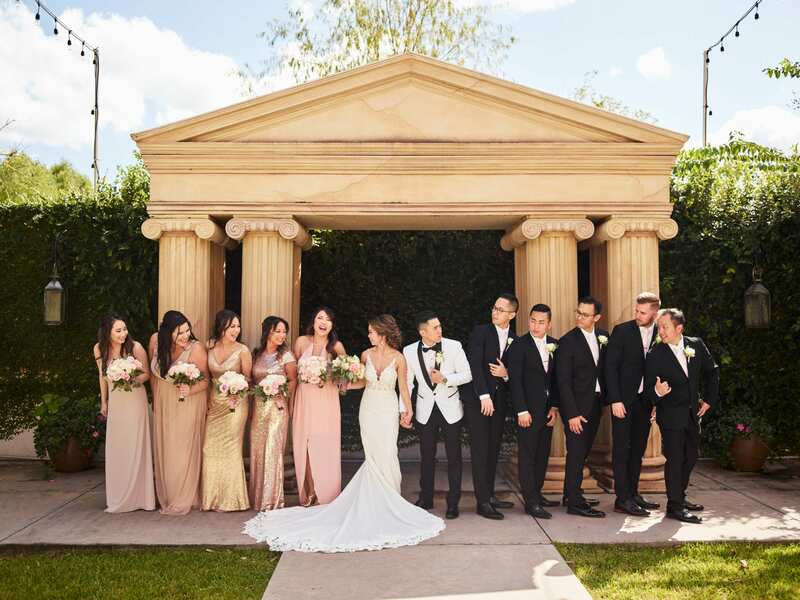 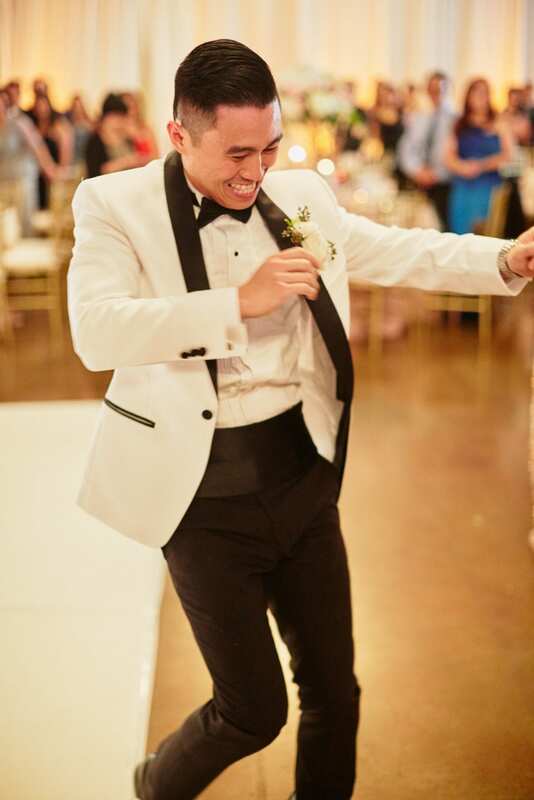 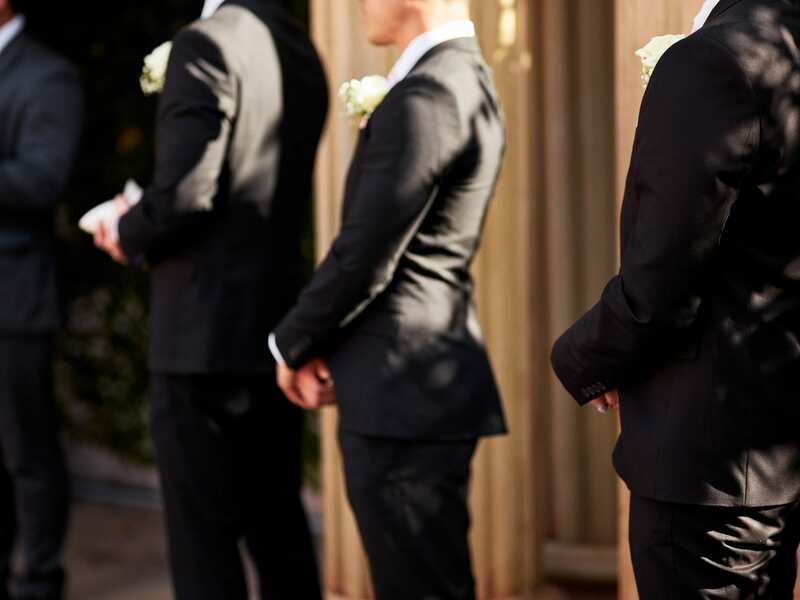 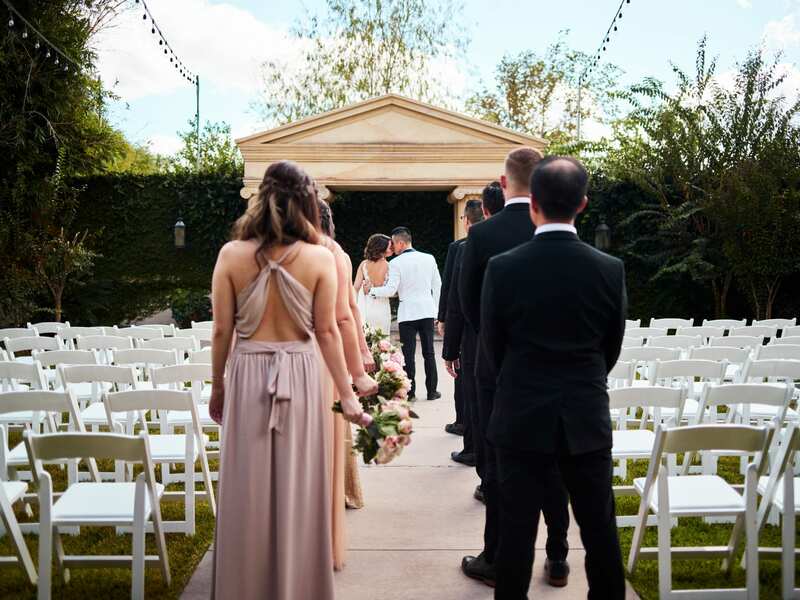 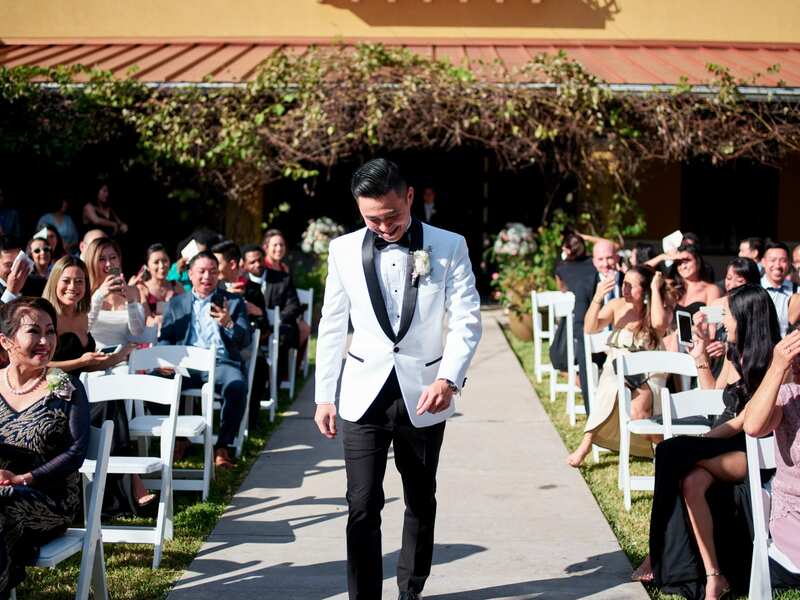 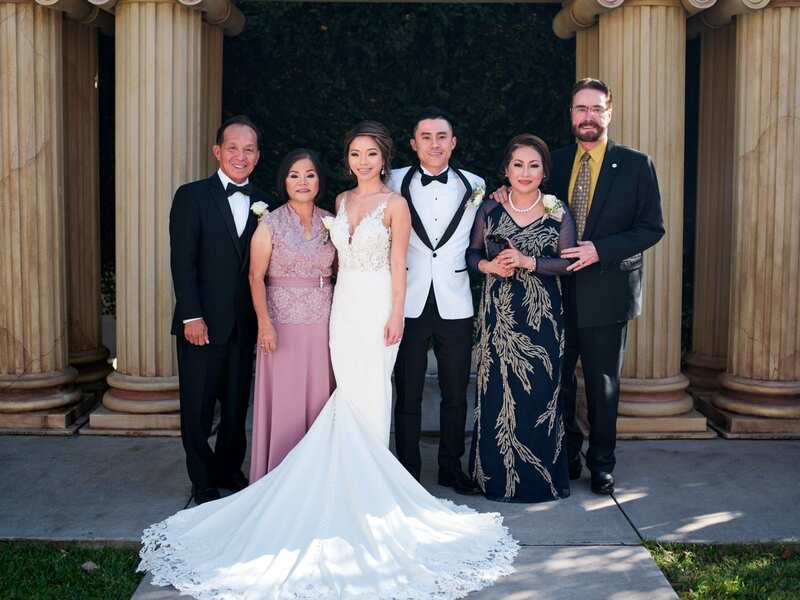 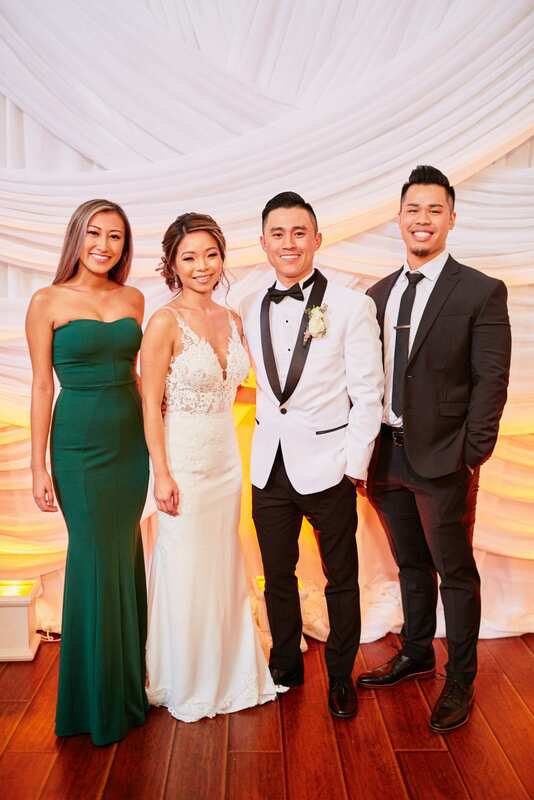 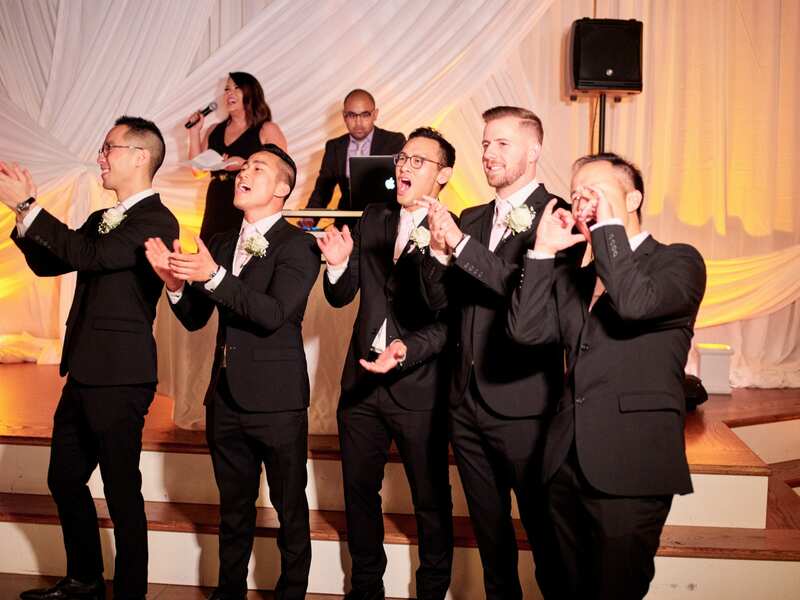 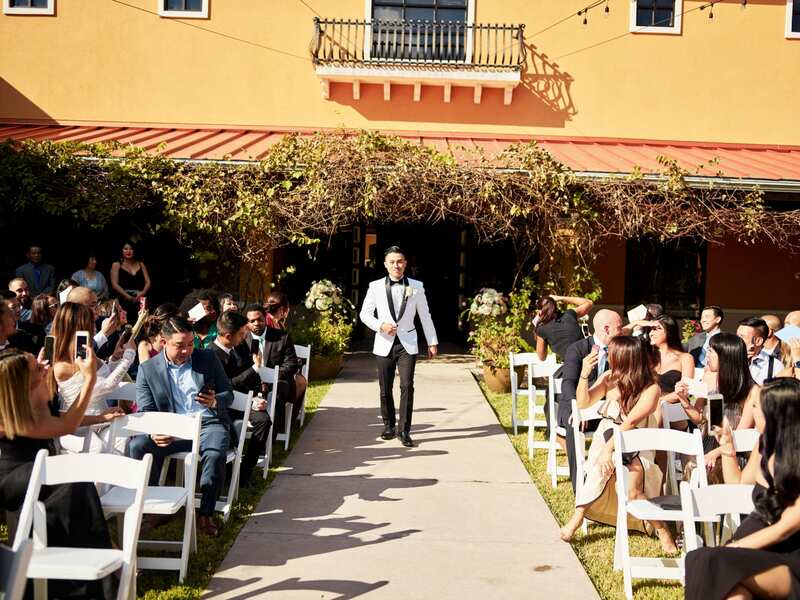 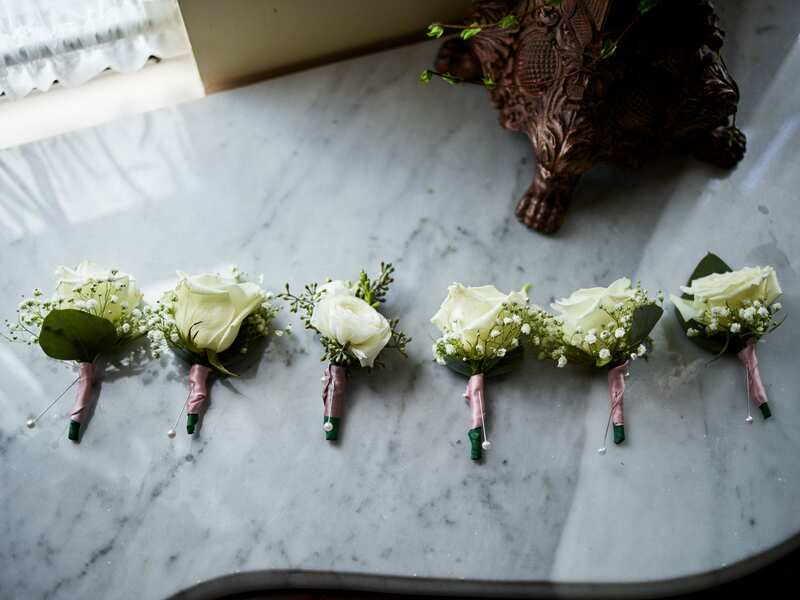 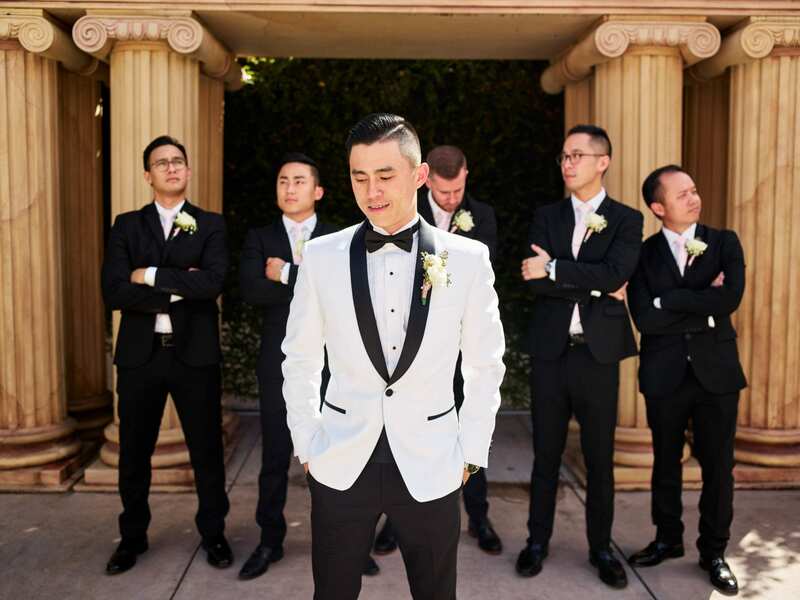 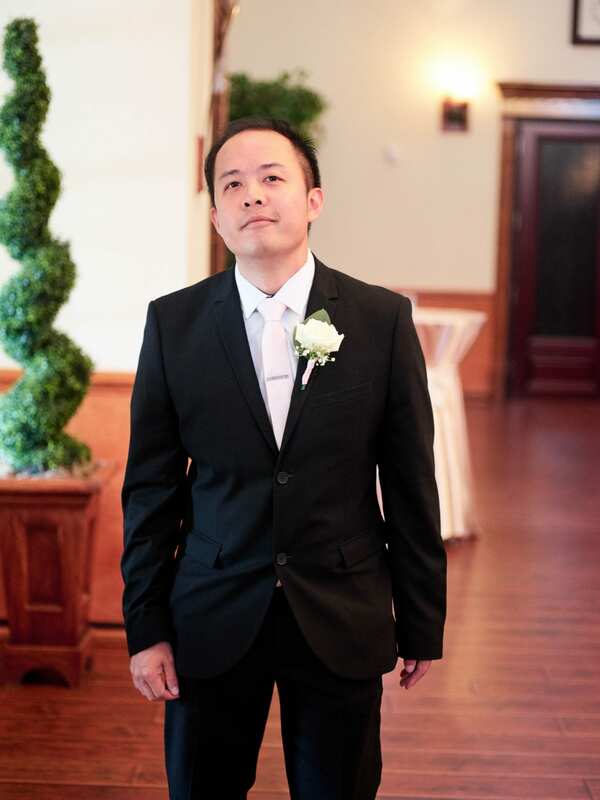 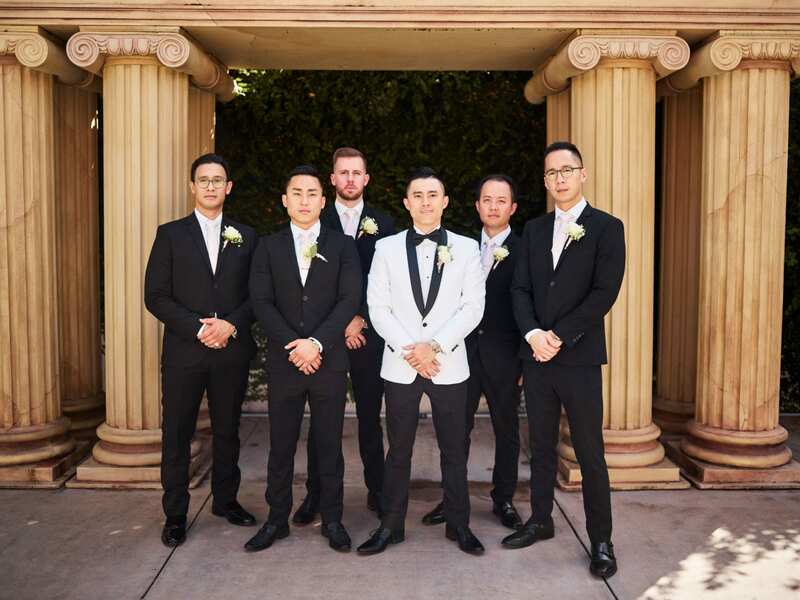 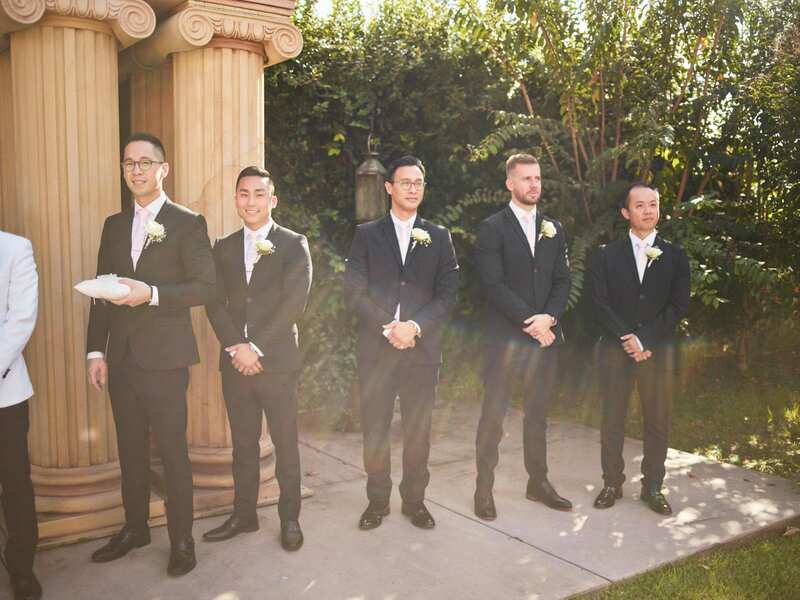 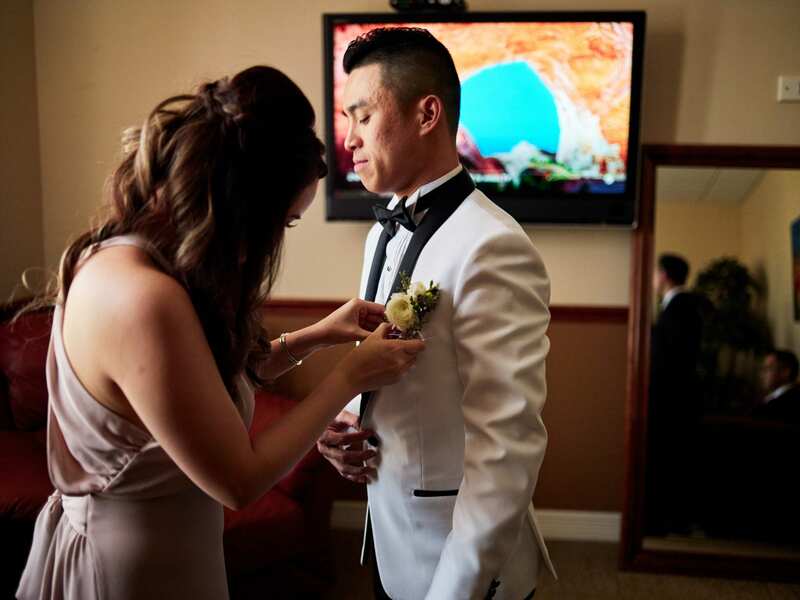 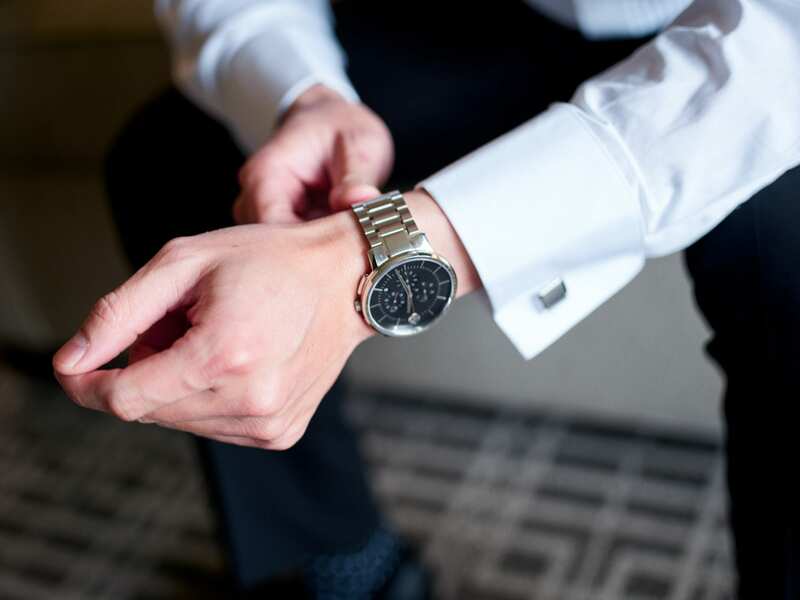 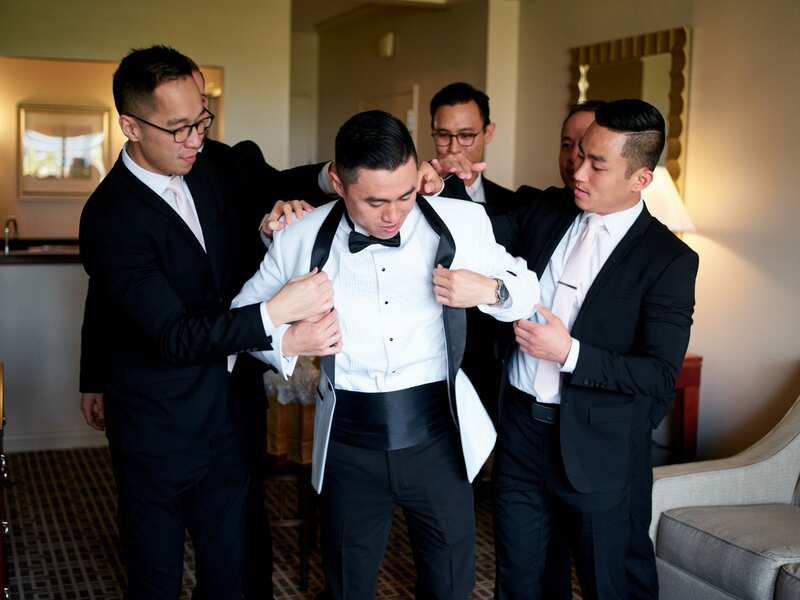 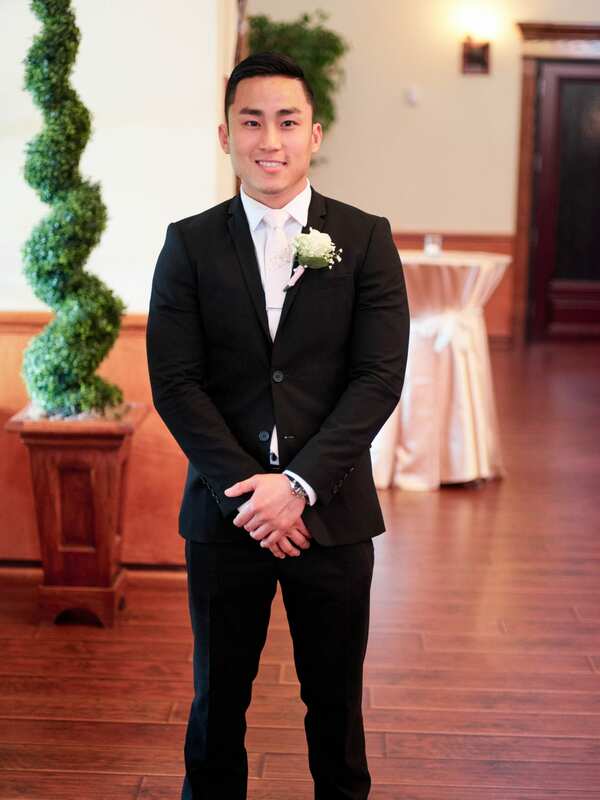 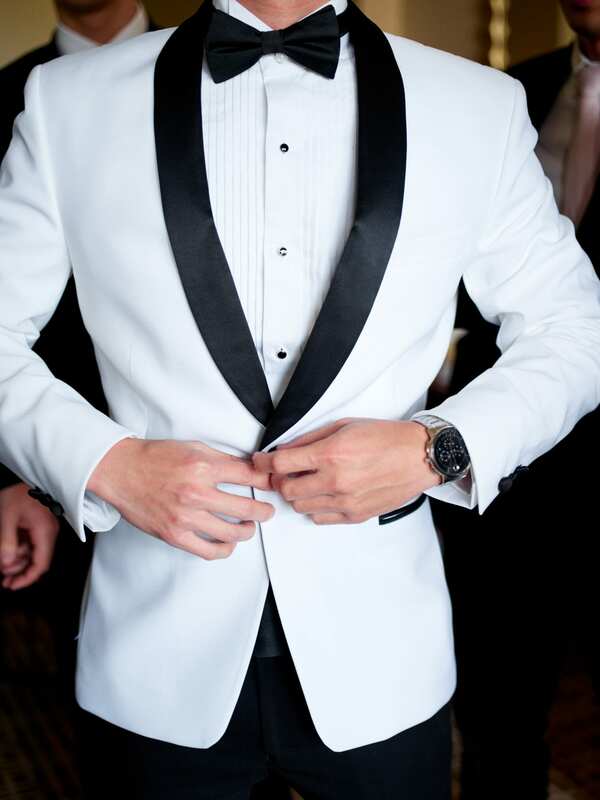 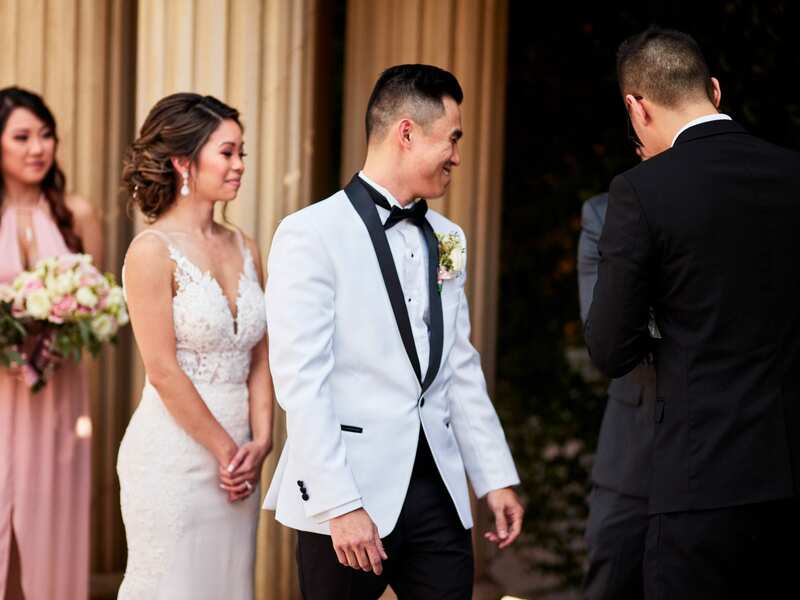 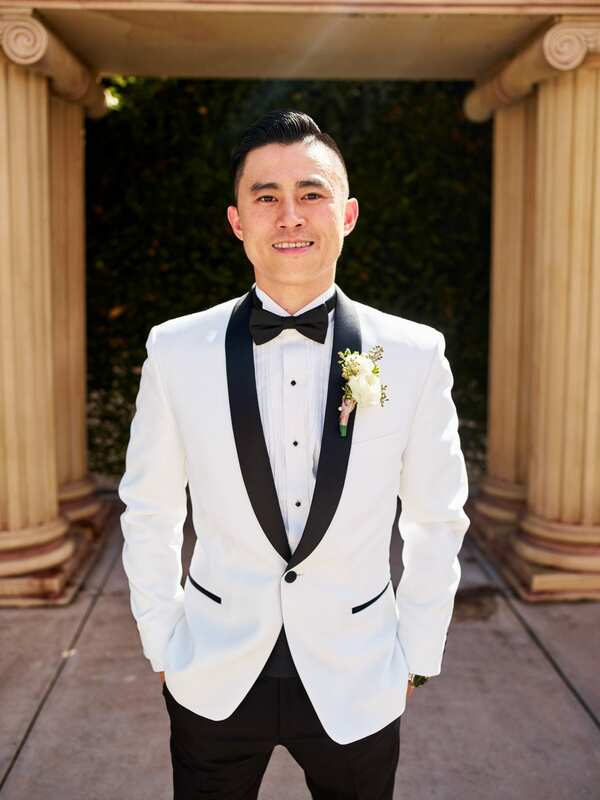 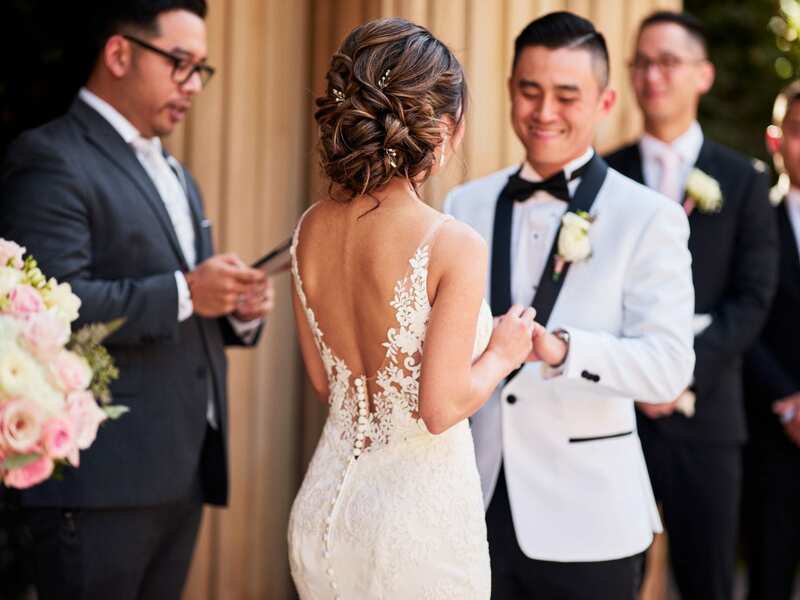 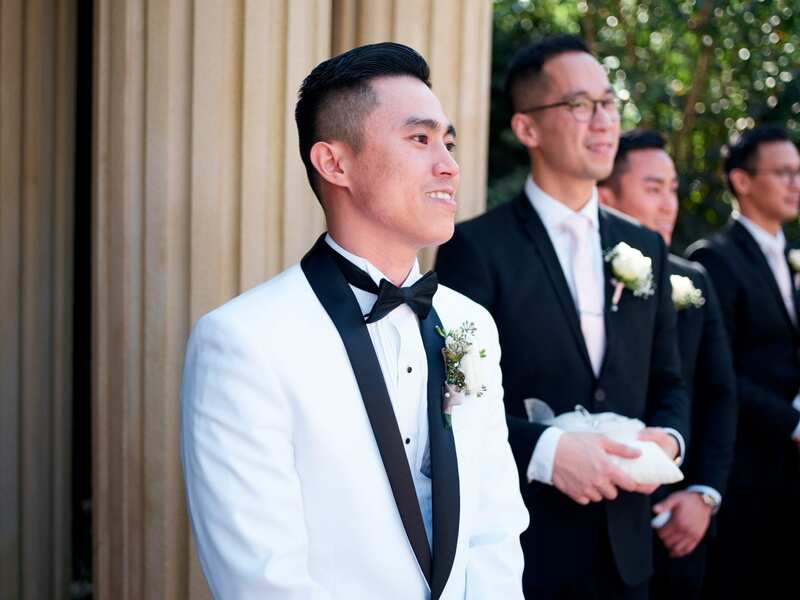 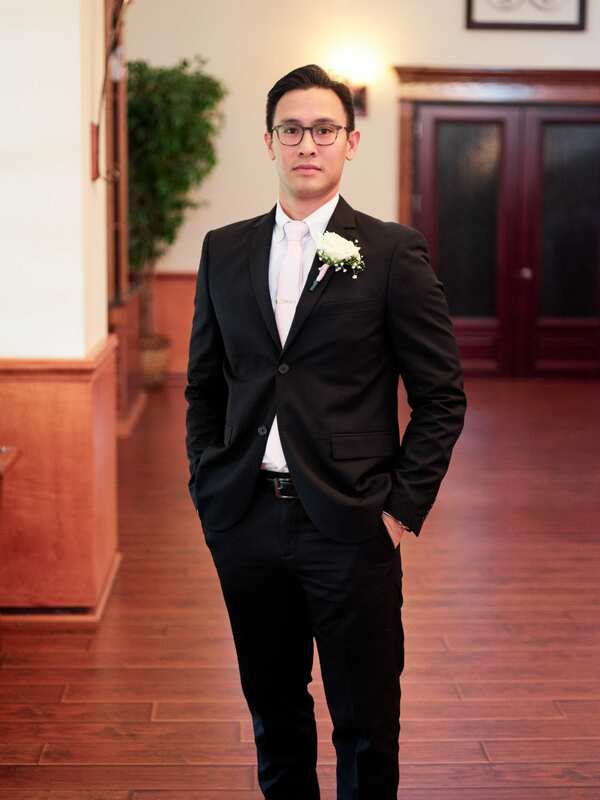 During this time the fun loving spirit of the groomsmen came through as they assisted Hieu with styling in his white tuxedo. 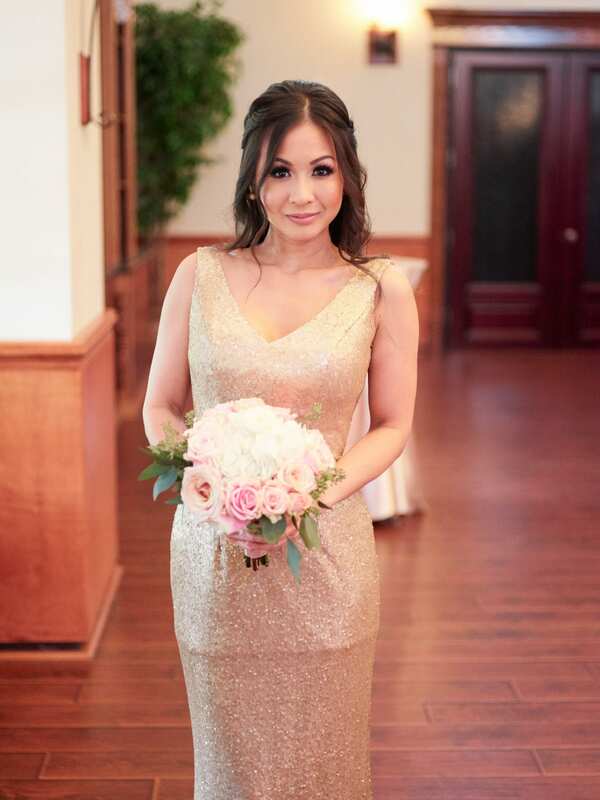 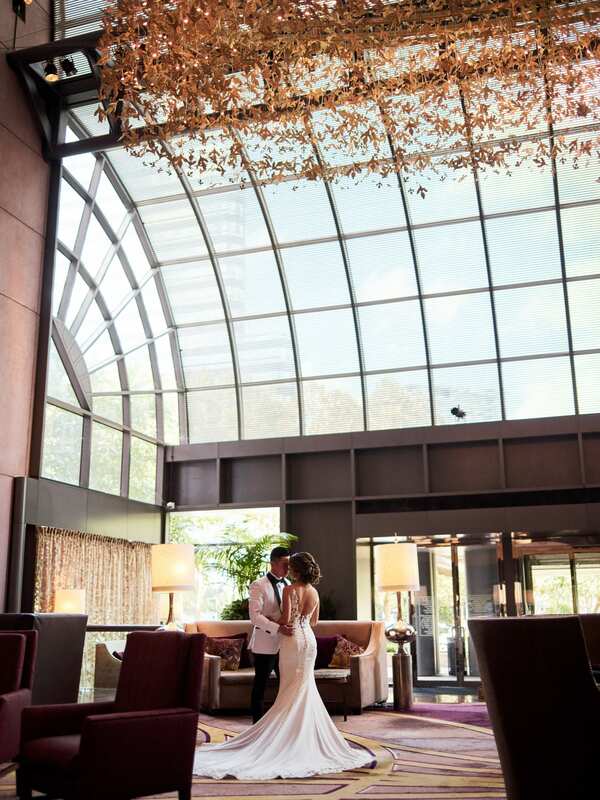 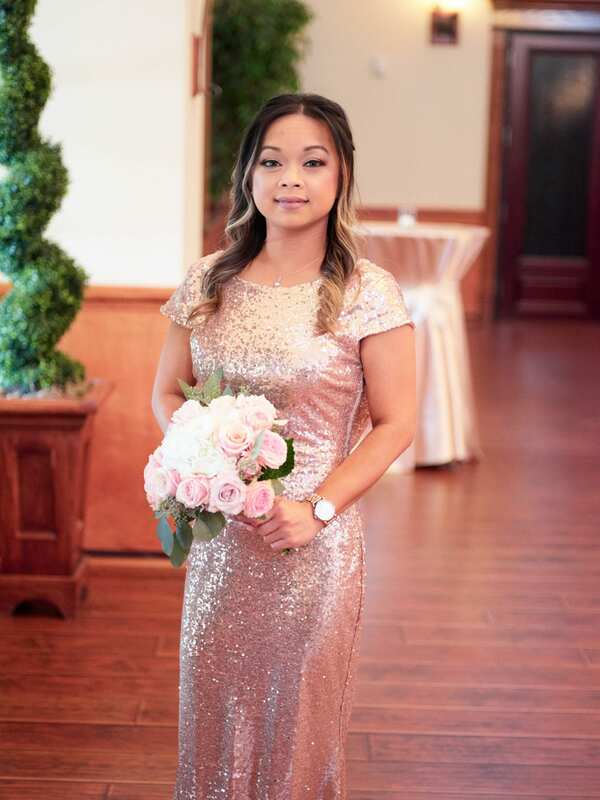 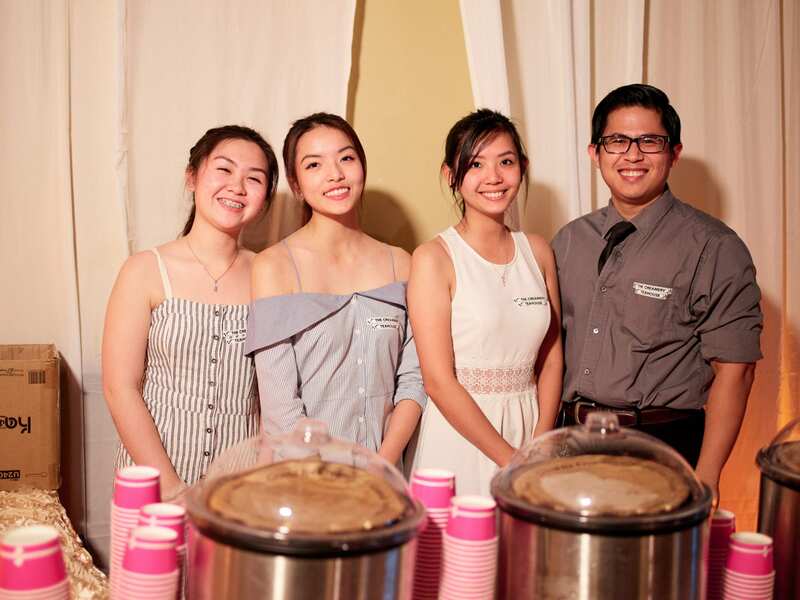 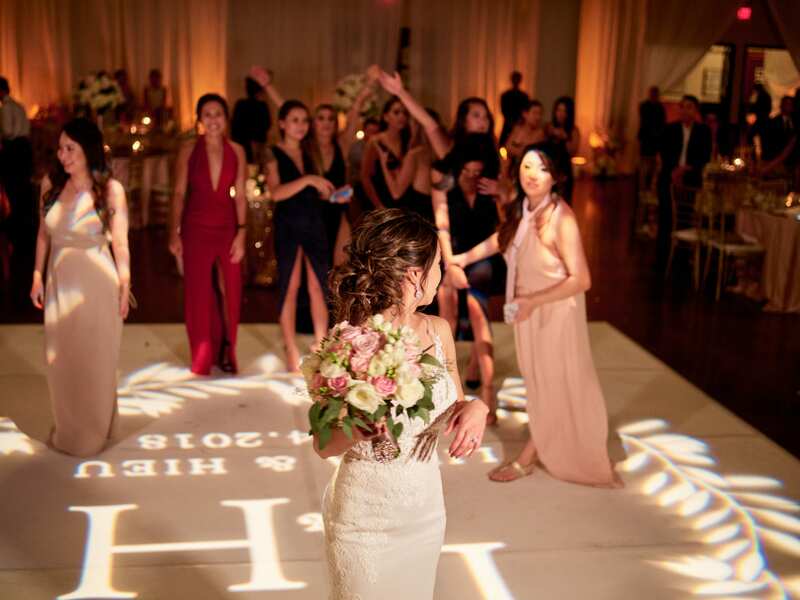 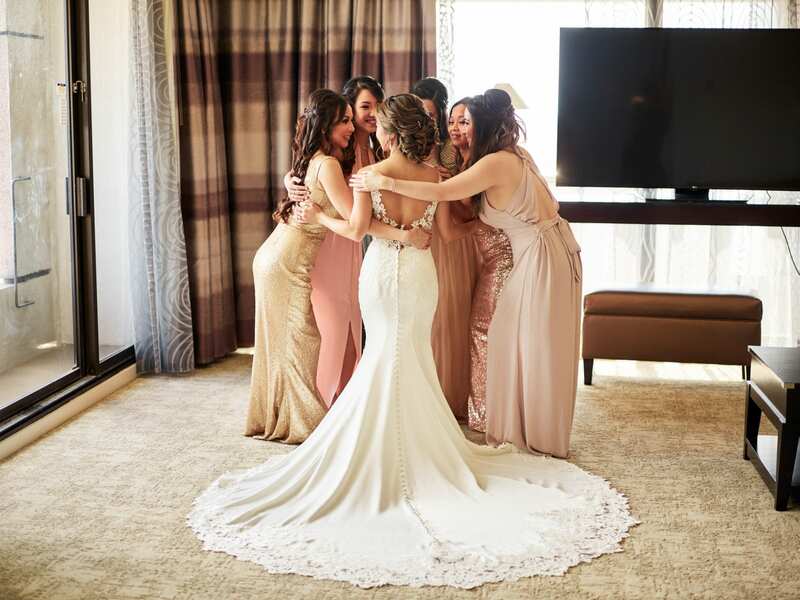 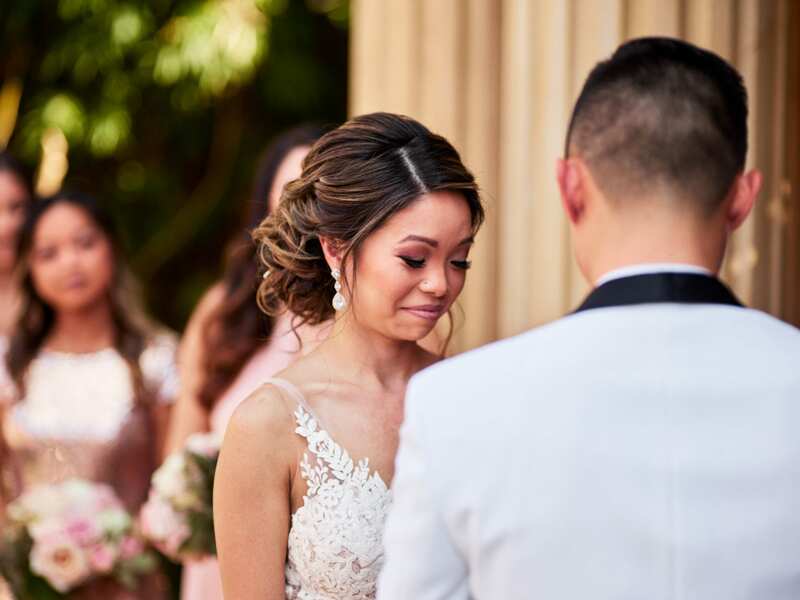 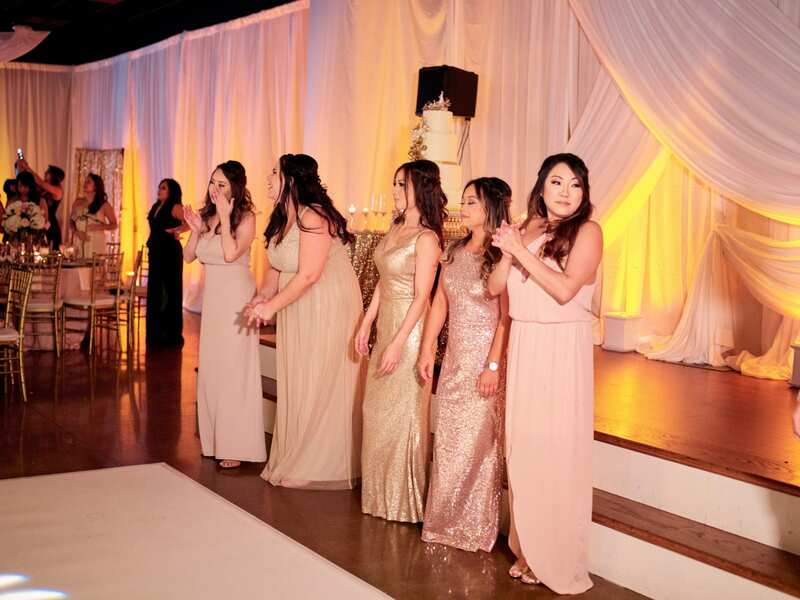 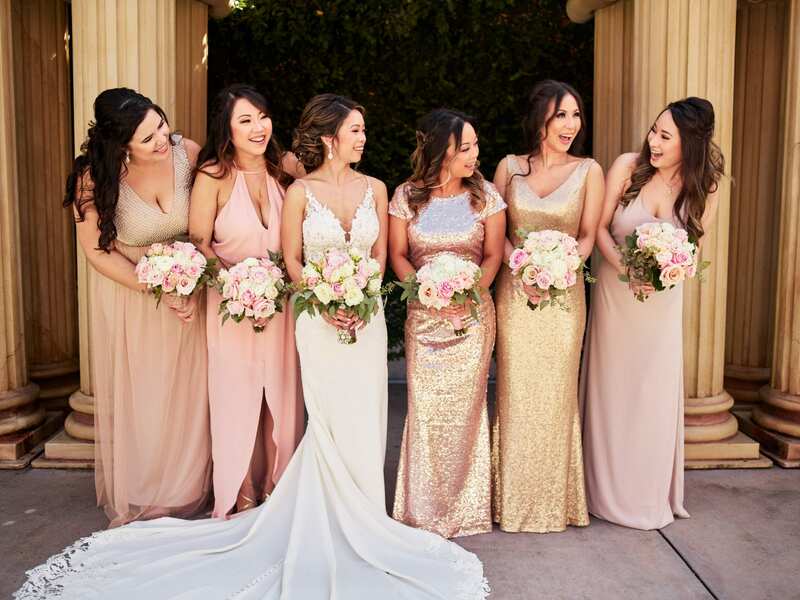 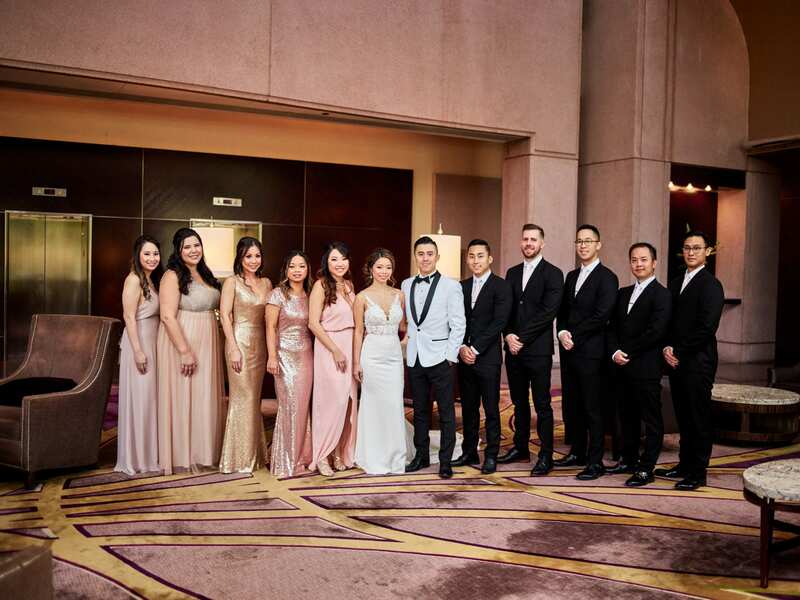 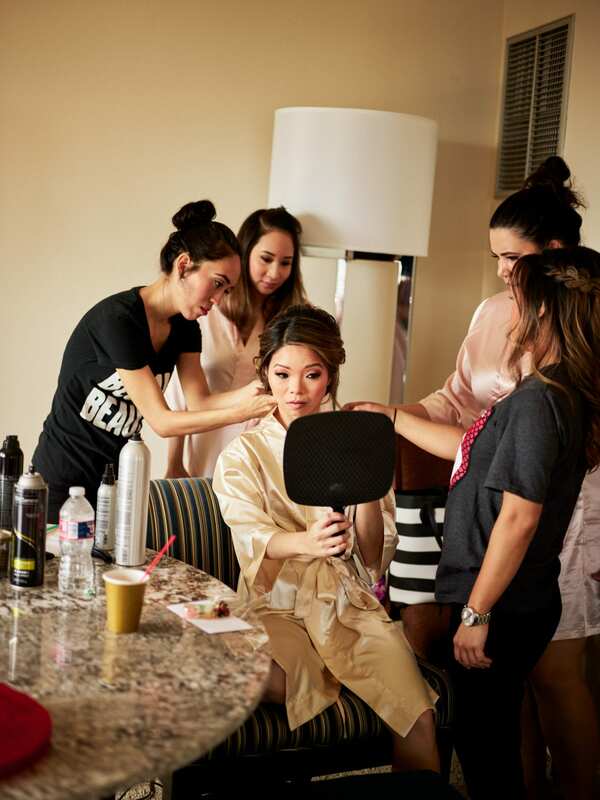 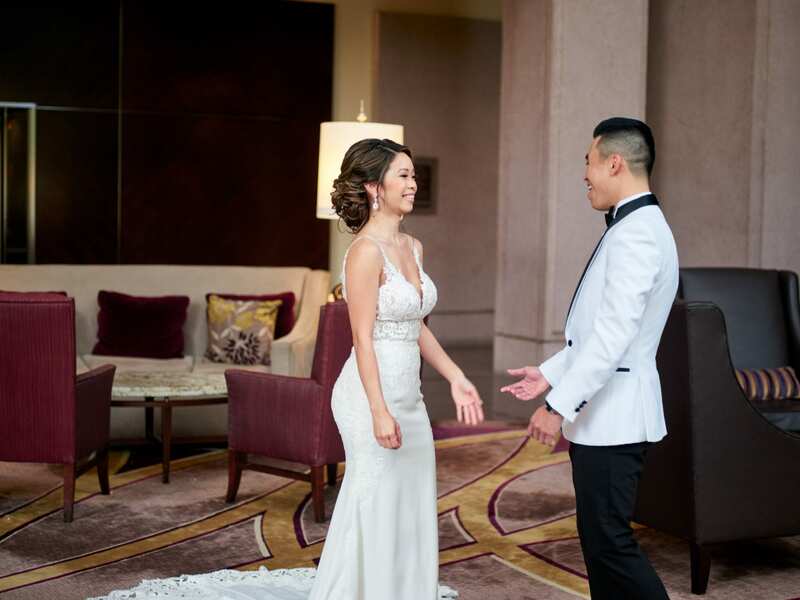 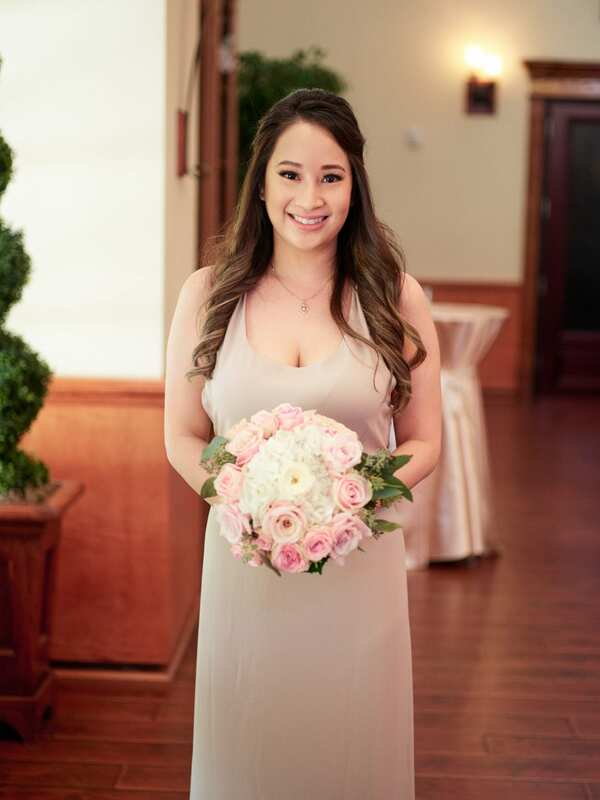 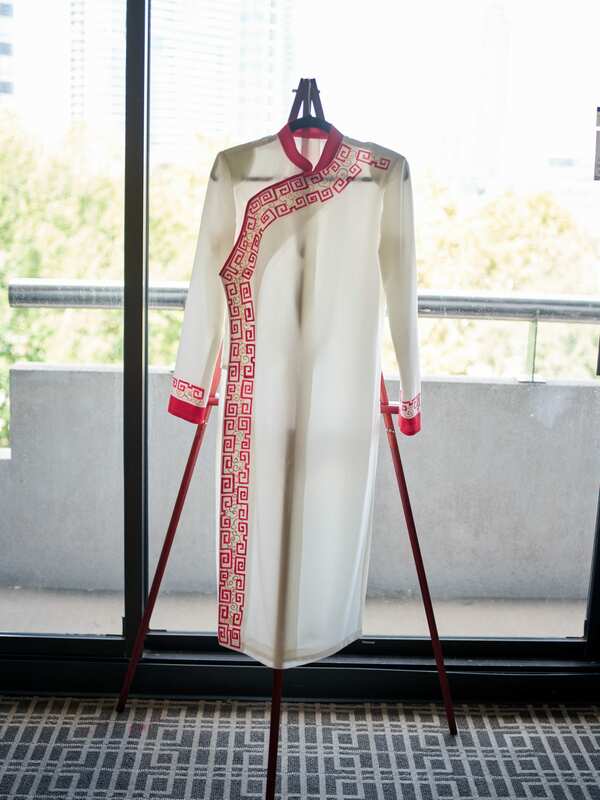 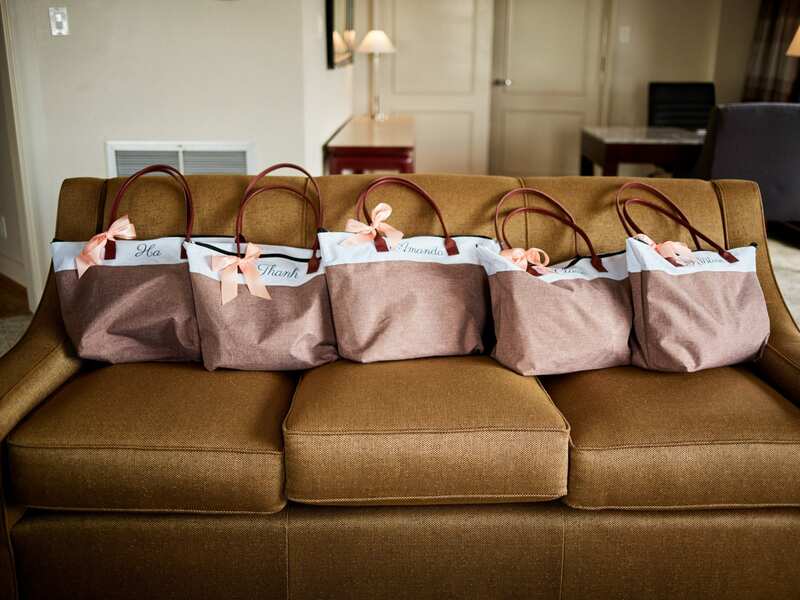 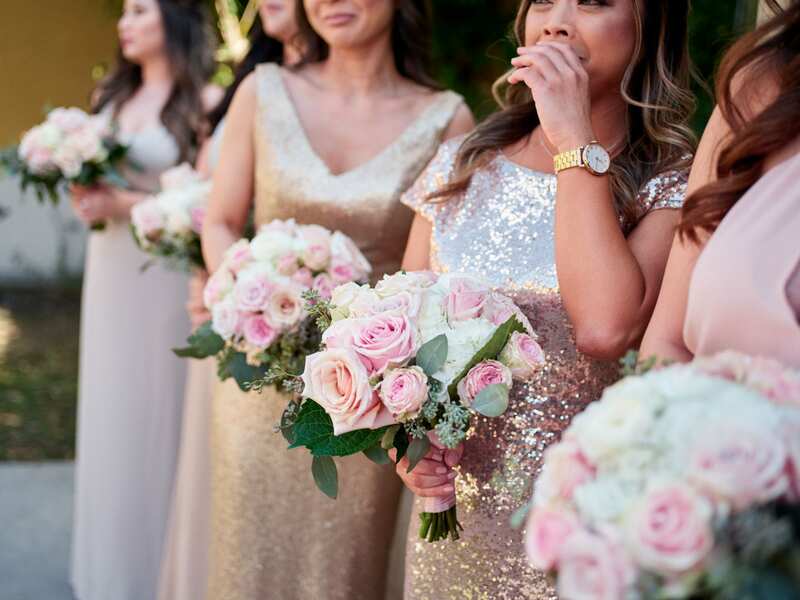 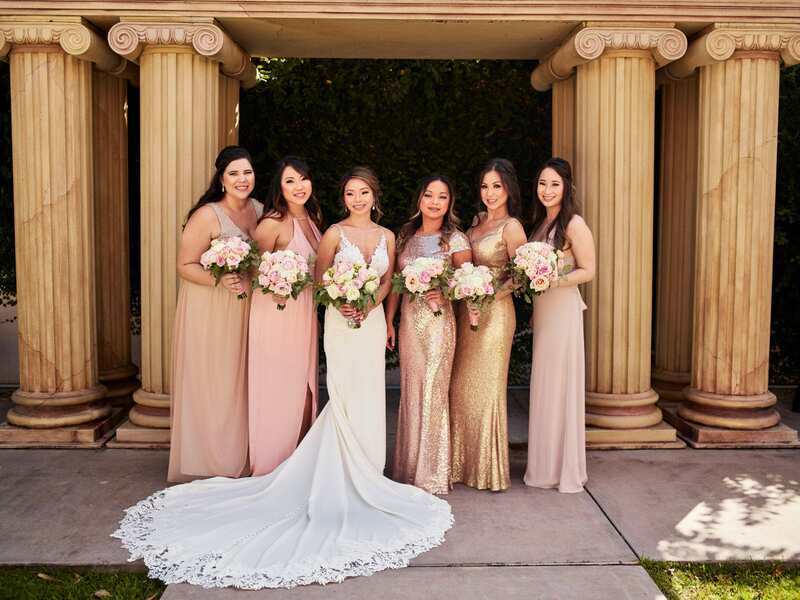 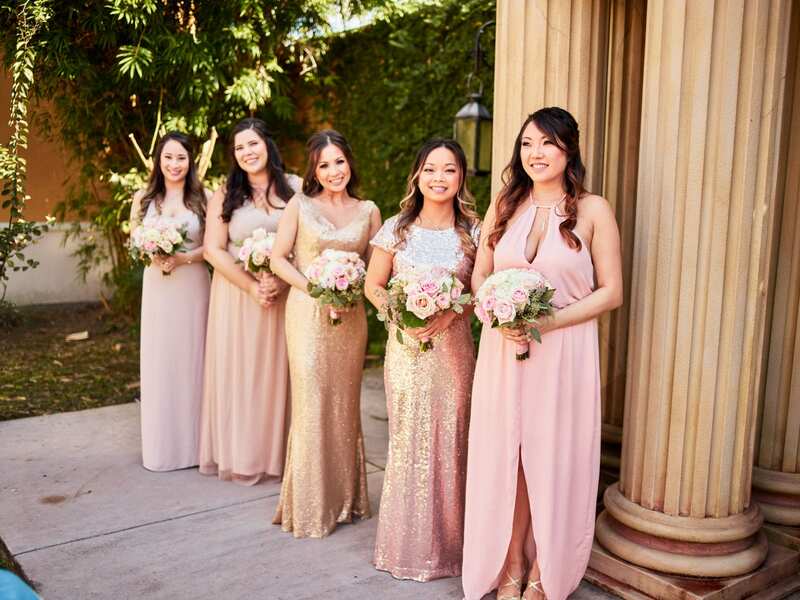 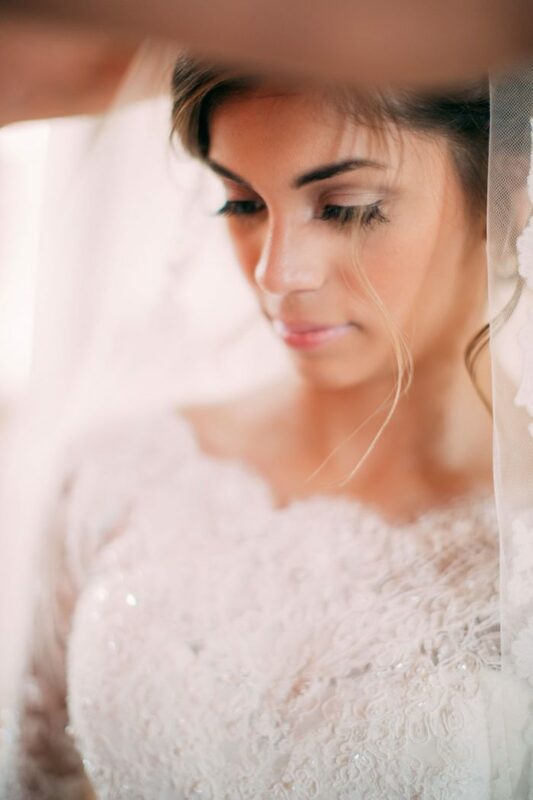 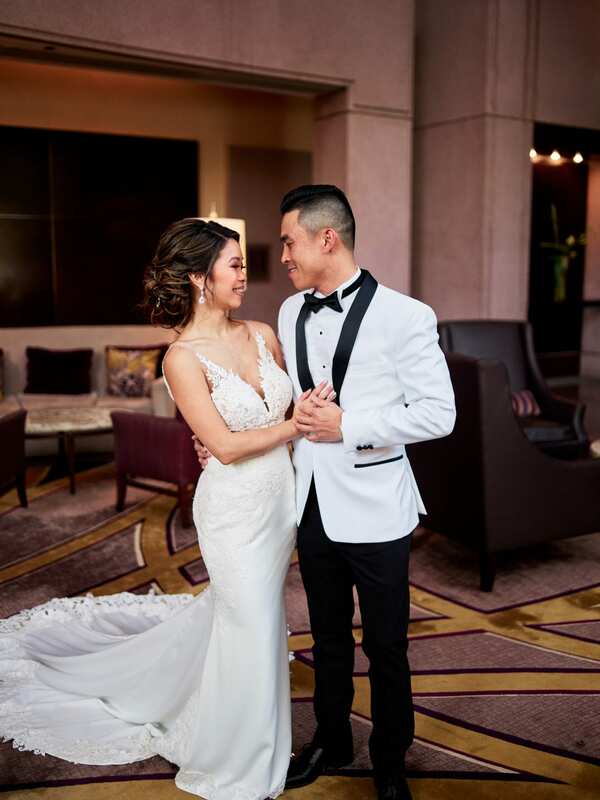 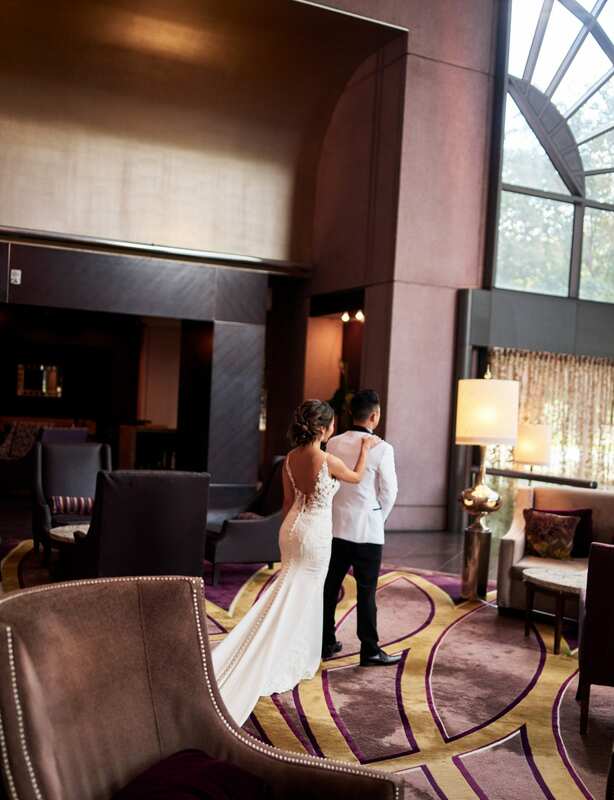 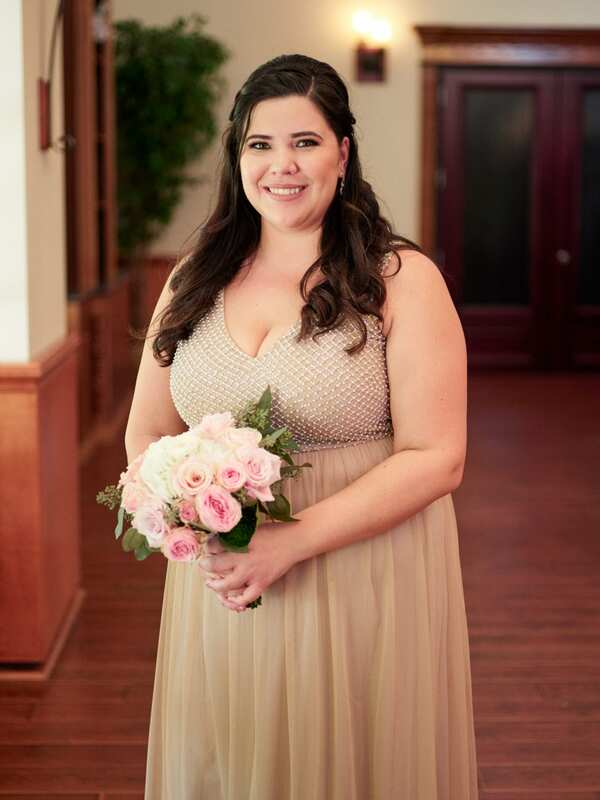 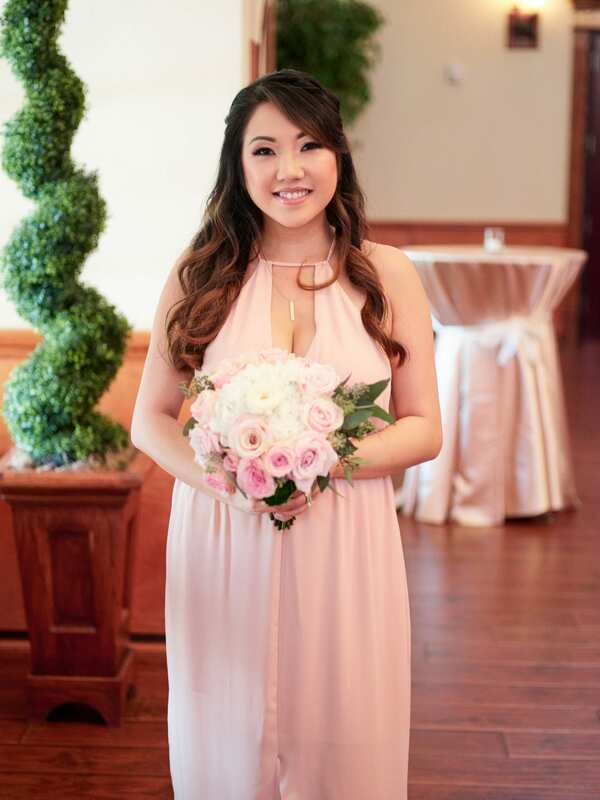 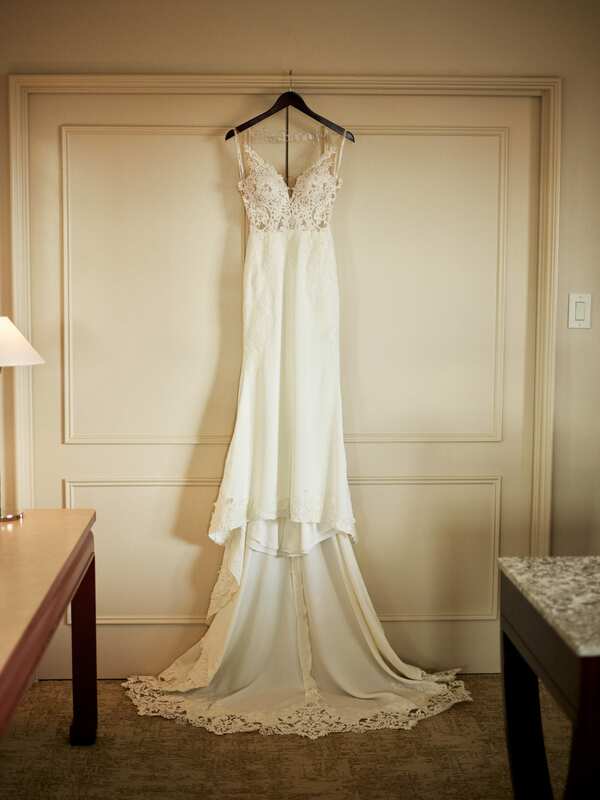 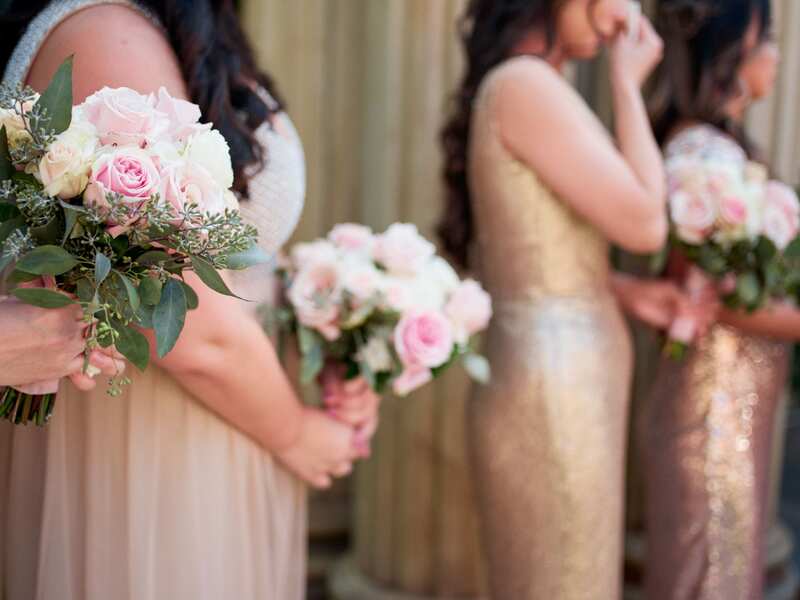 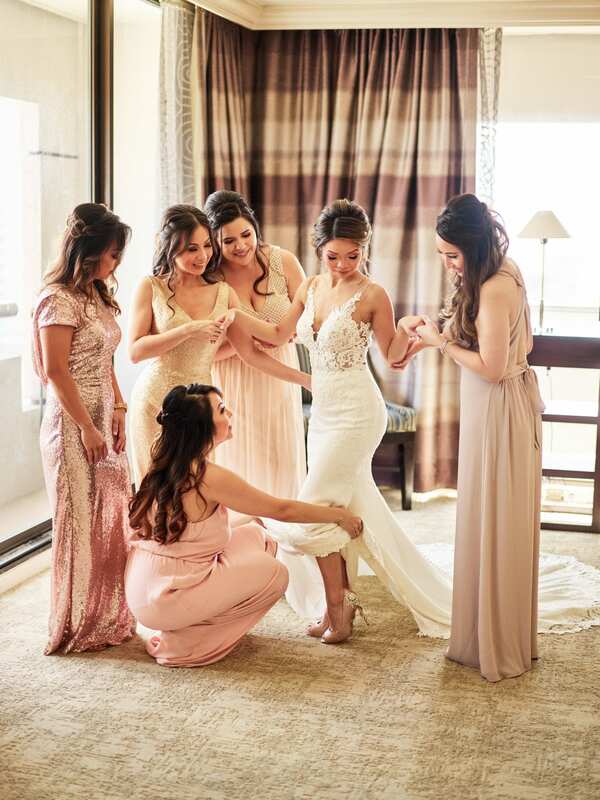 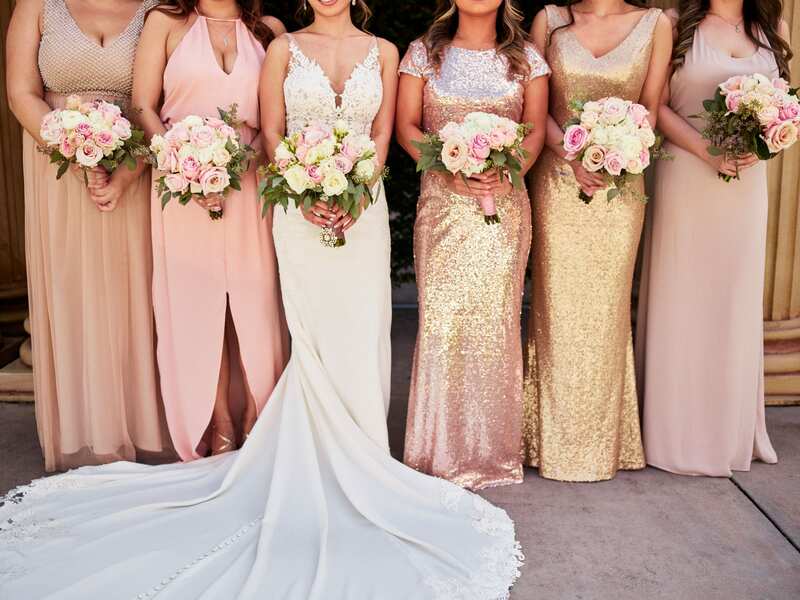 The beautiful bride-to-be Linda had the help of her golden accented bridesmaids as she prepared for her first sight with Hieu in the majestic sky roof lobby of the Hilton. 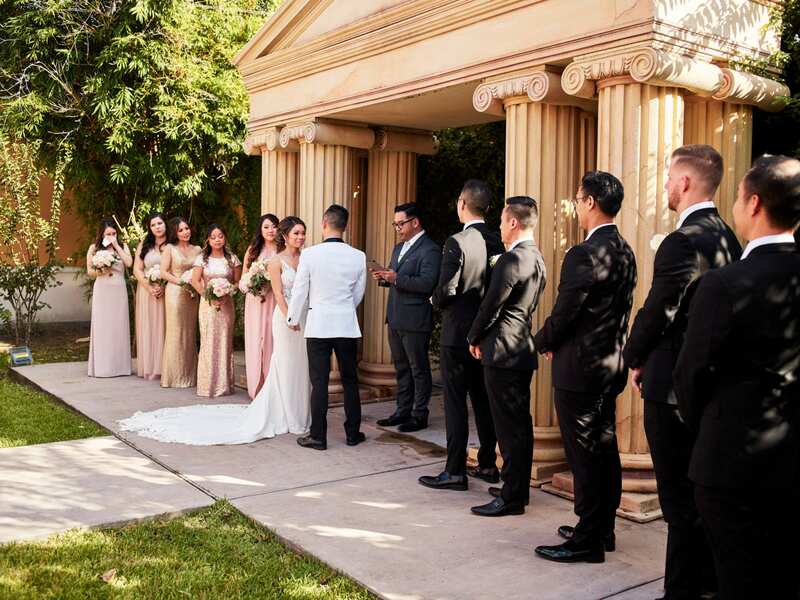 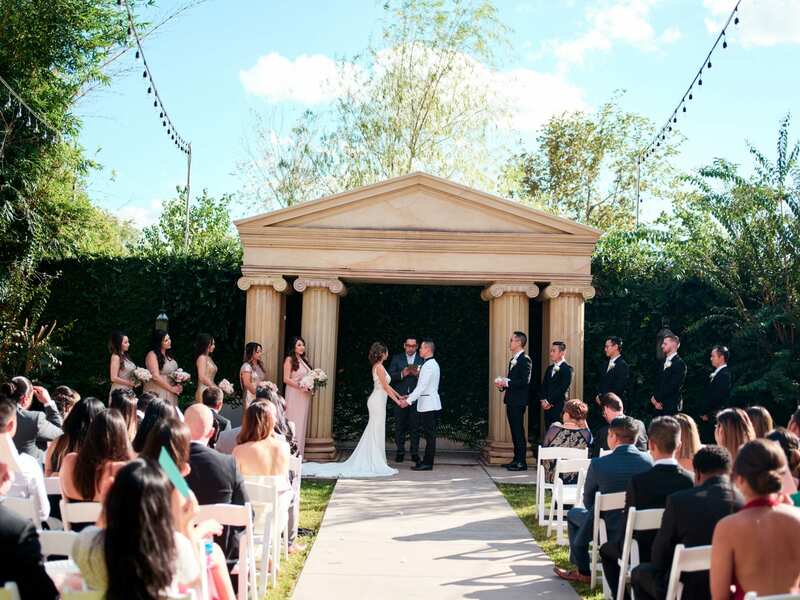 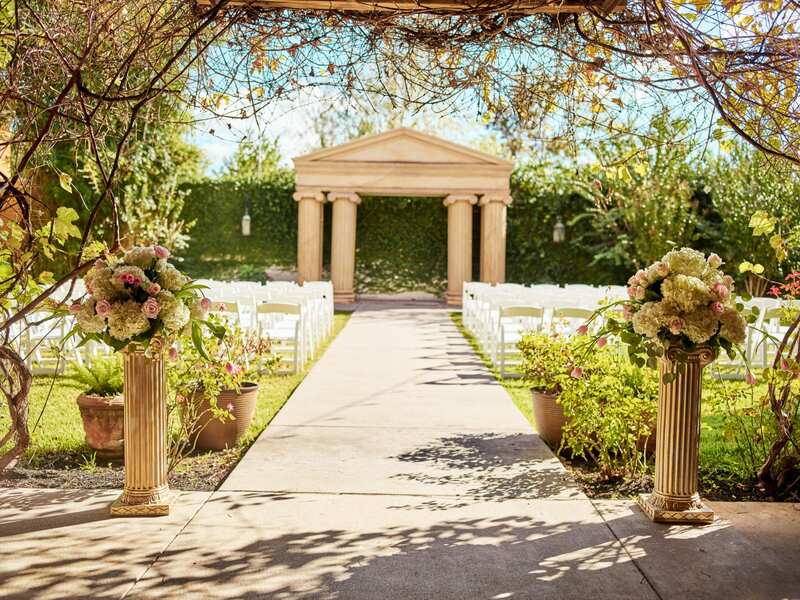 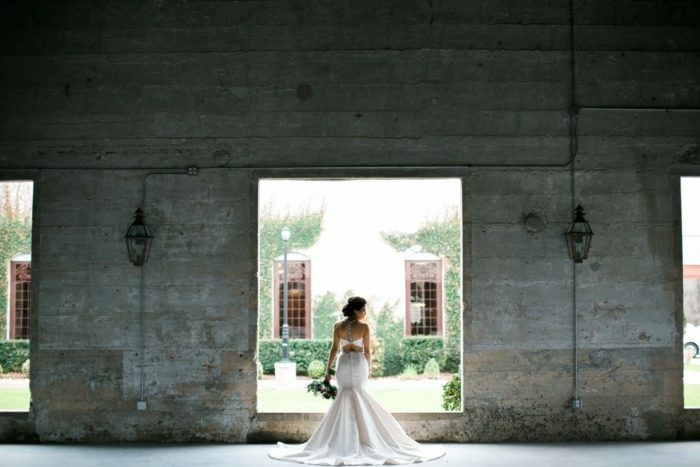 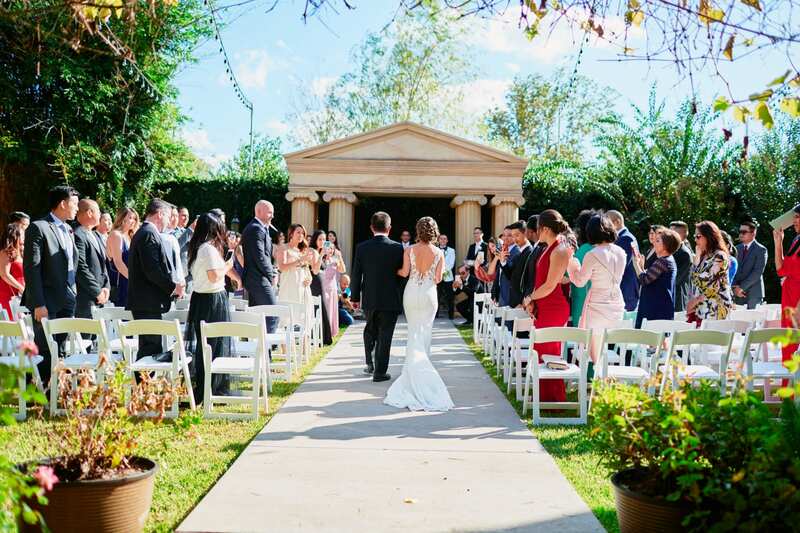 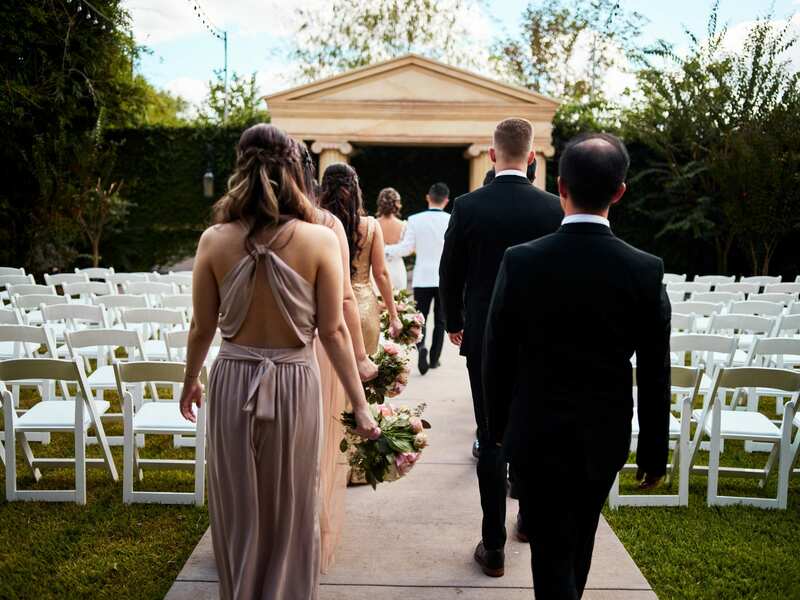 At the Villagio we documented the wedding party in the garden area as they stood in formation. 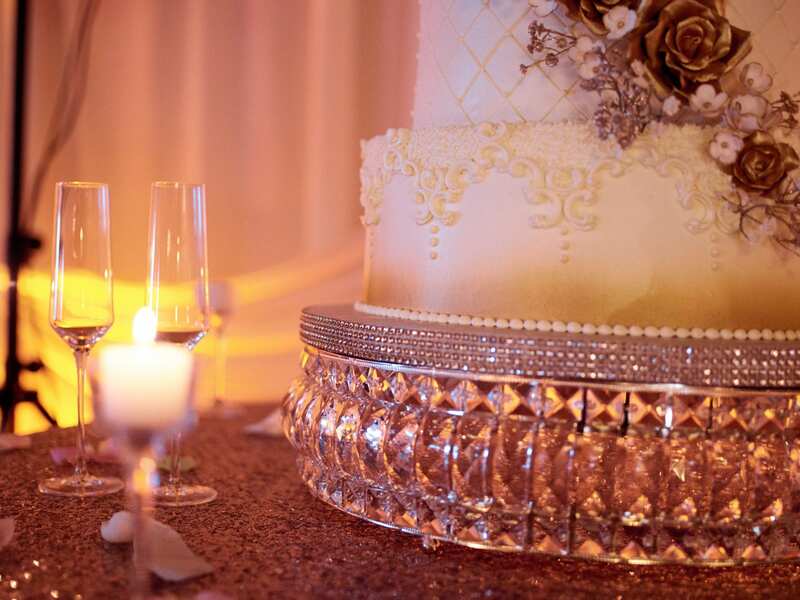 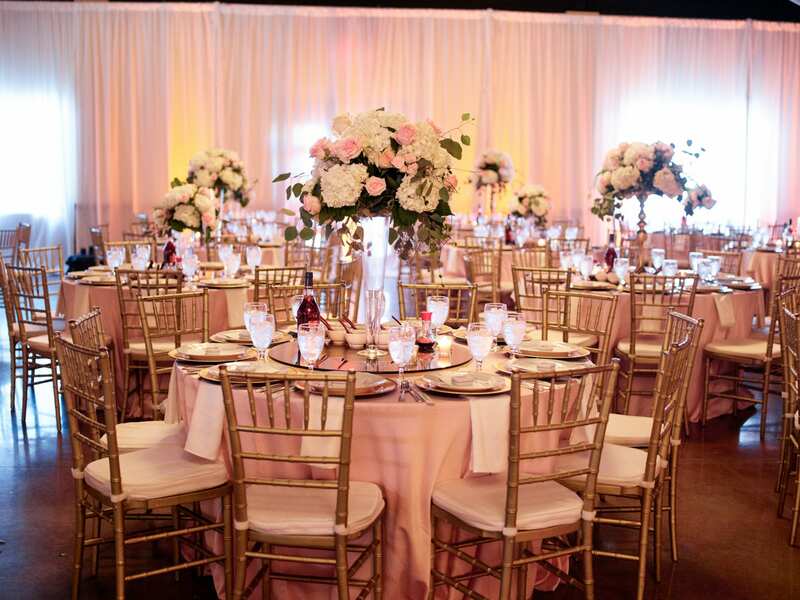 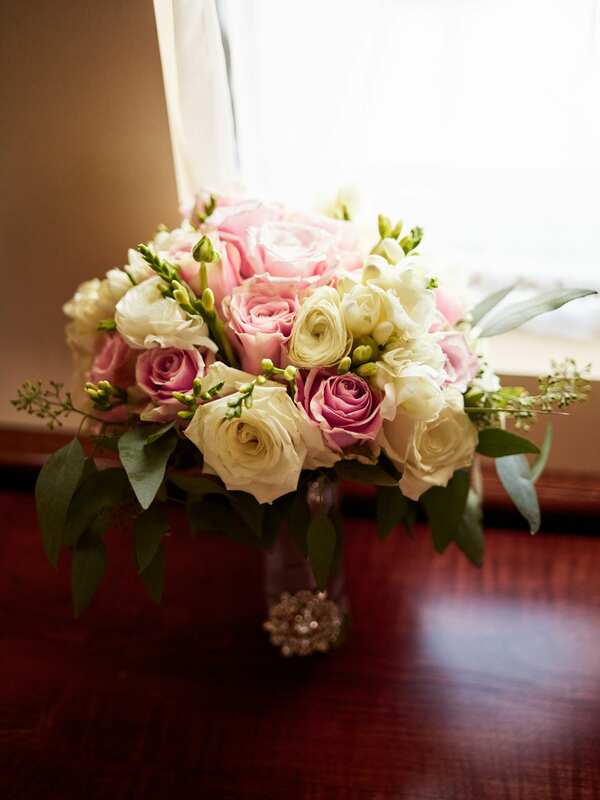 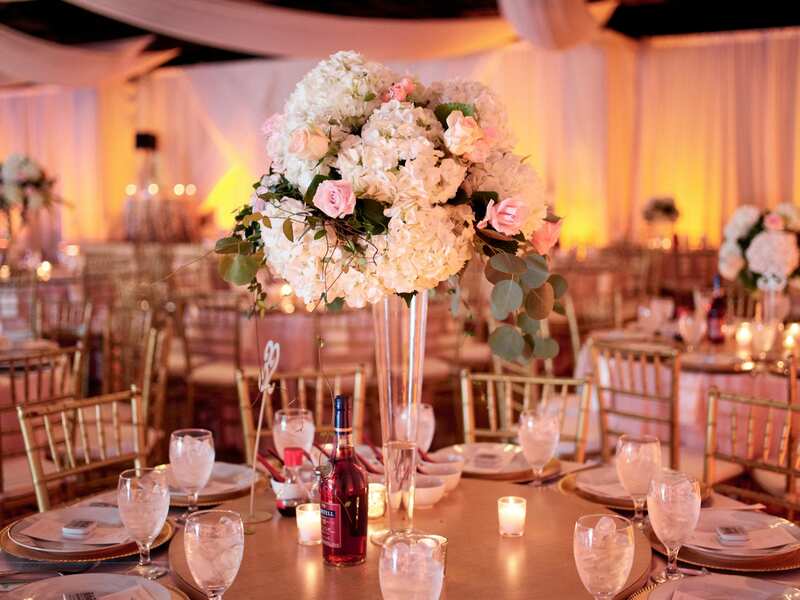 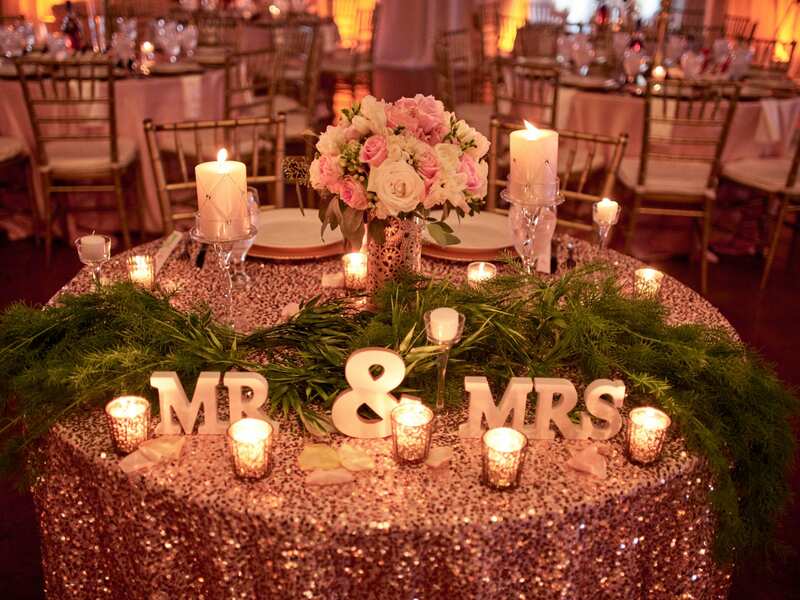 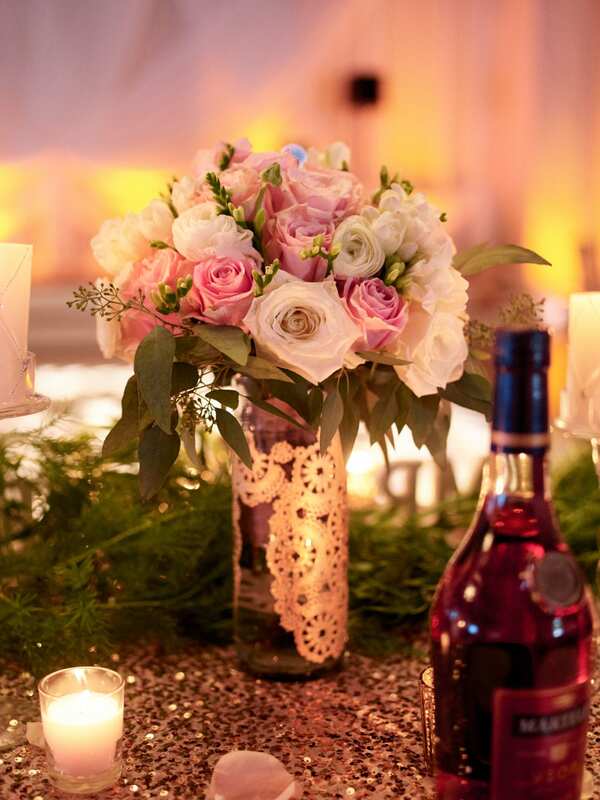 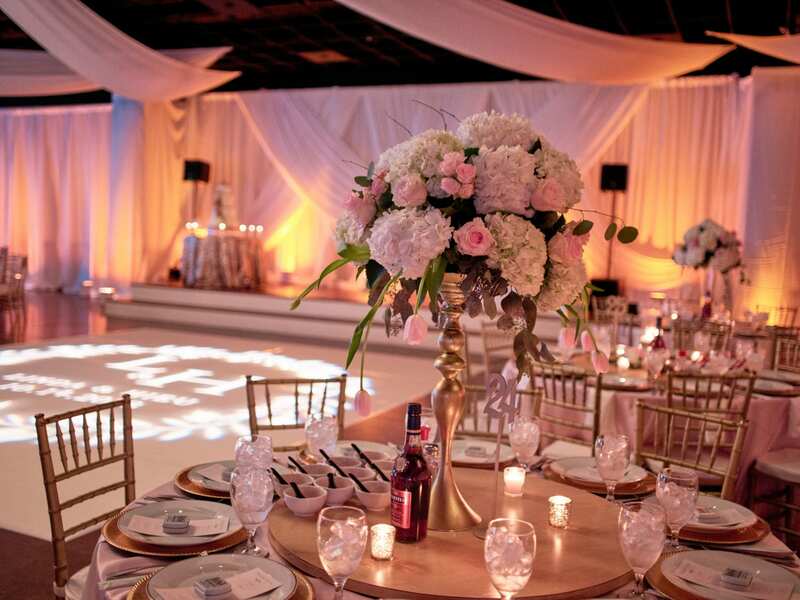 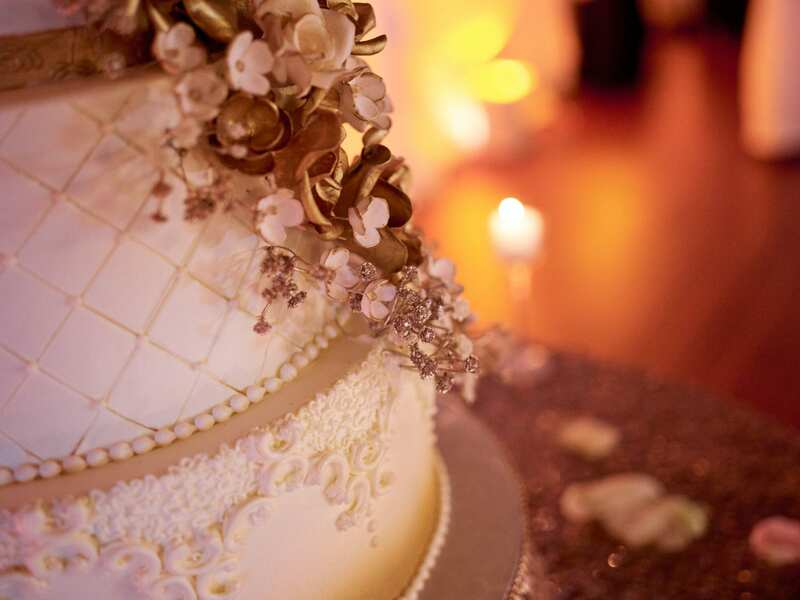 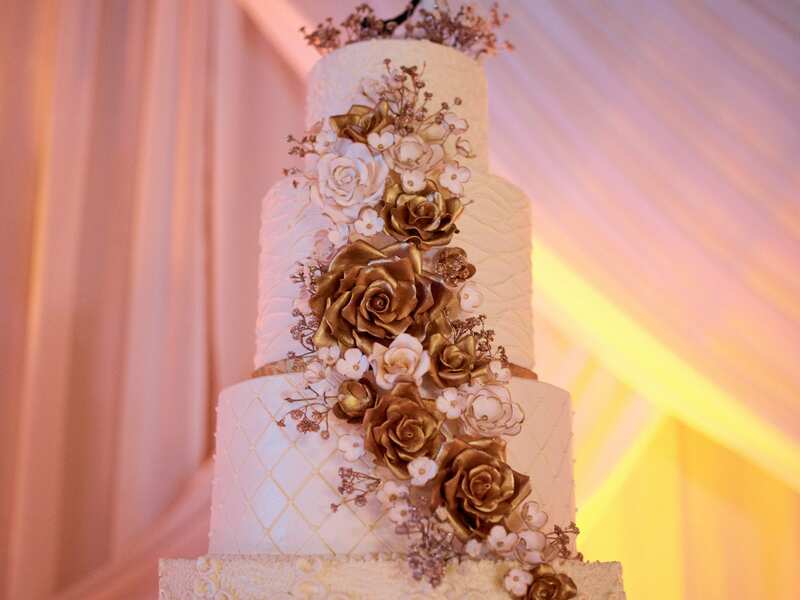 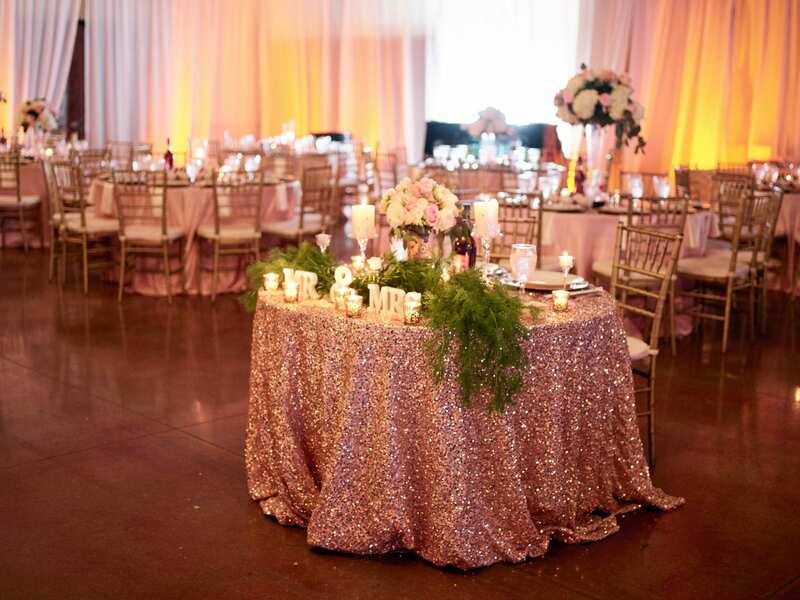 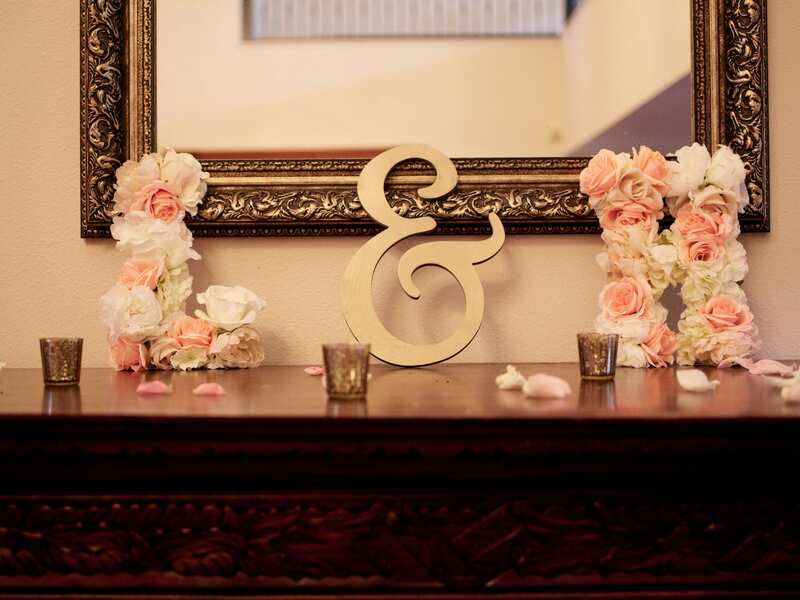 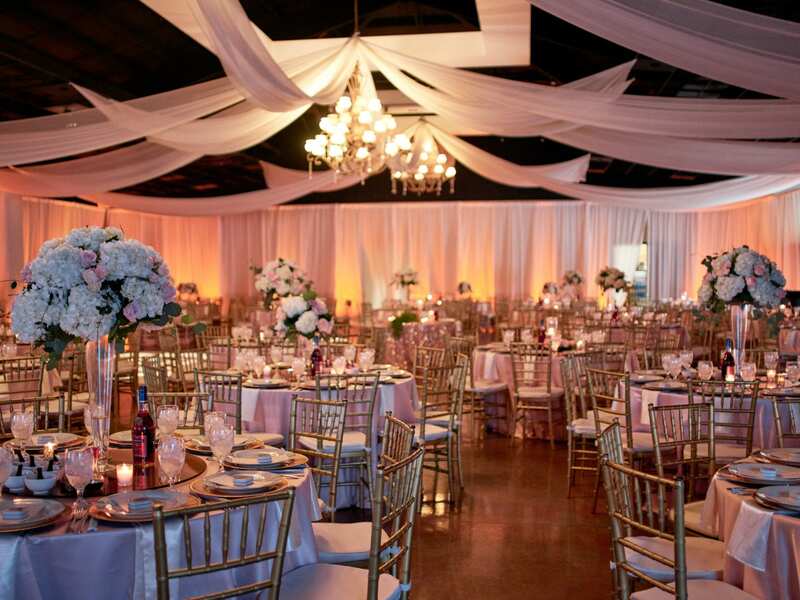 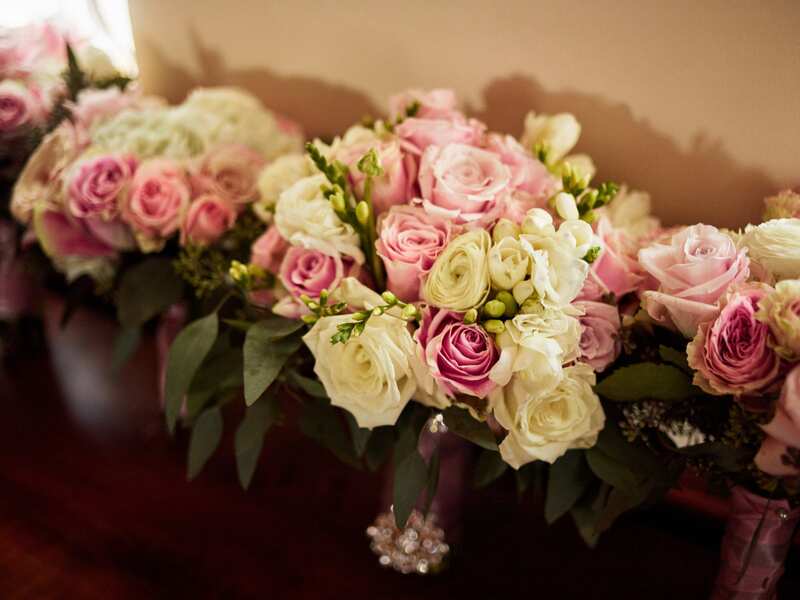 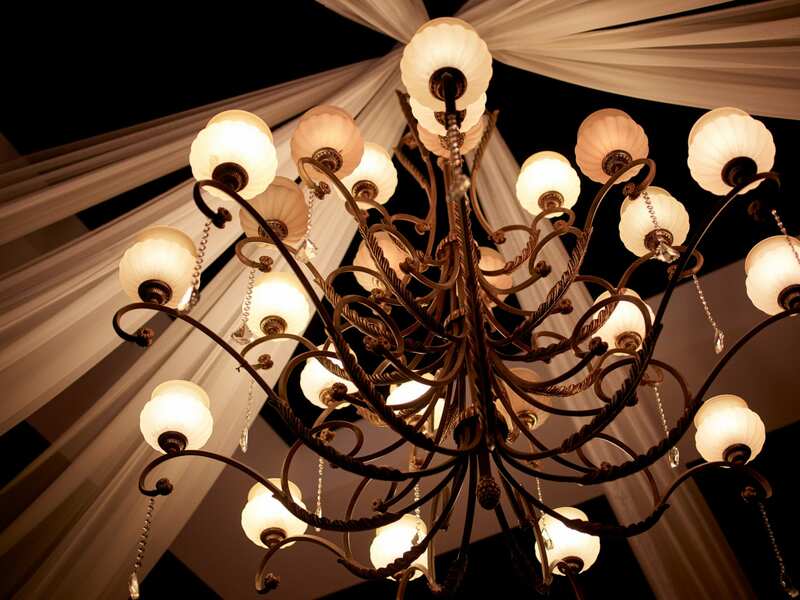 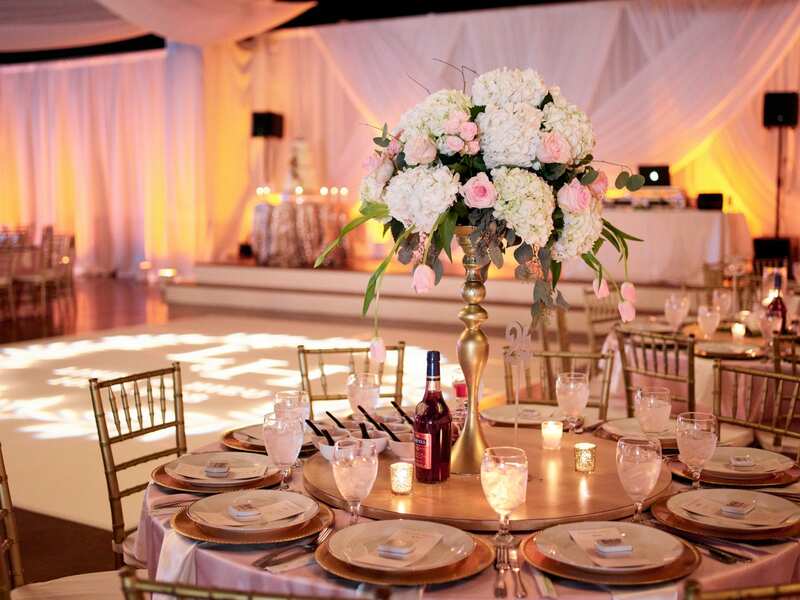 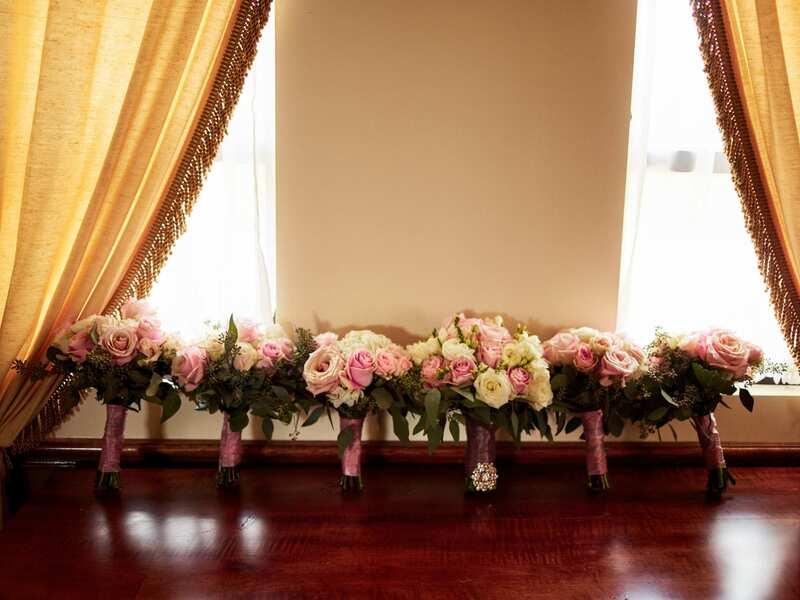 The candlelit reception area decorated with gorgeous floral arrangements and a lovely wedding cake. 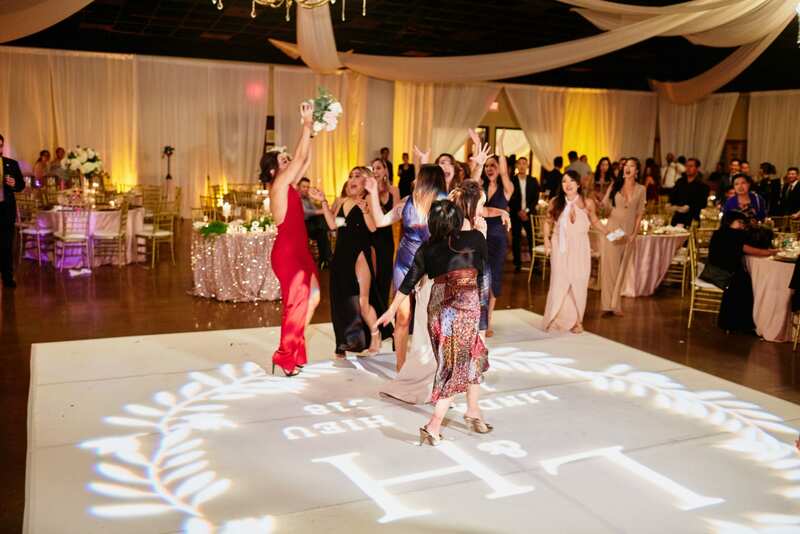 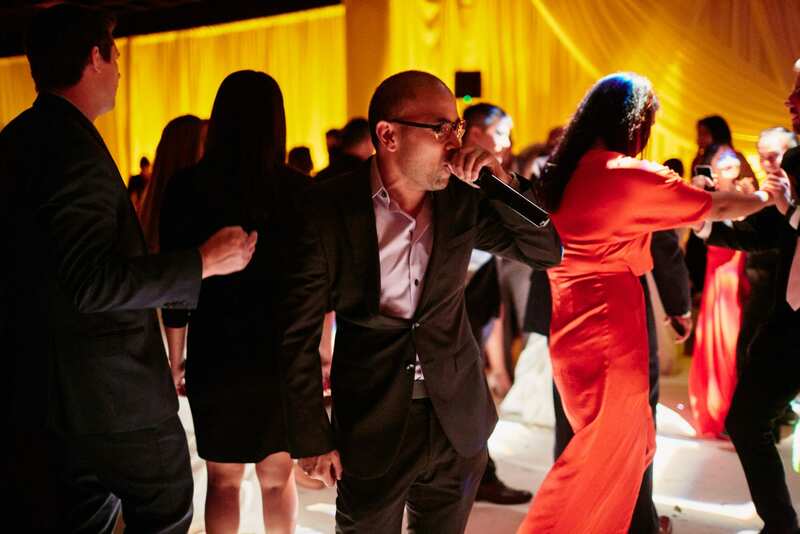 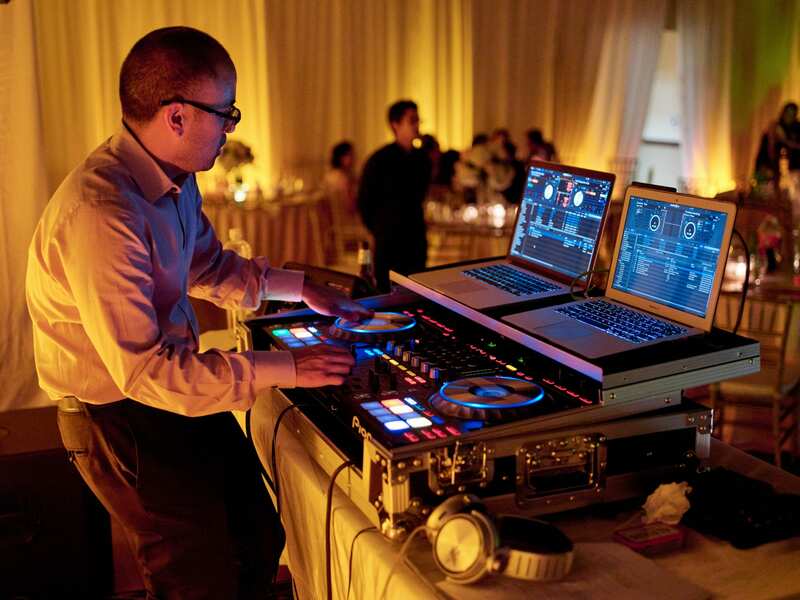 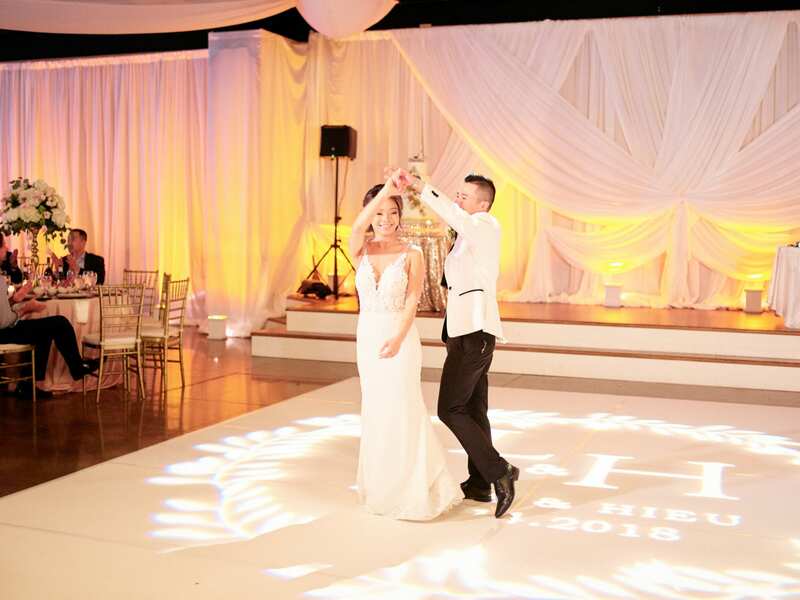 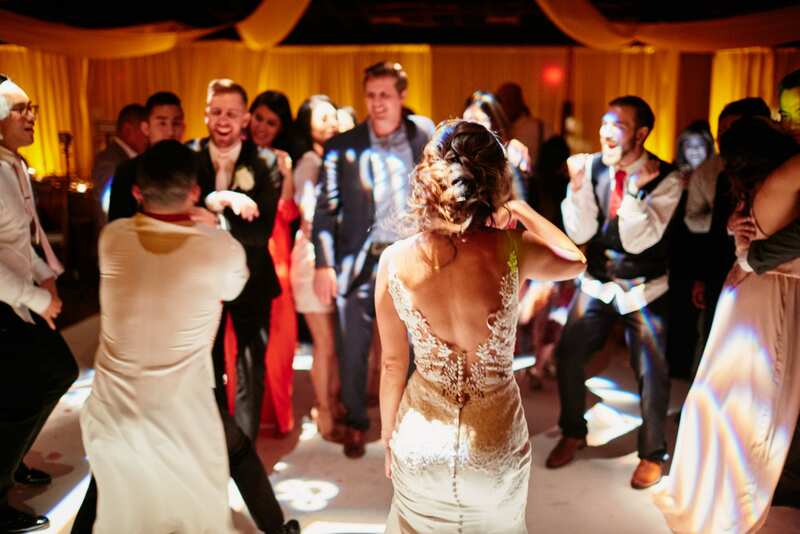 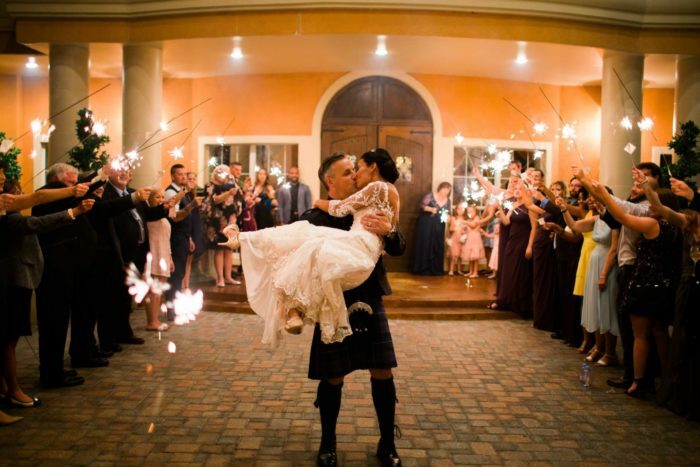 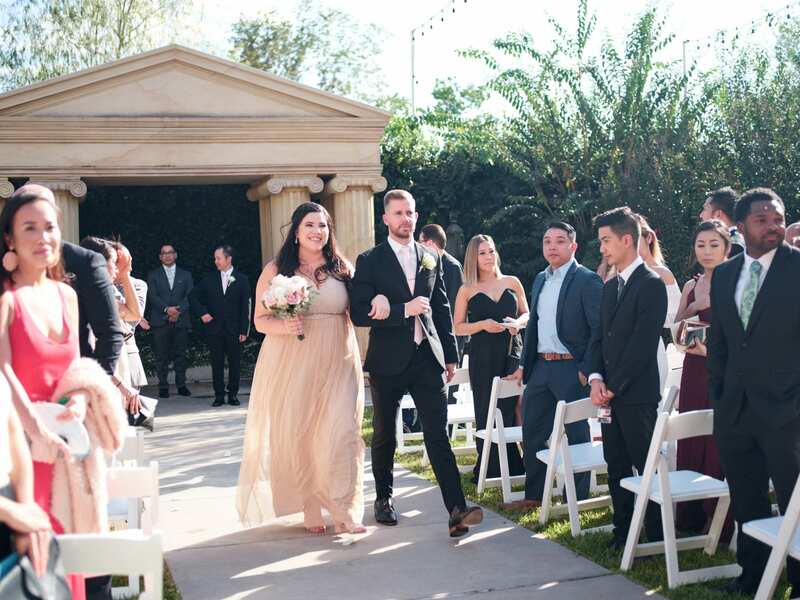 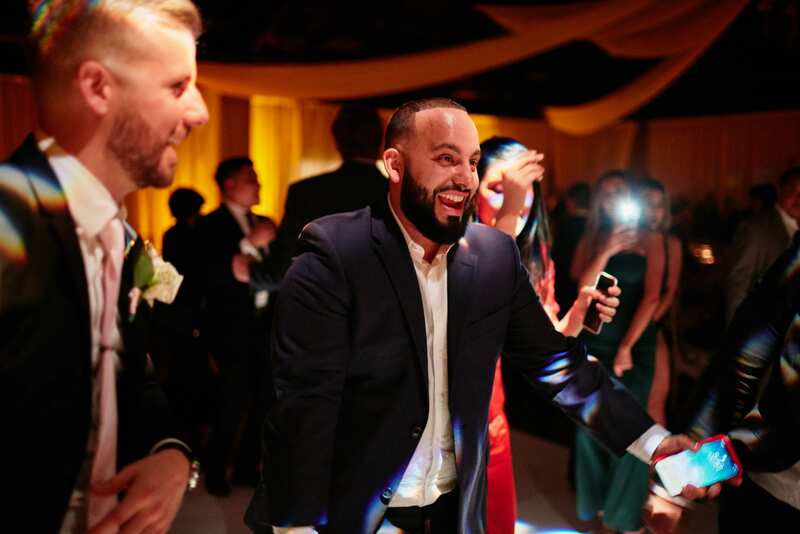 Once the dance floor opened up the guests and the bride and groom broke out their best dance moves to celebrate.